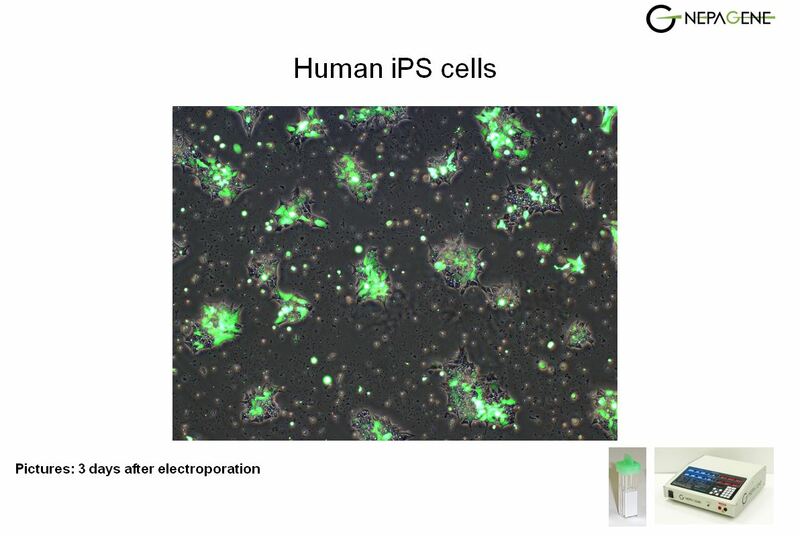 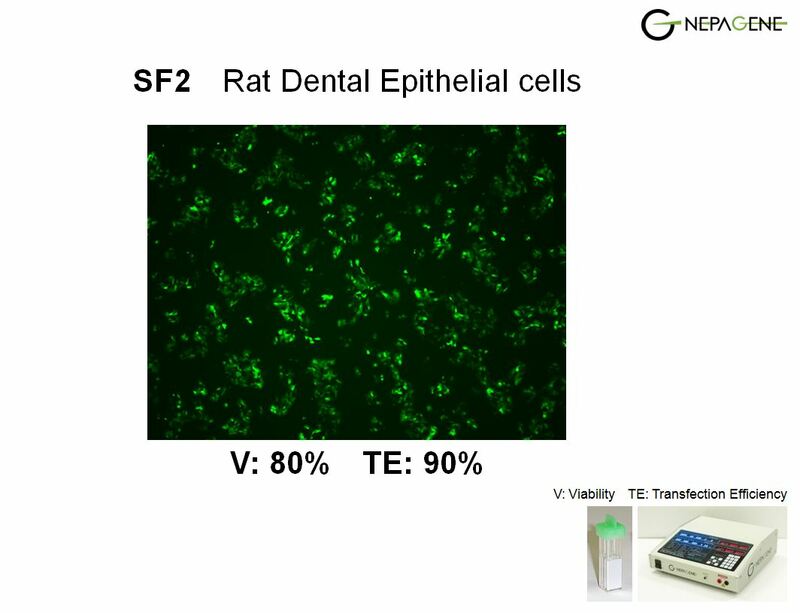 The NEPA21 electroporator makes it possible to achieve high transfection efficiency and high viability without resourse to special buffers for difficult-to-transfect cells: primary cells, stem cells, immune cells, blood cells and more. 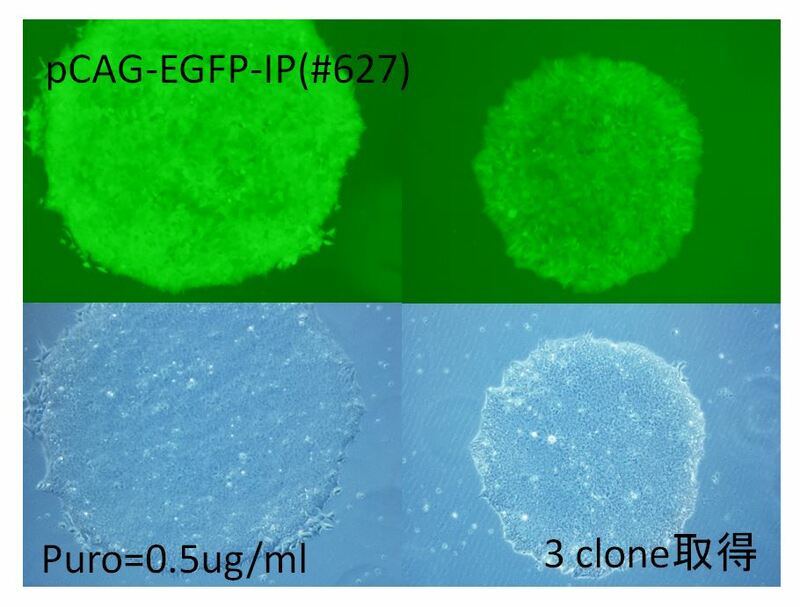 It works not only for plasmid DNA but also for siRNA, miRNA, shRNA, proteins and more. 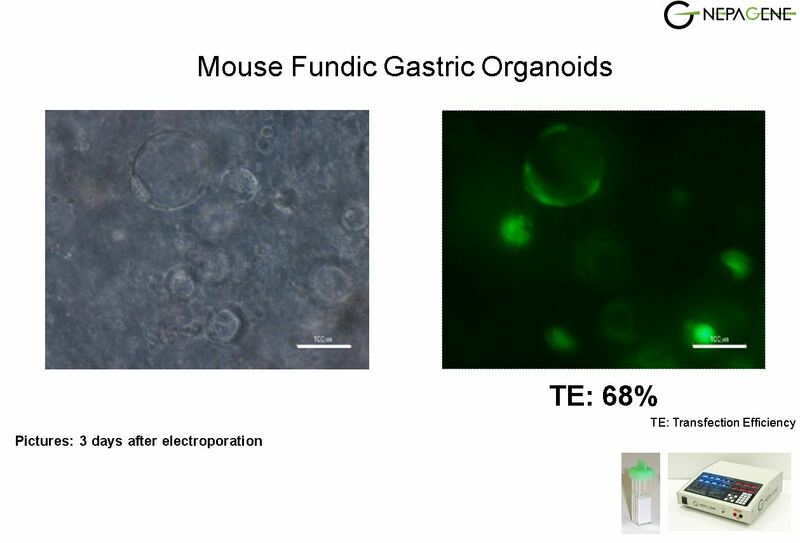 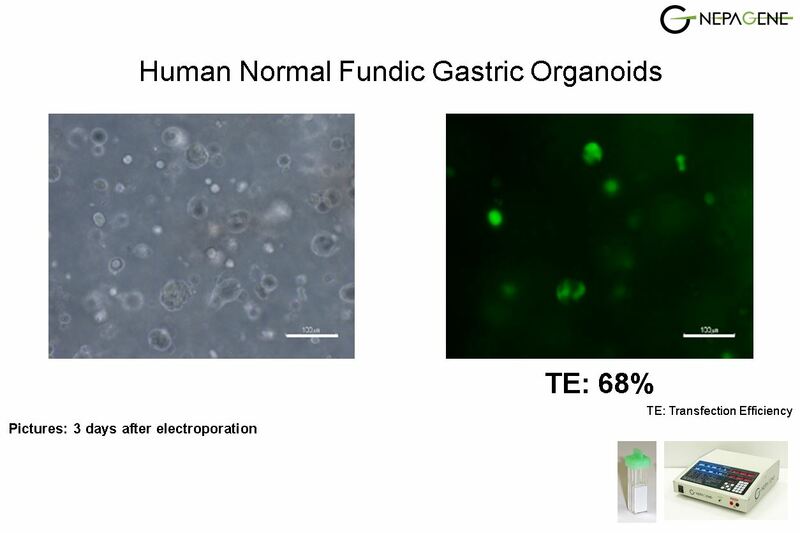 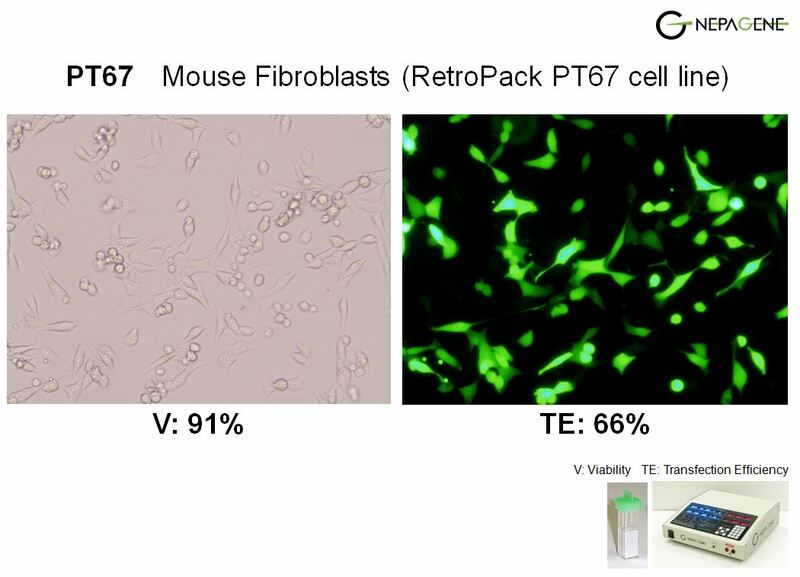 See the cell images by clicking the cell names. 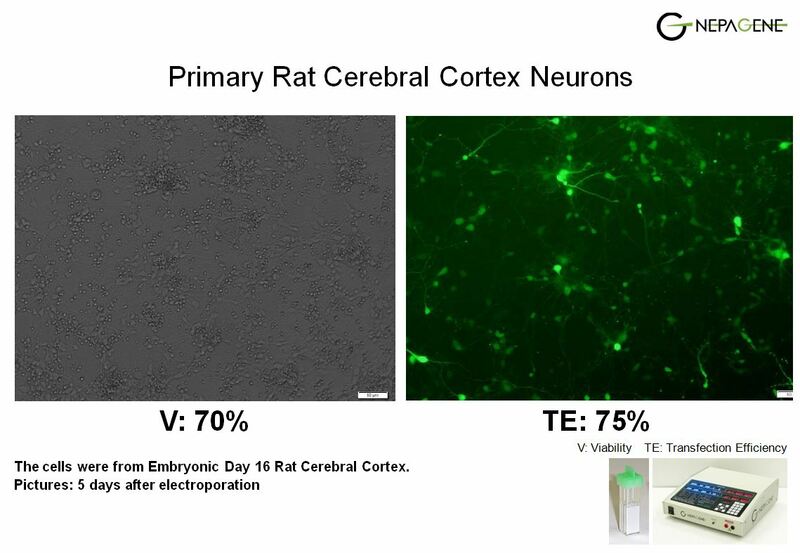 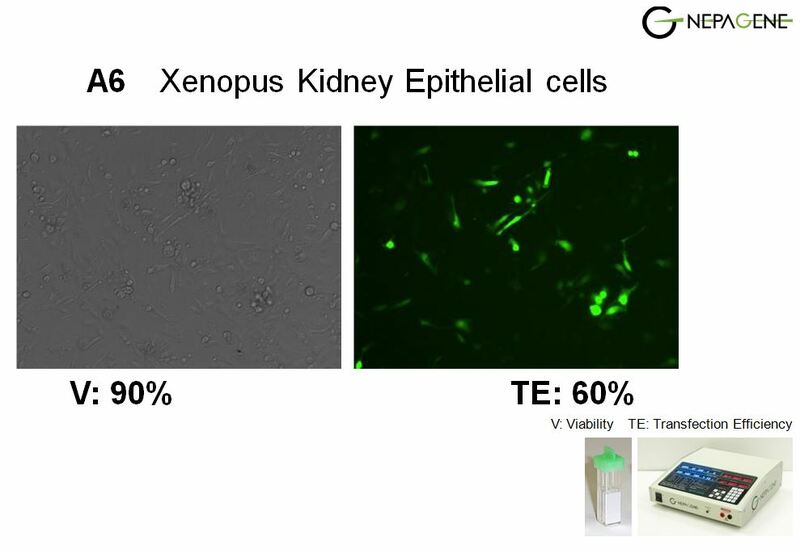 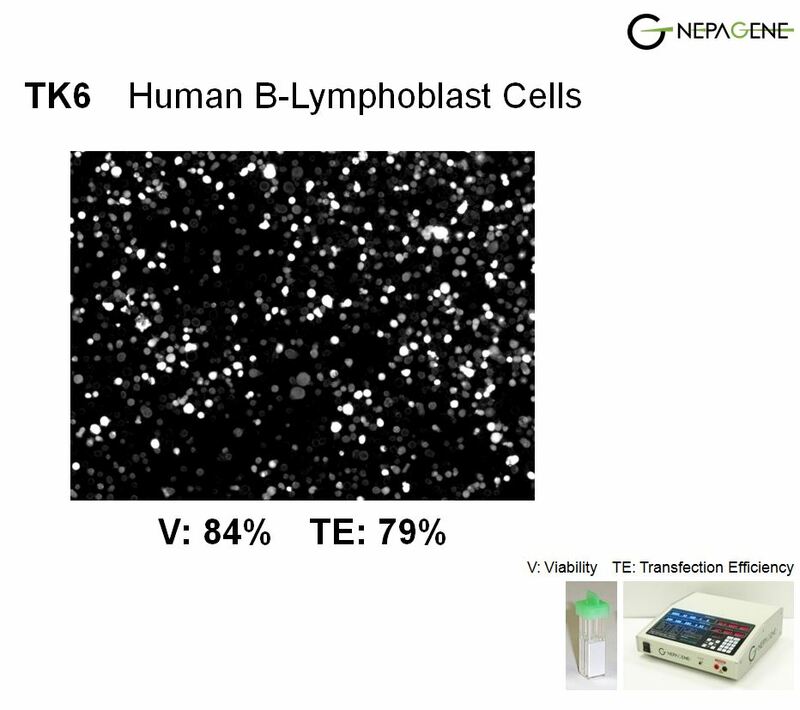 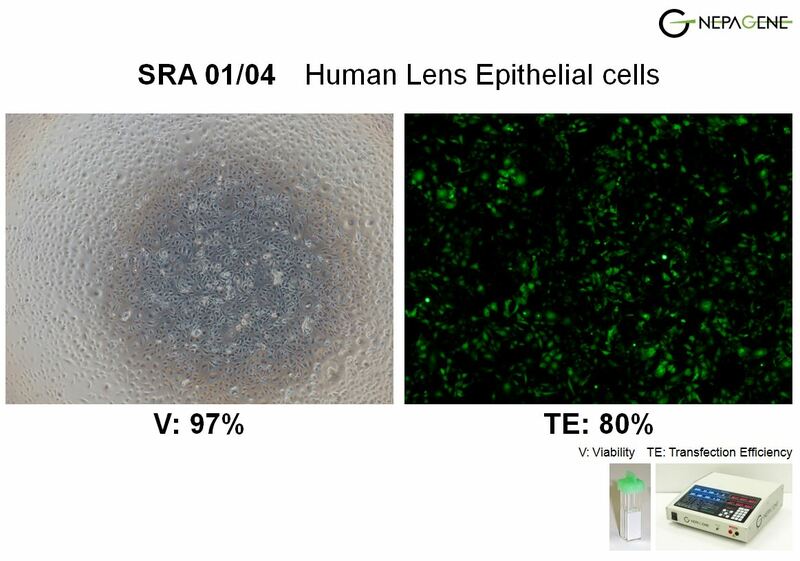 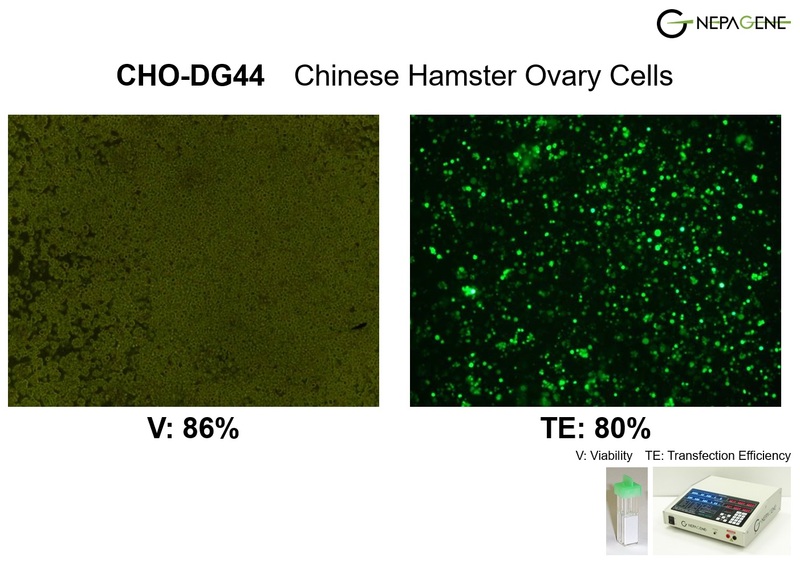 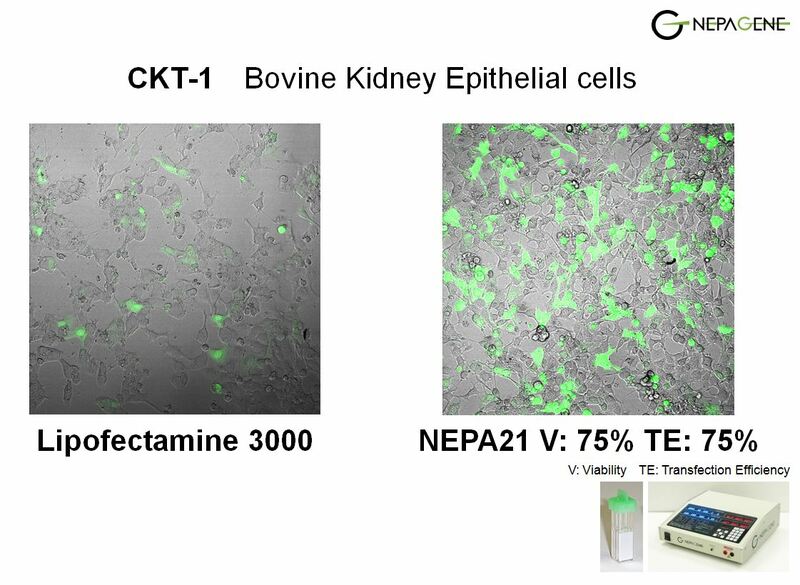 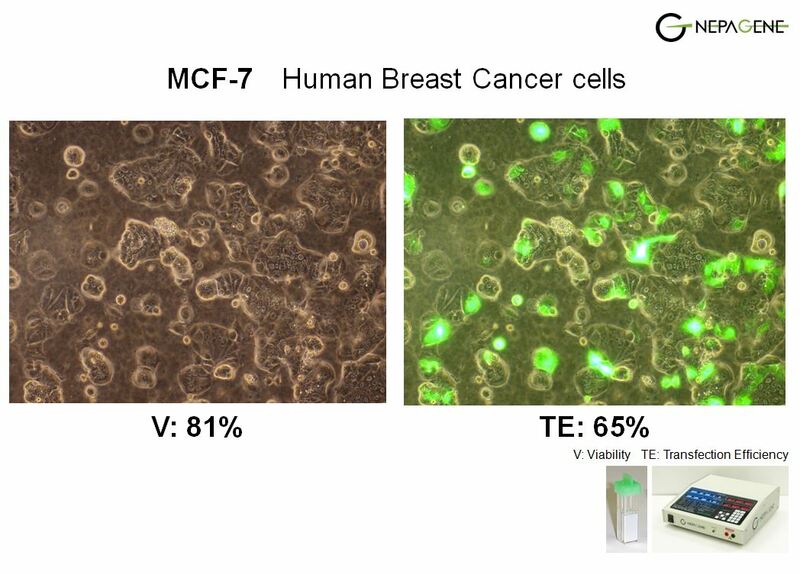 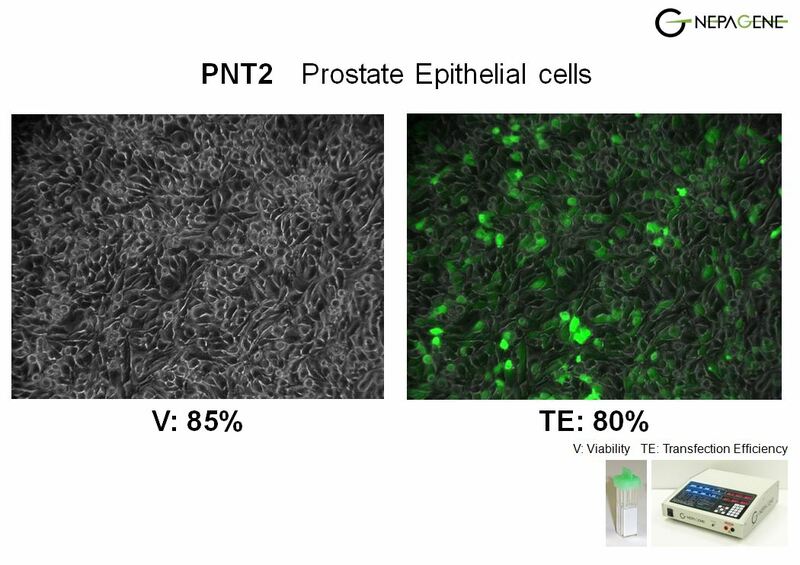 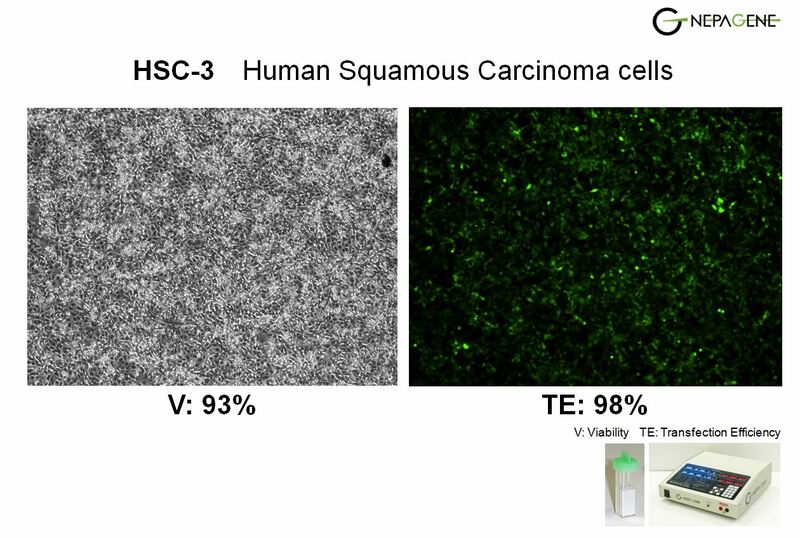 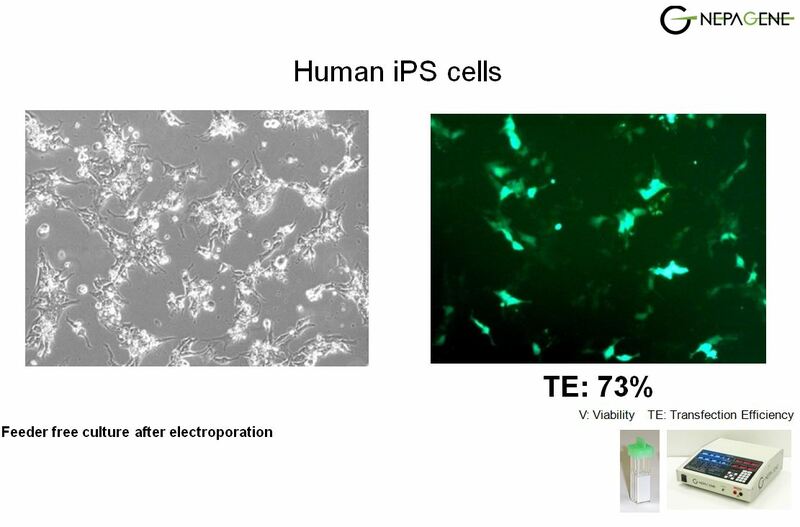 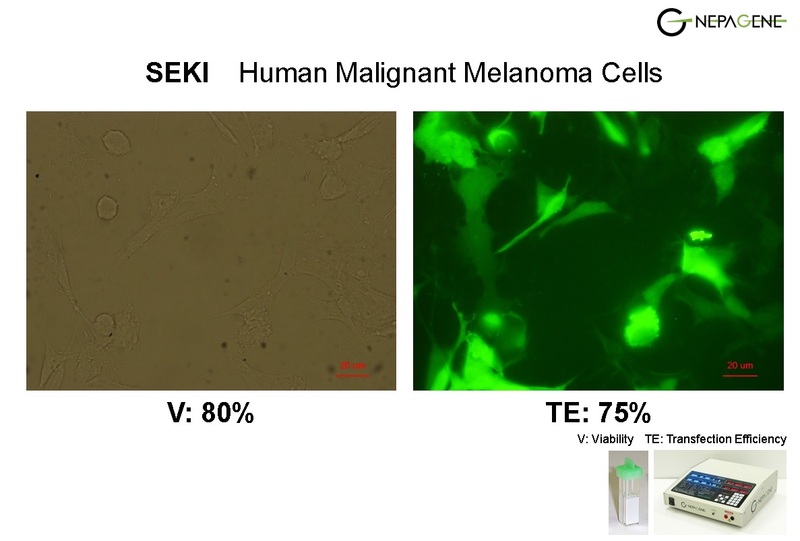 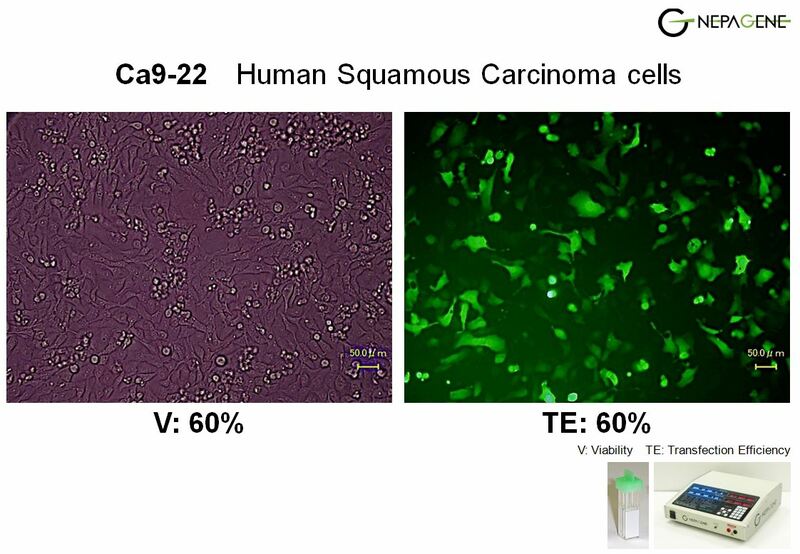 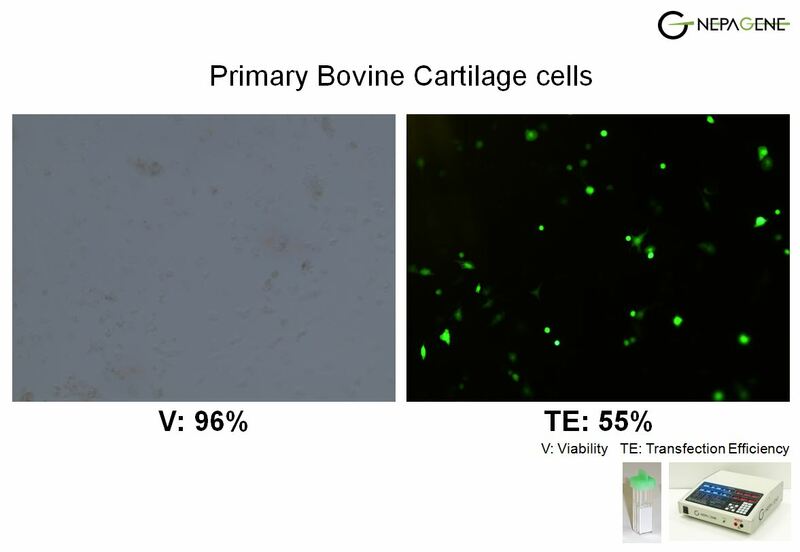 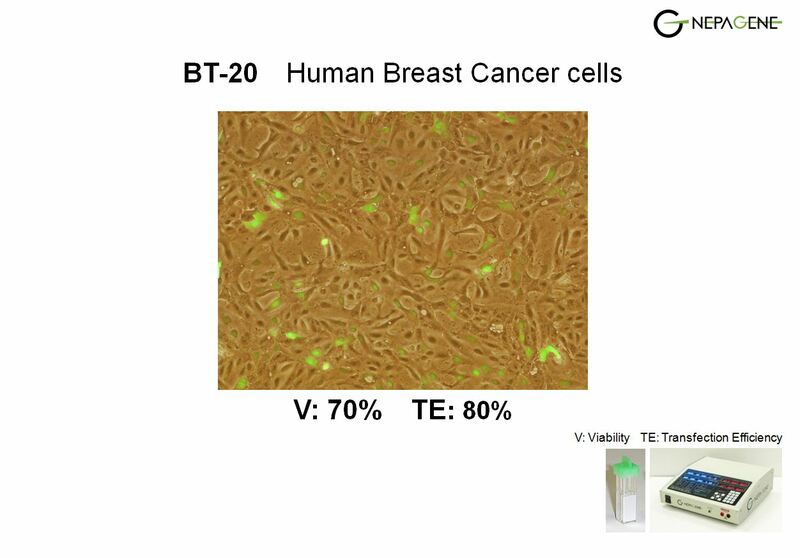 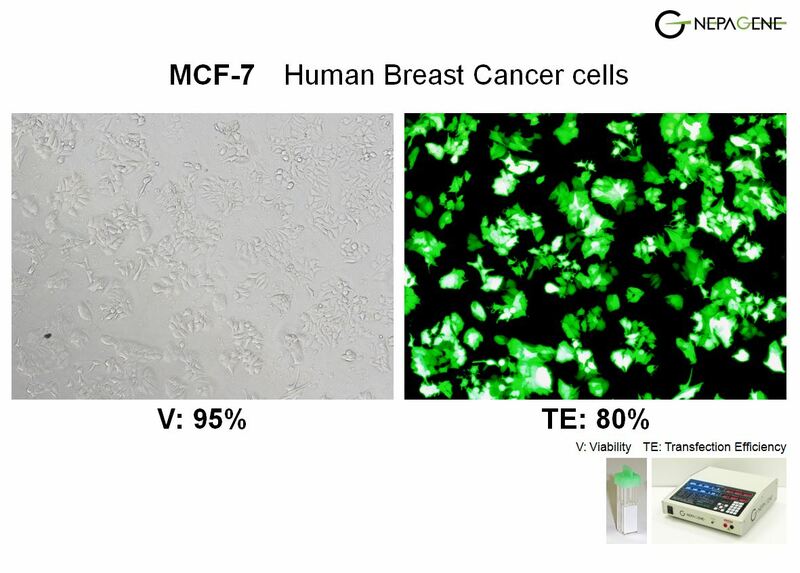 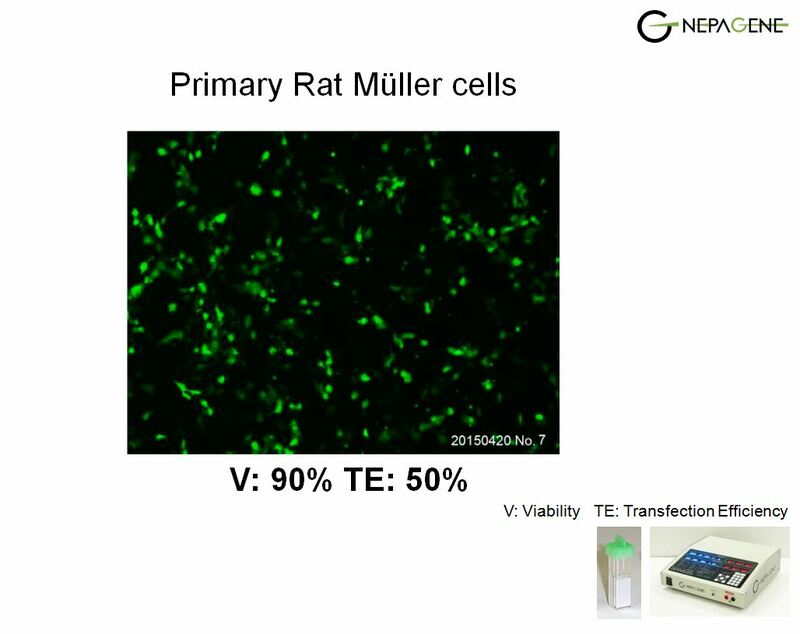 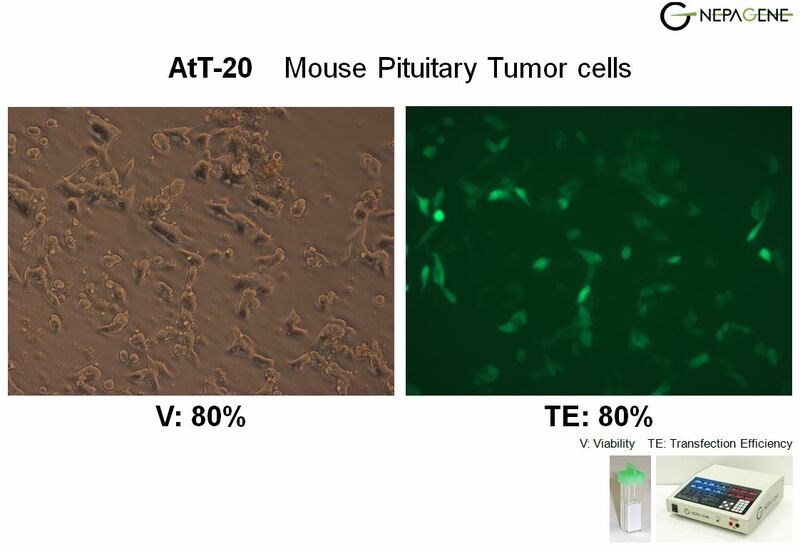 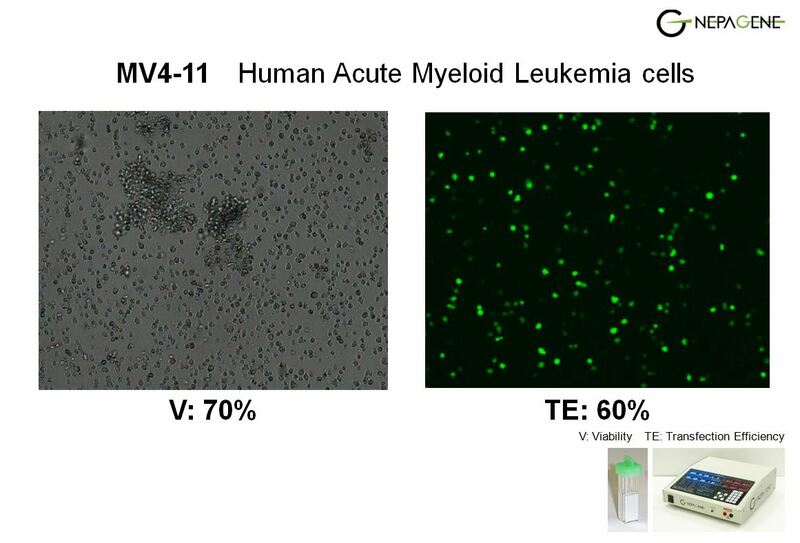 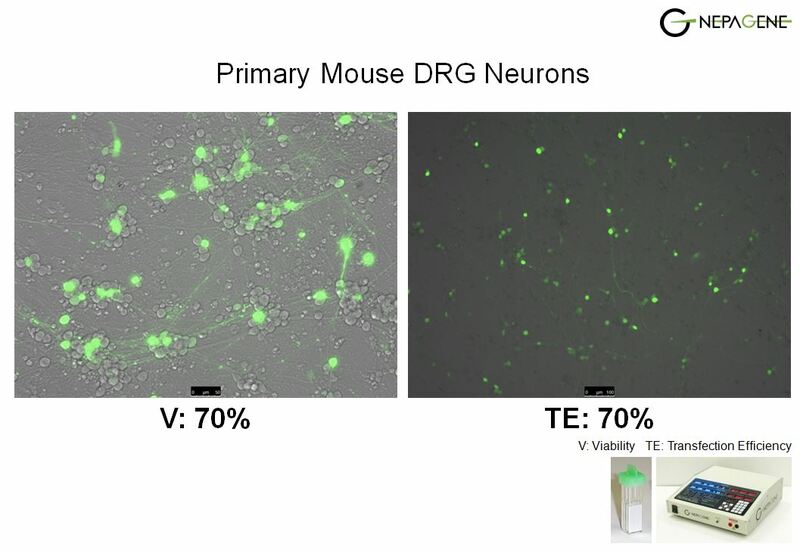 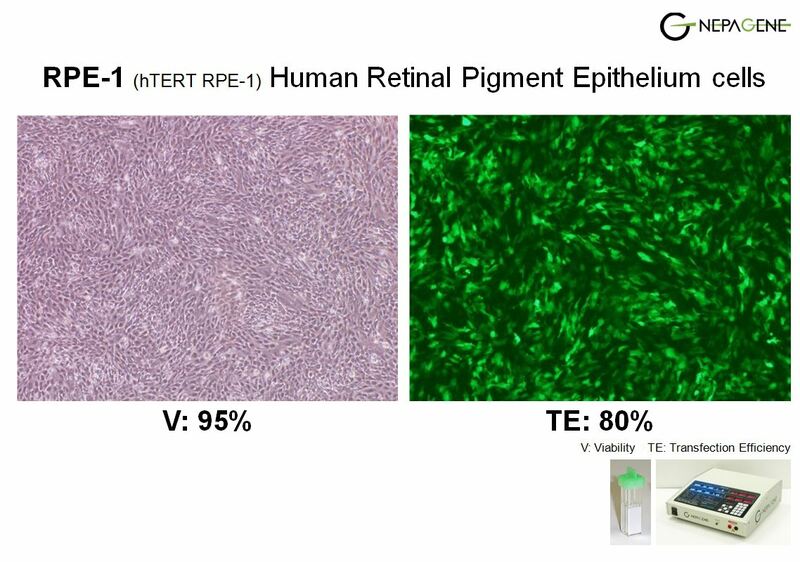 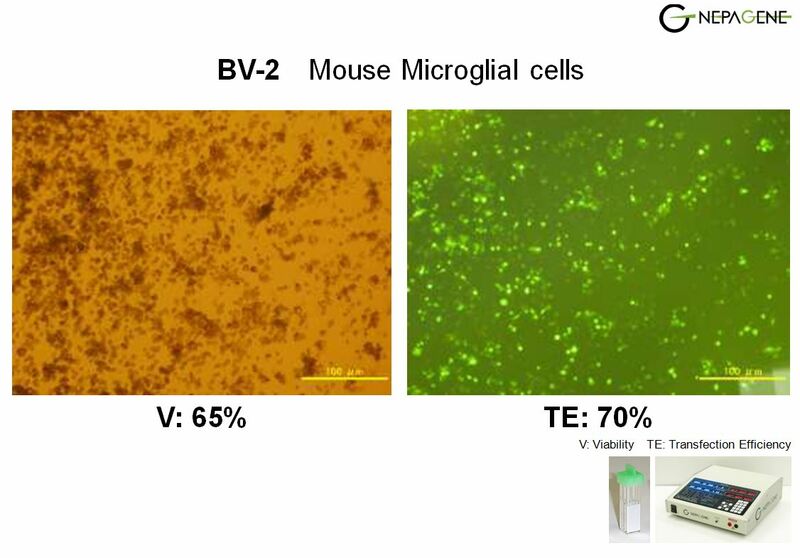 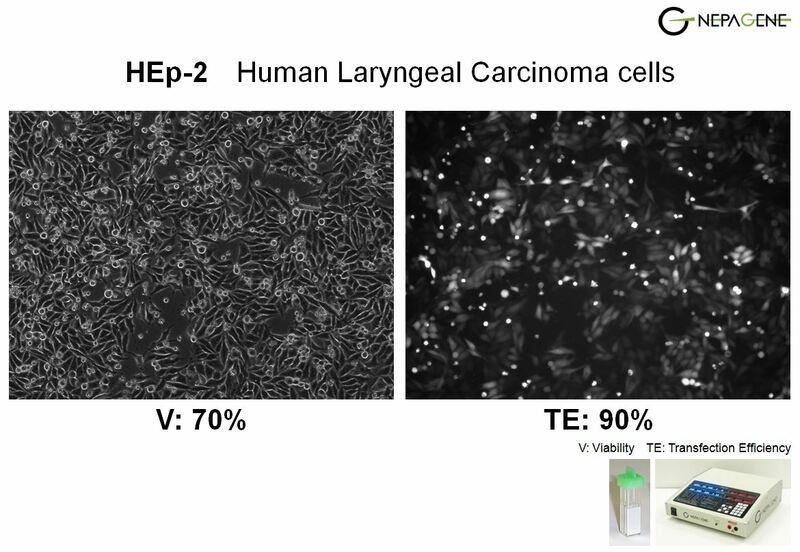 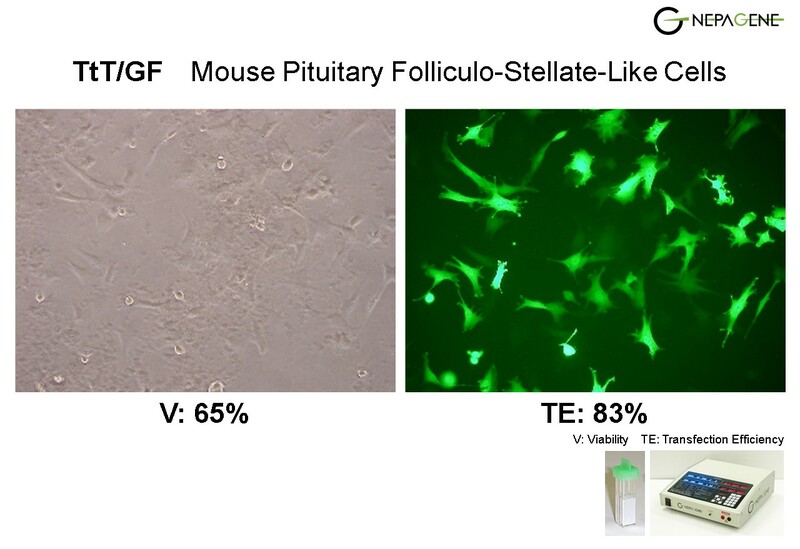 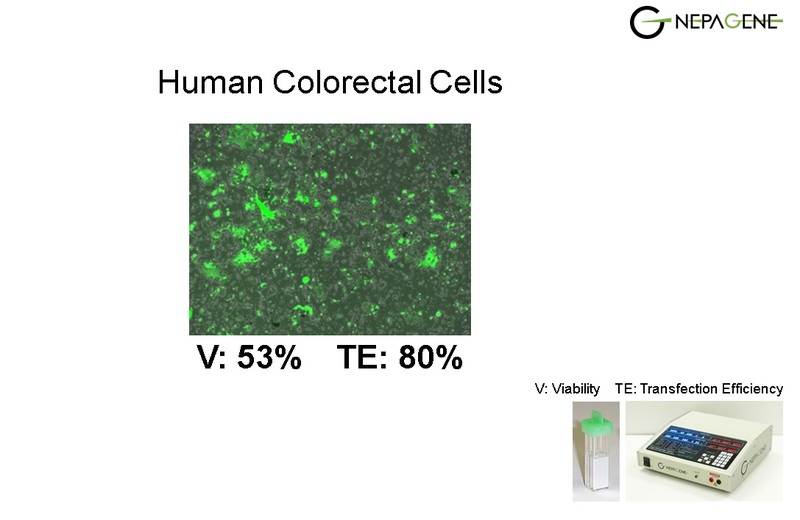 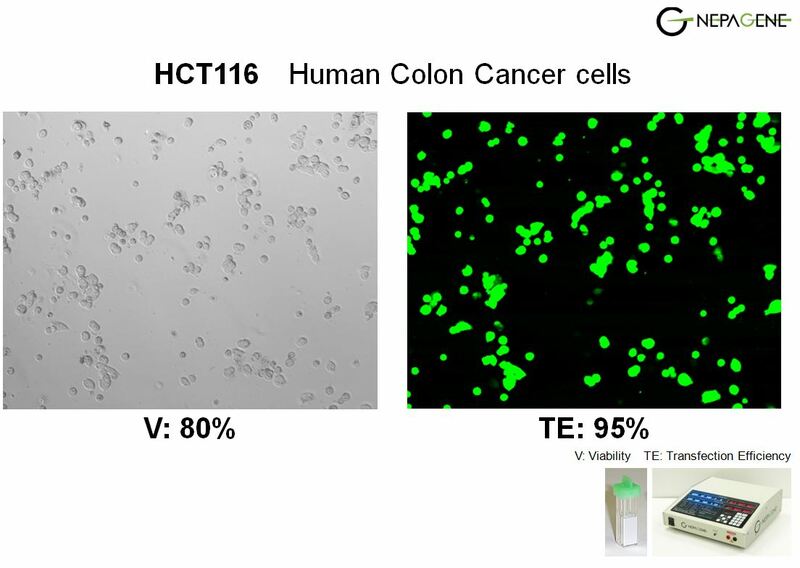 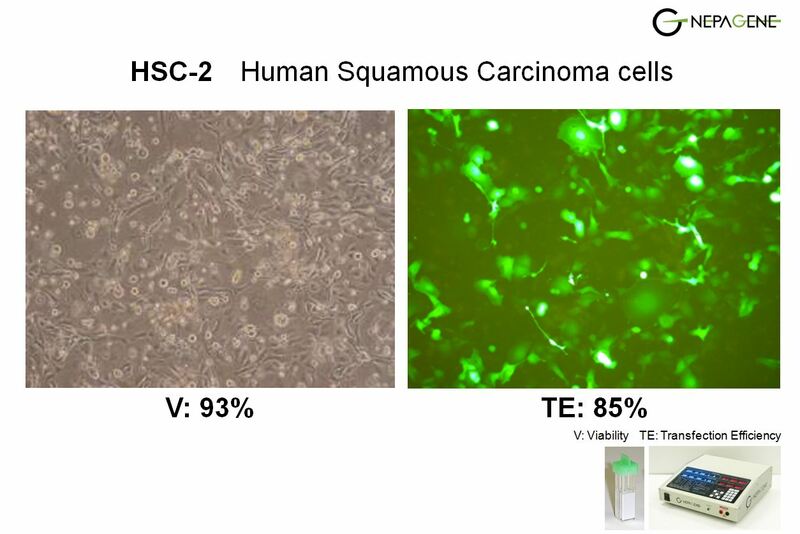 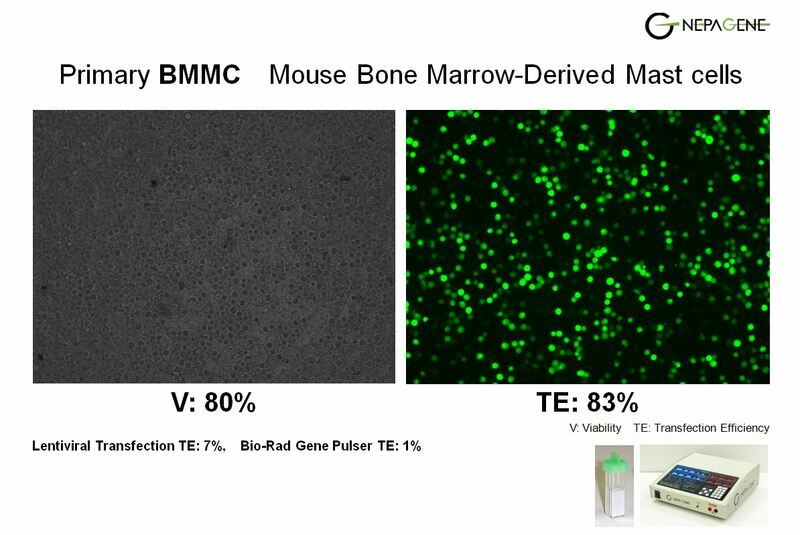 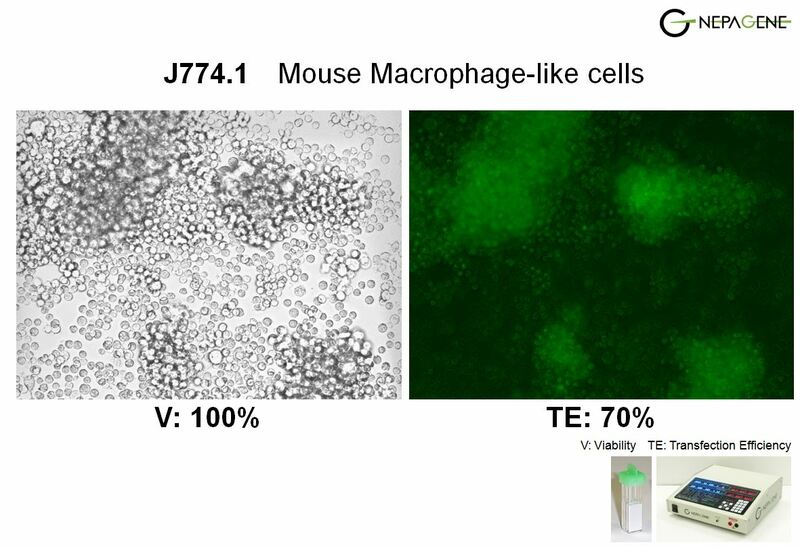 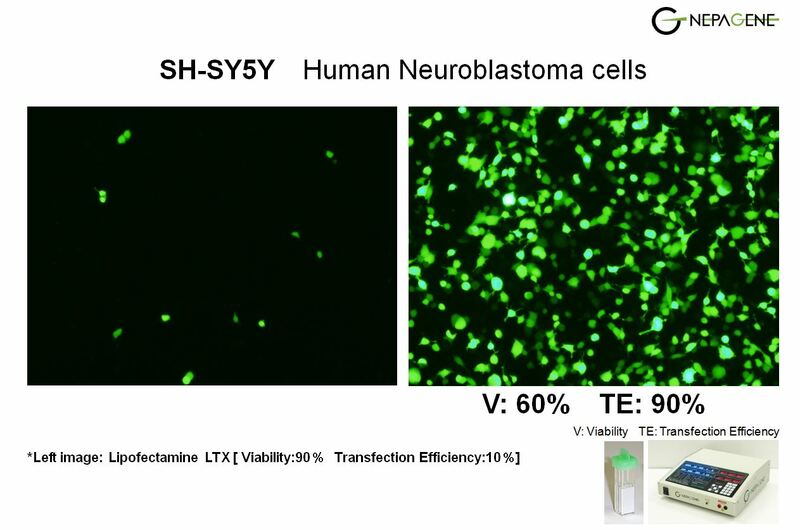 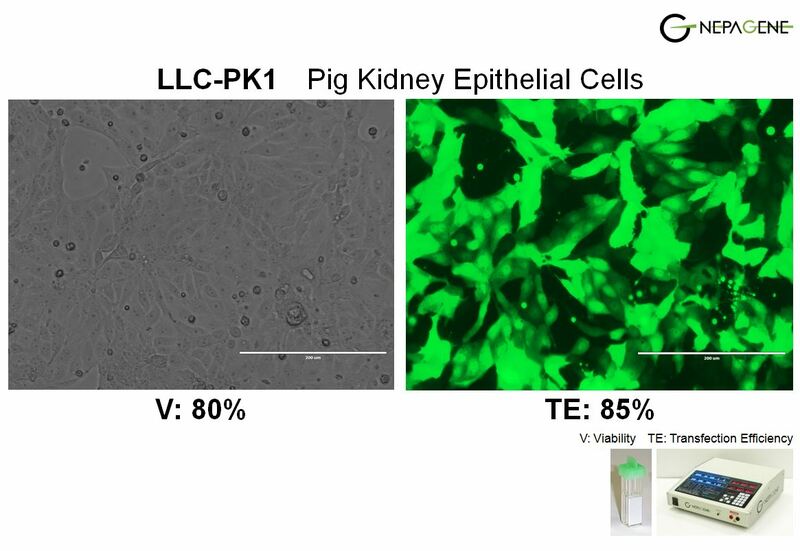 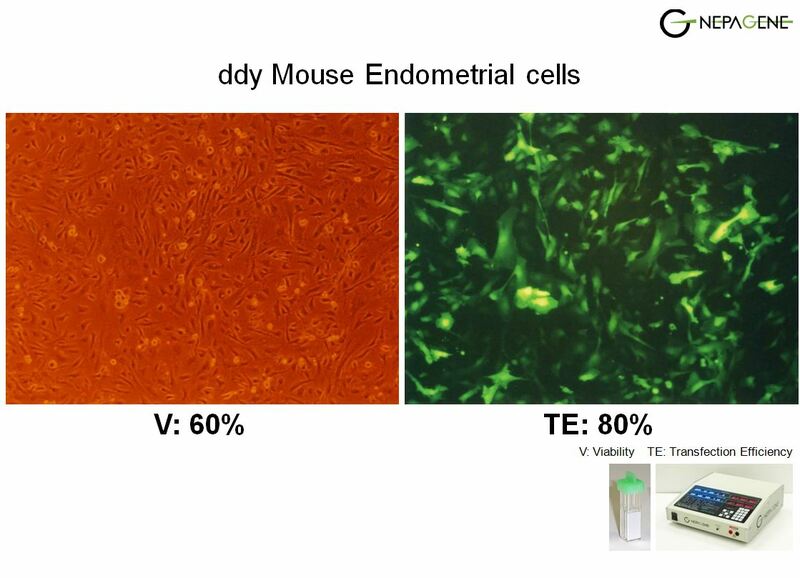 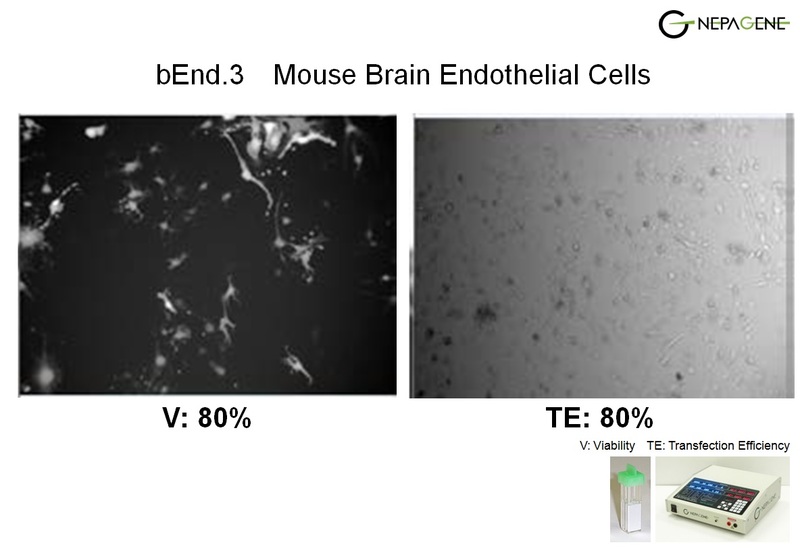 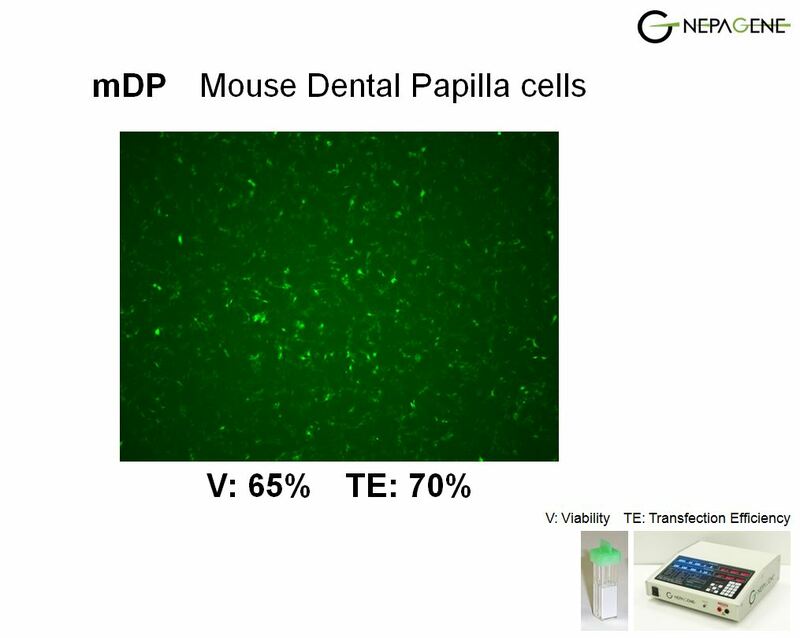 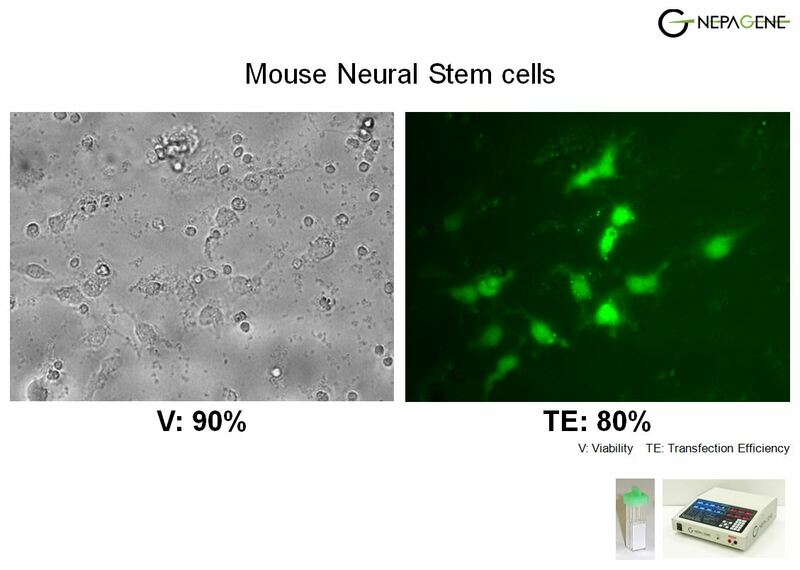 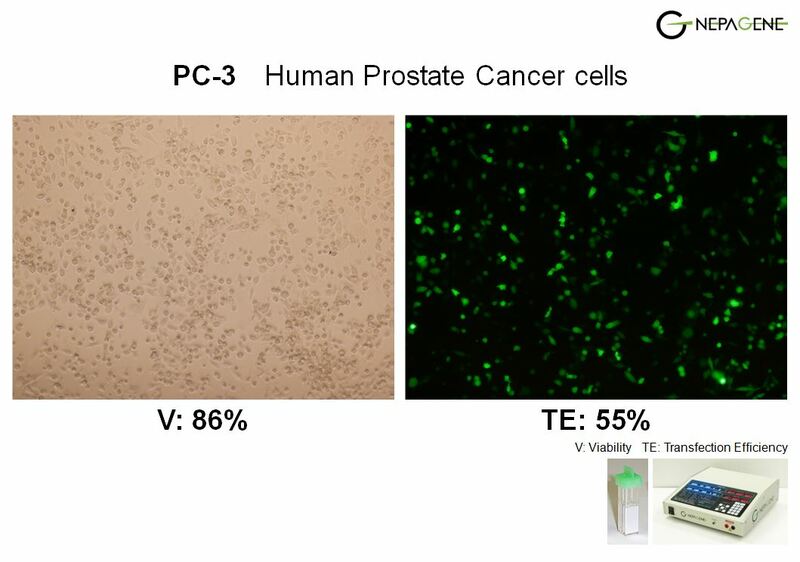 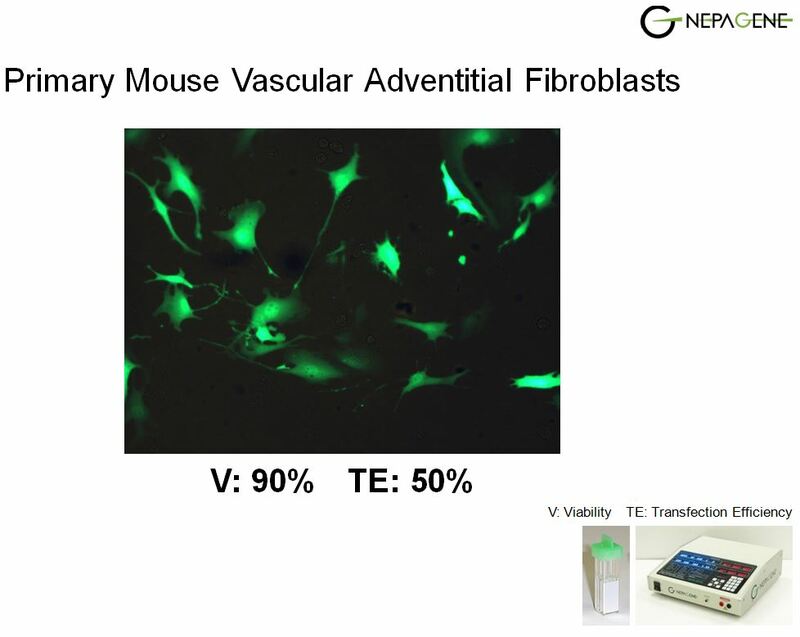 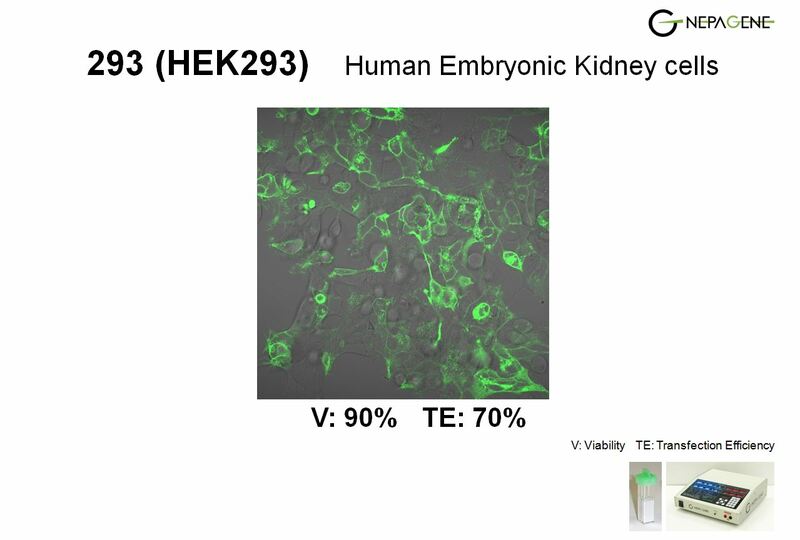 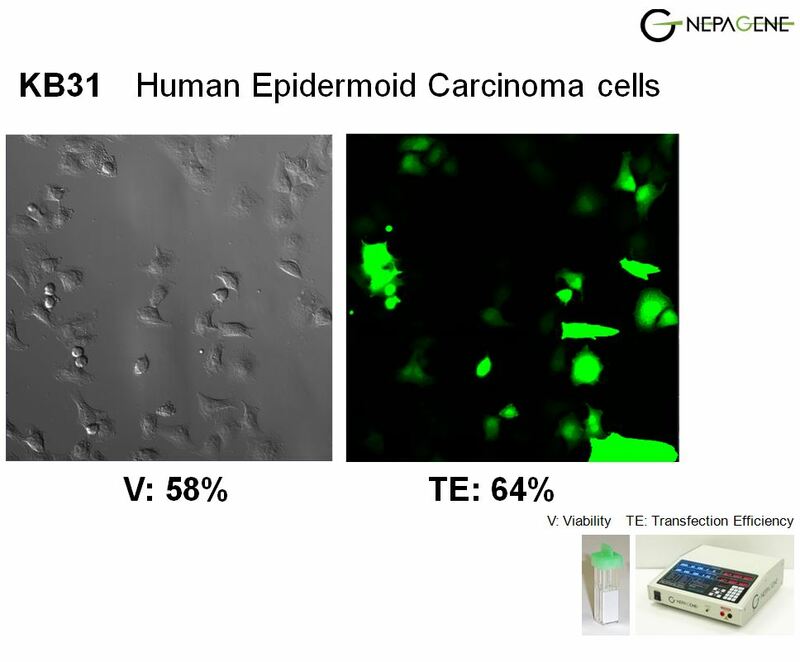 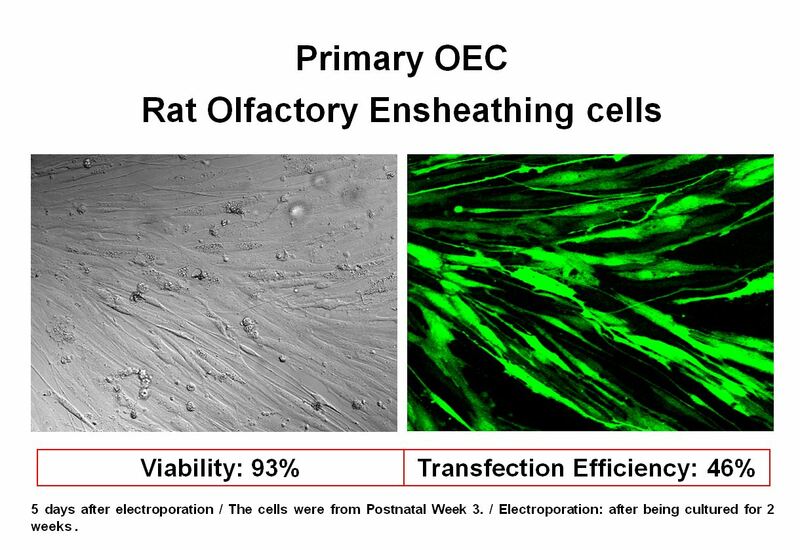 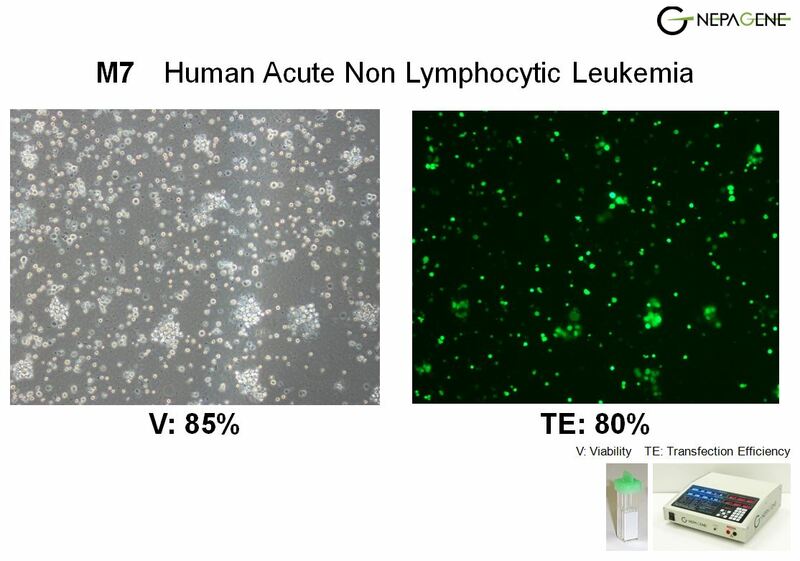 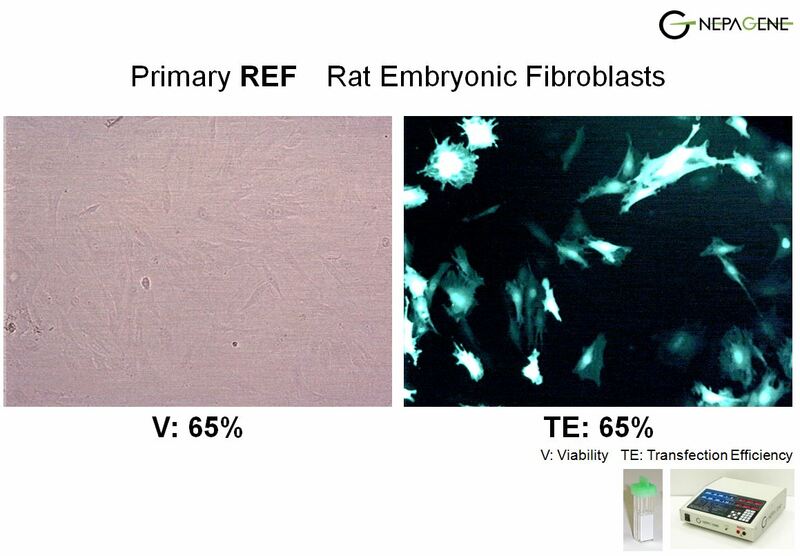 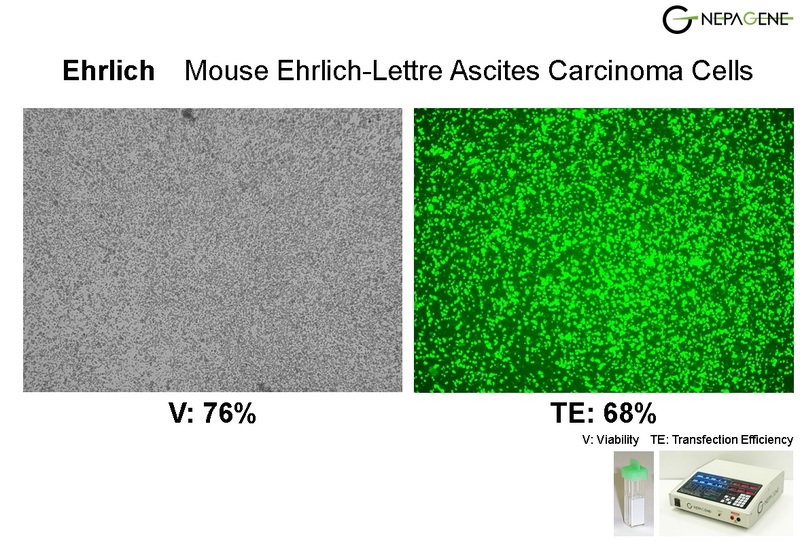 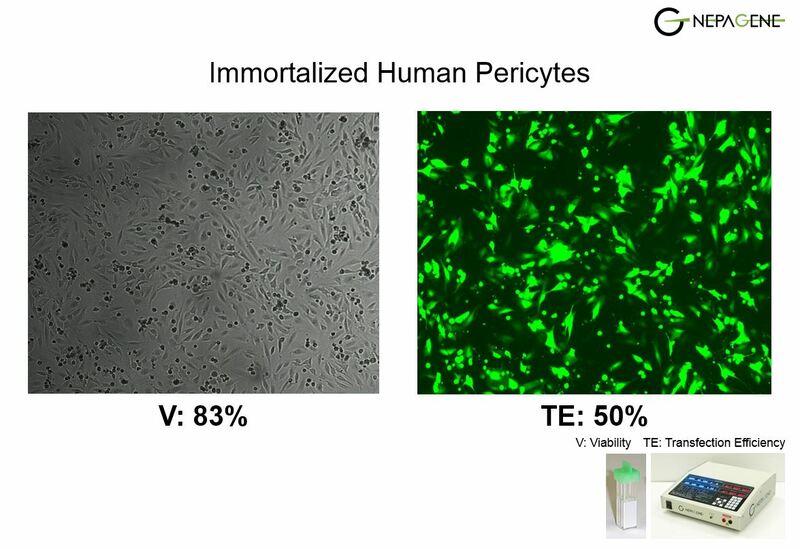 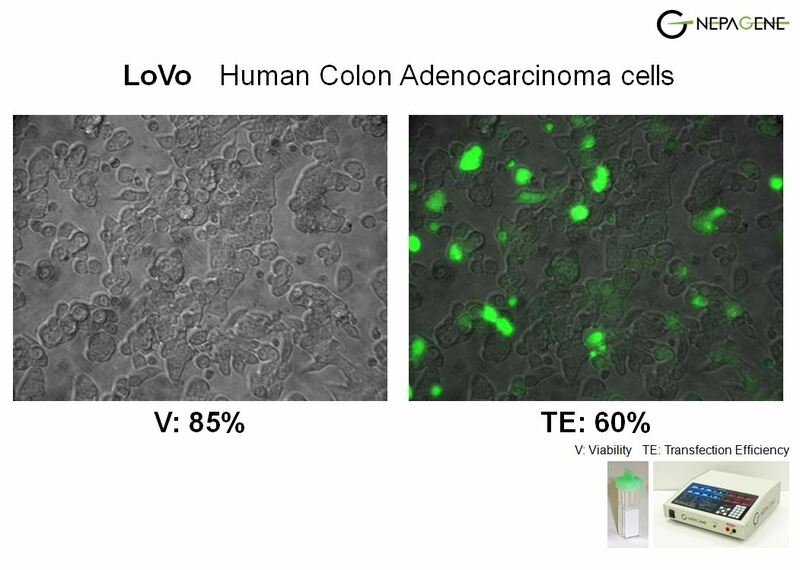 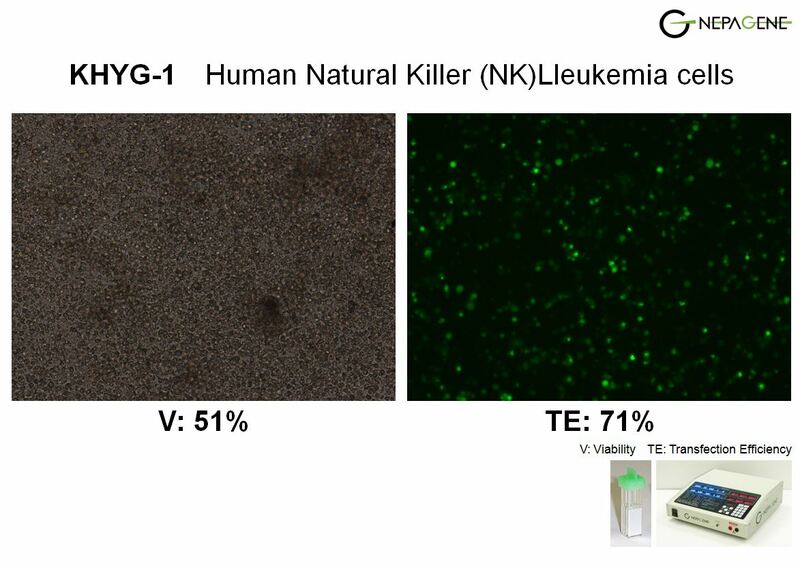 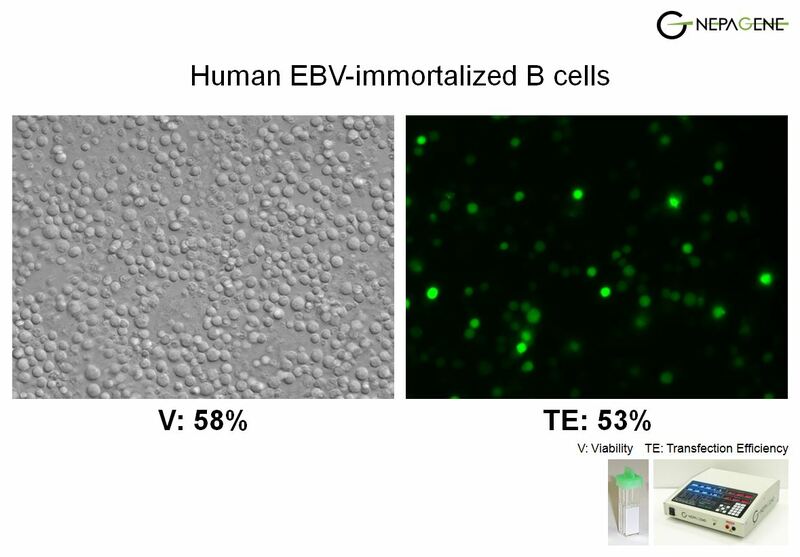 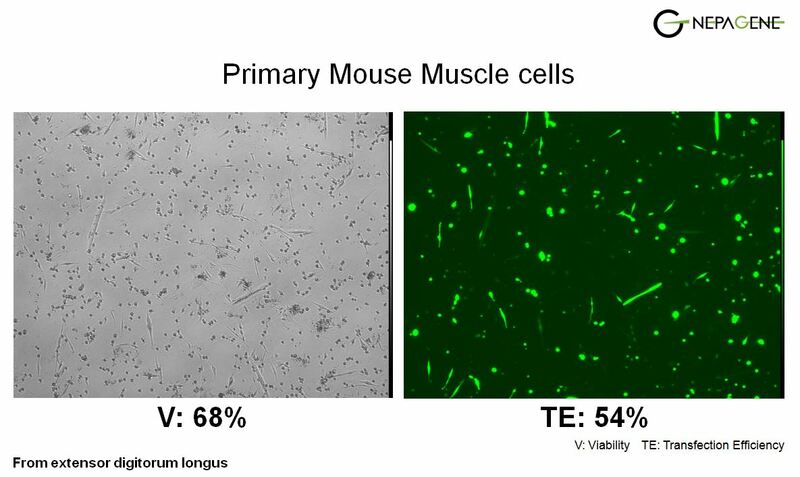 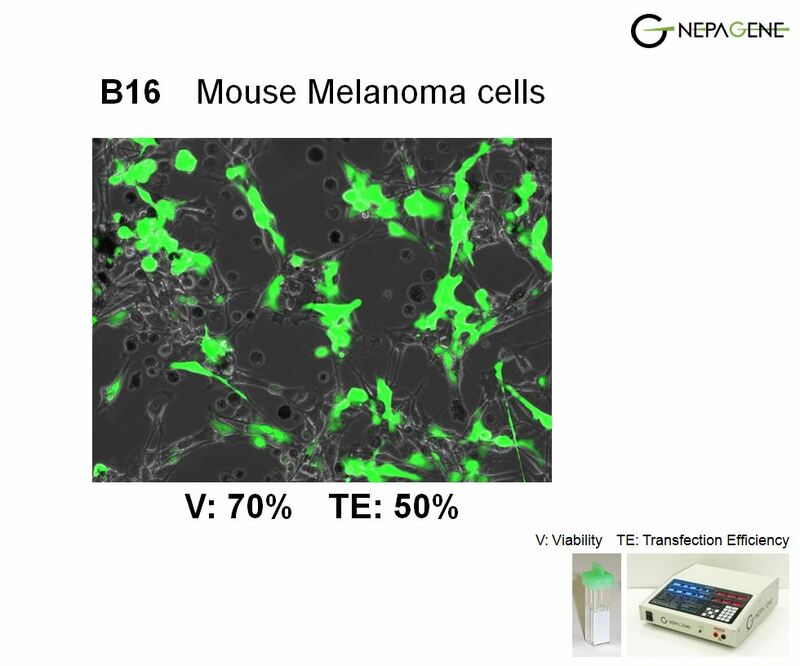 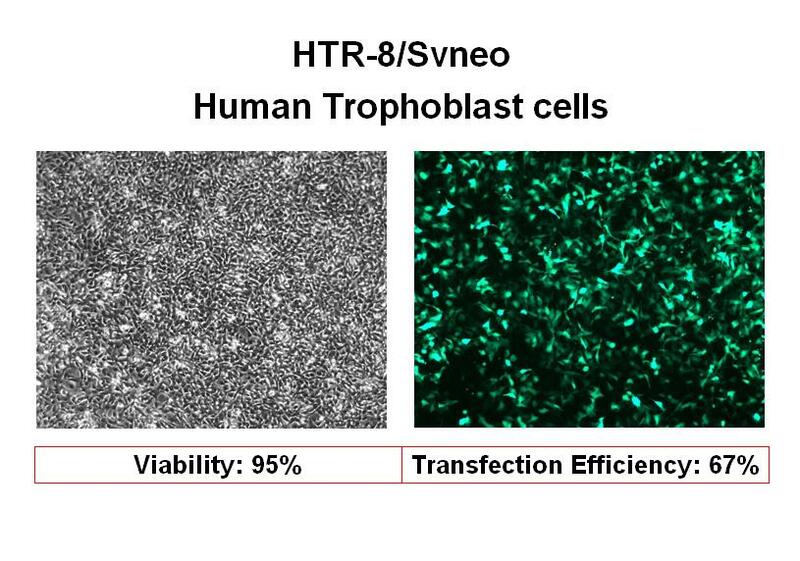 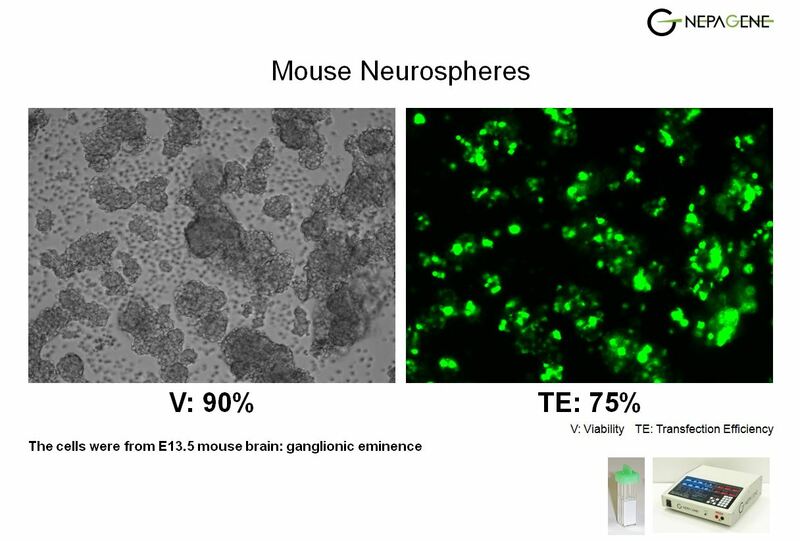 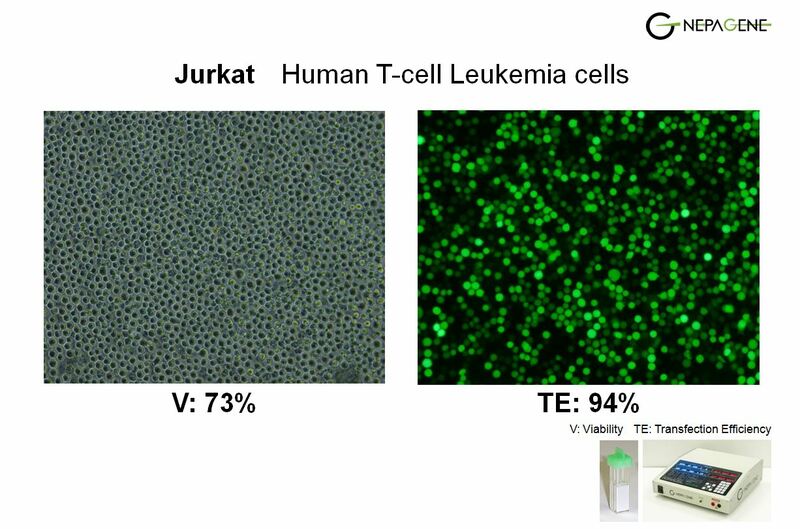 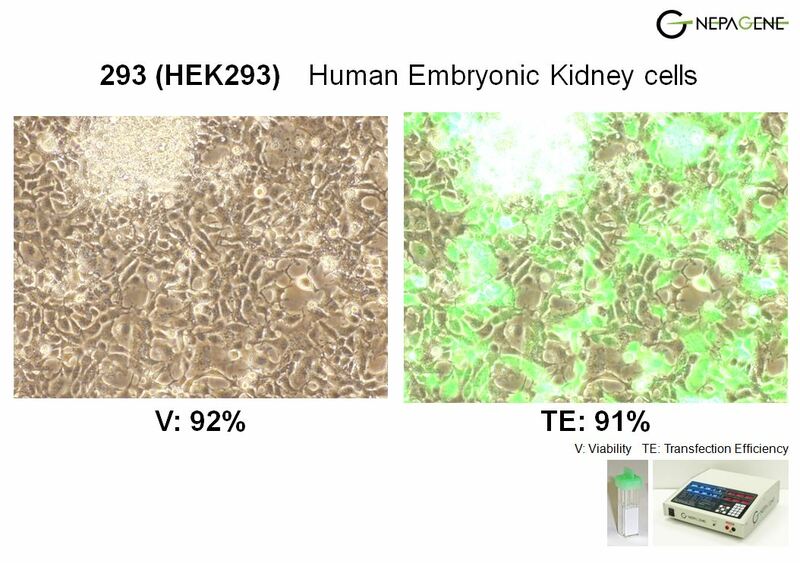 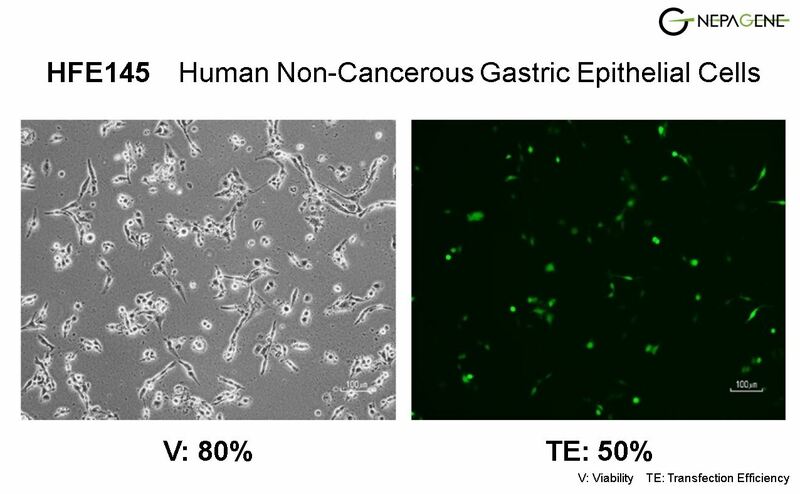 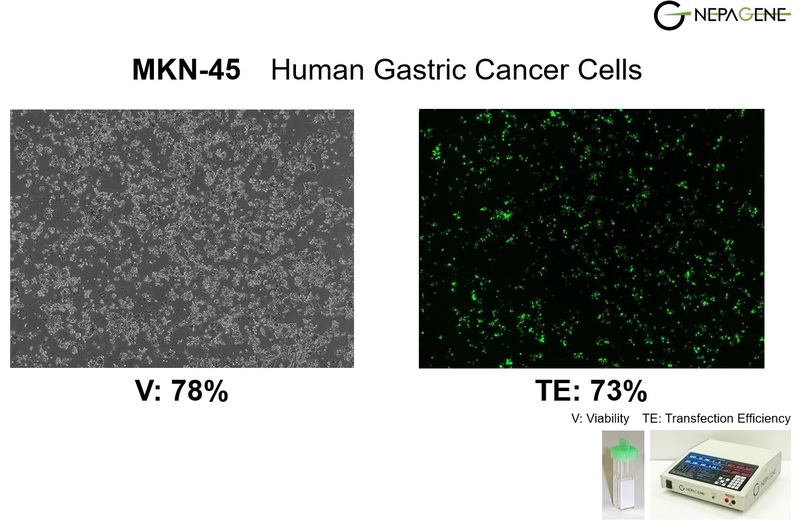 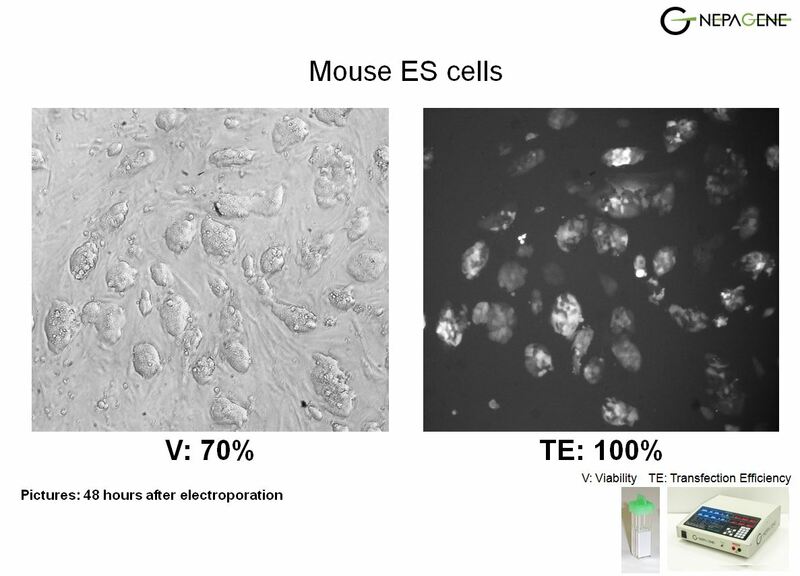 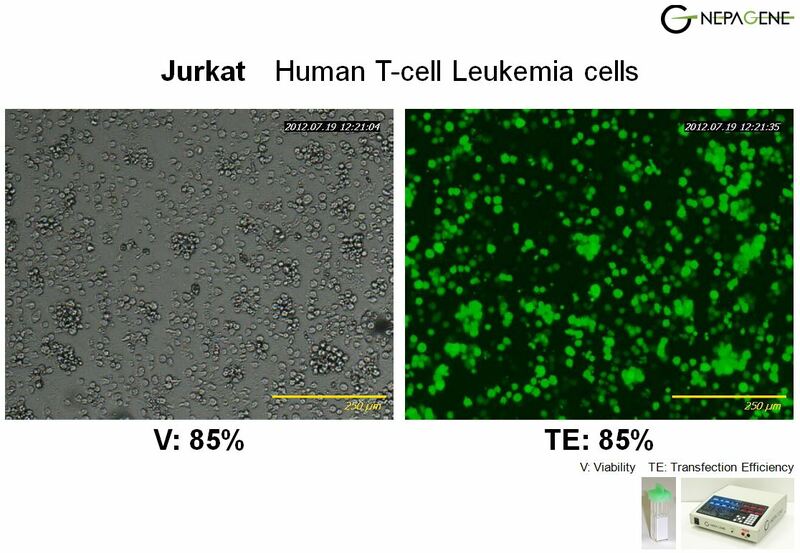 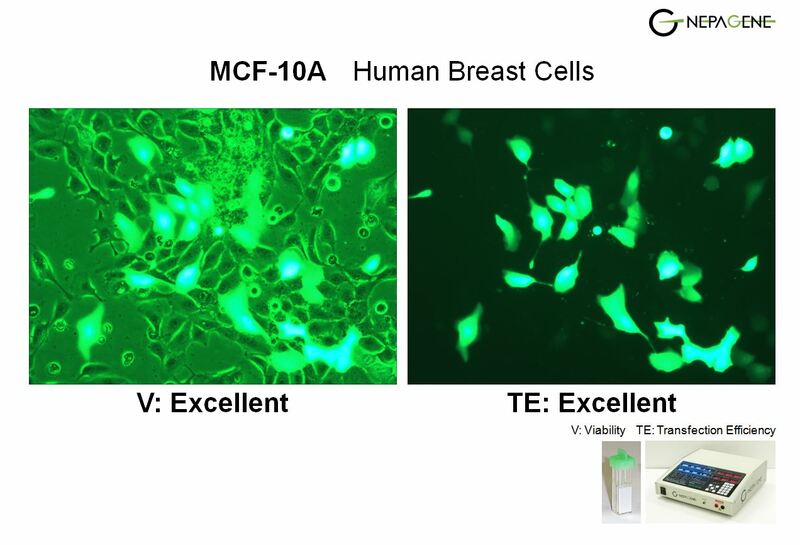 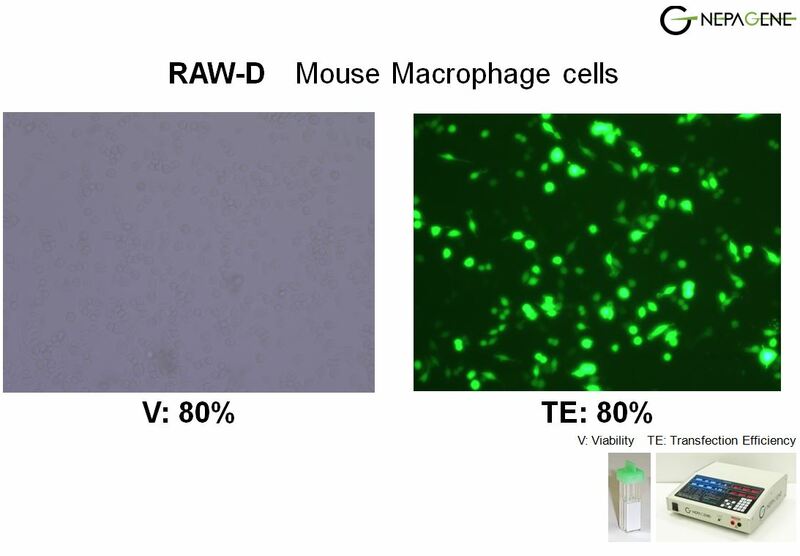 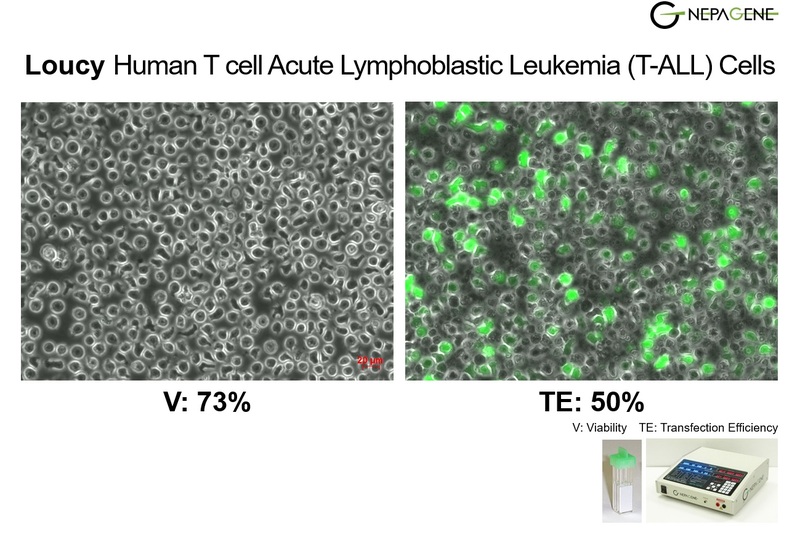 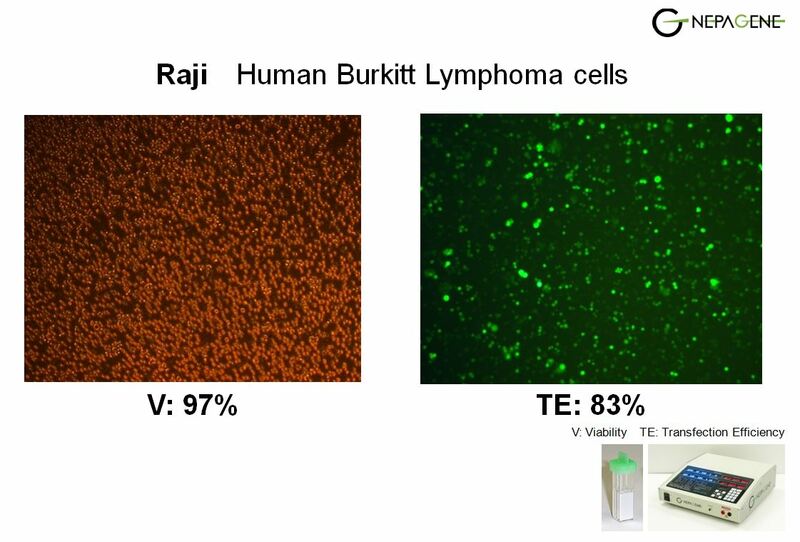 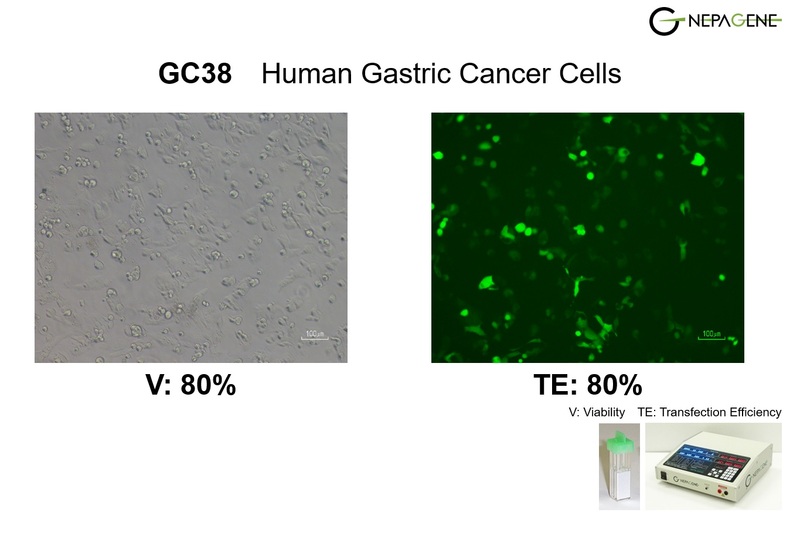 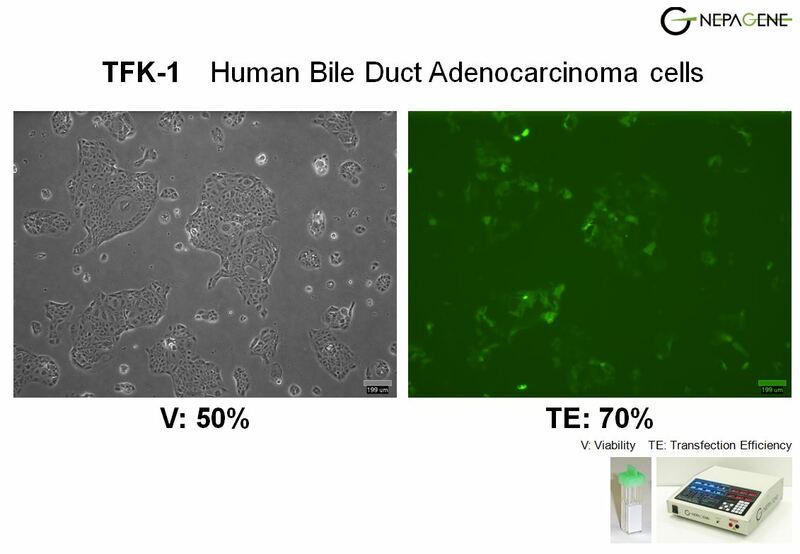 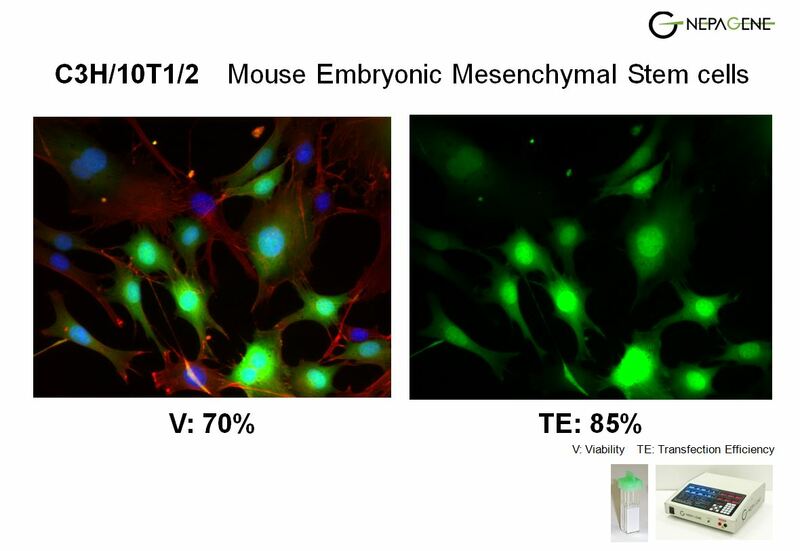 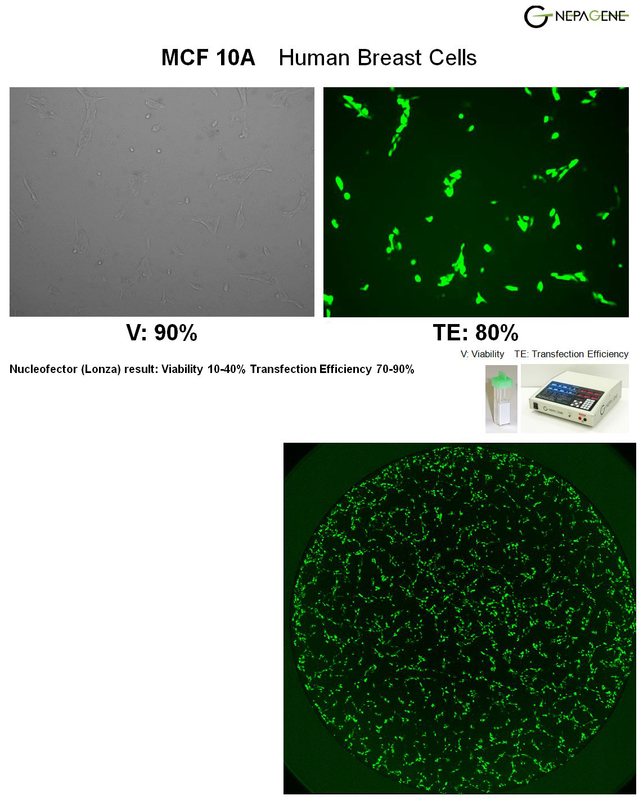 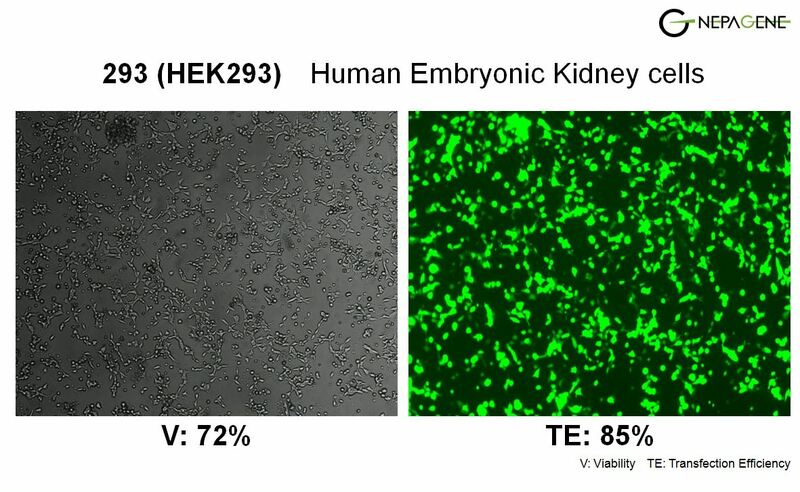 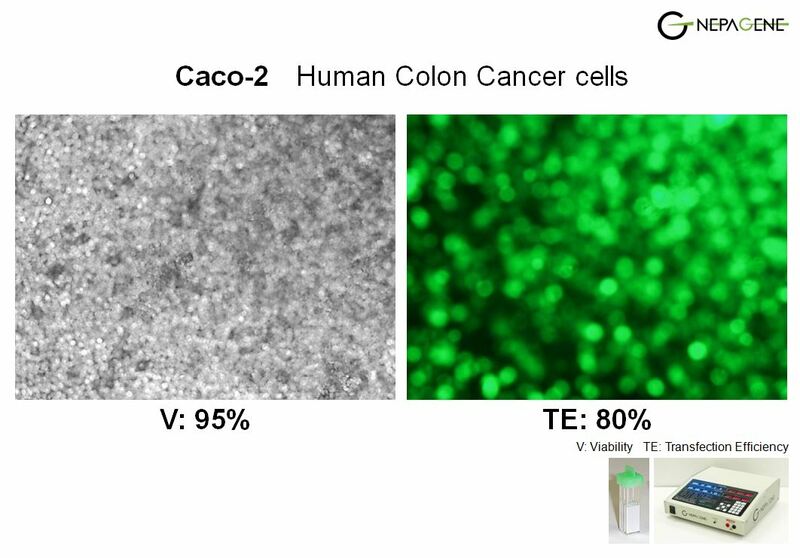 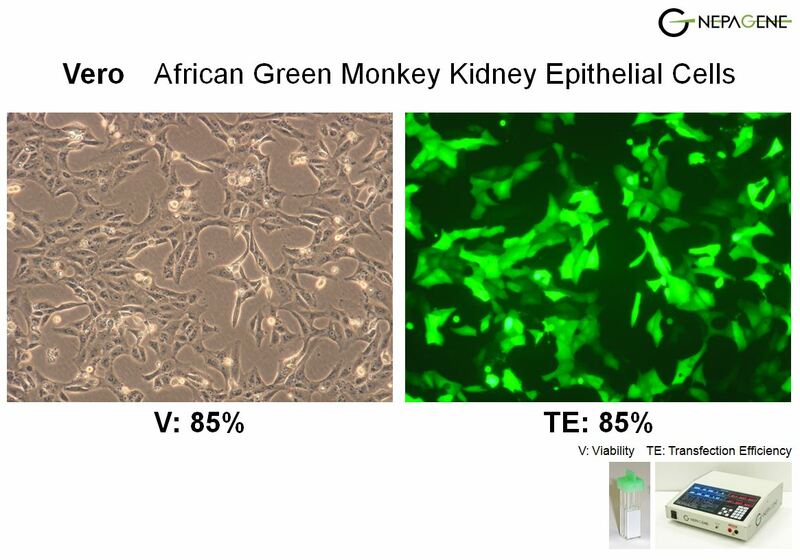 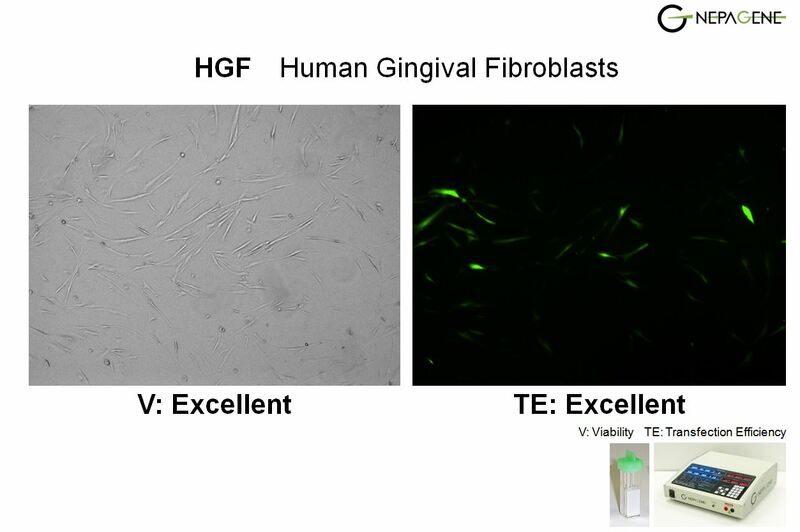 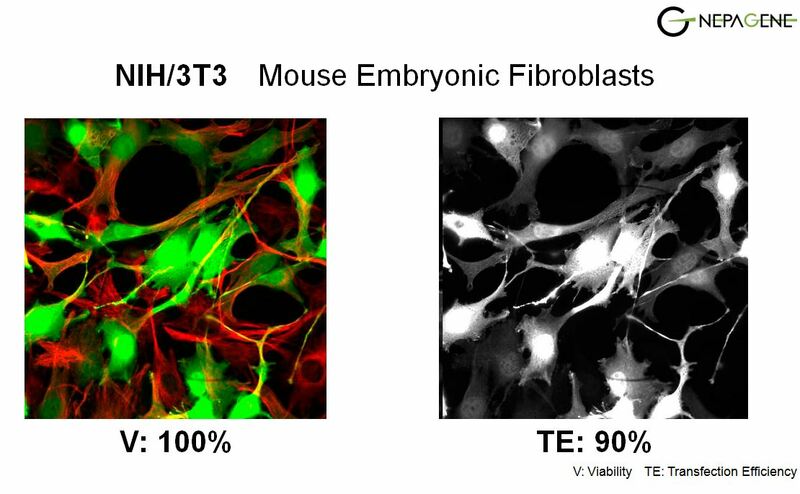 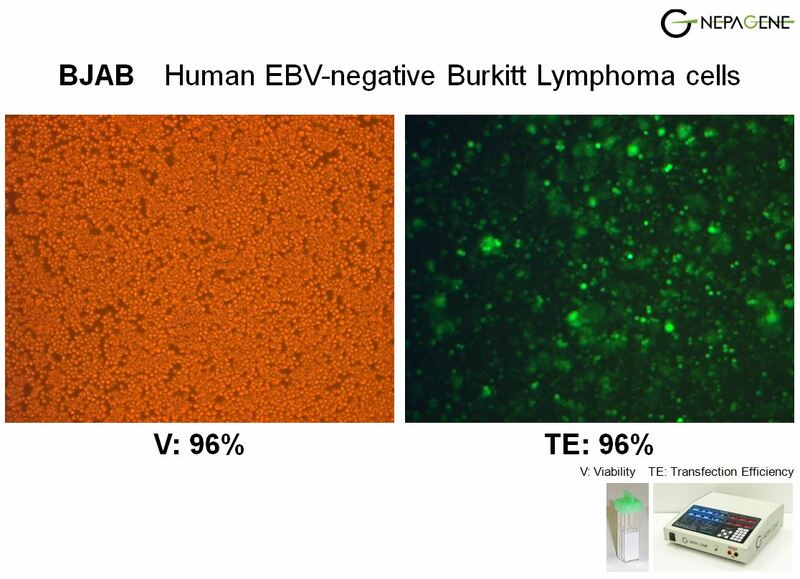 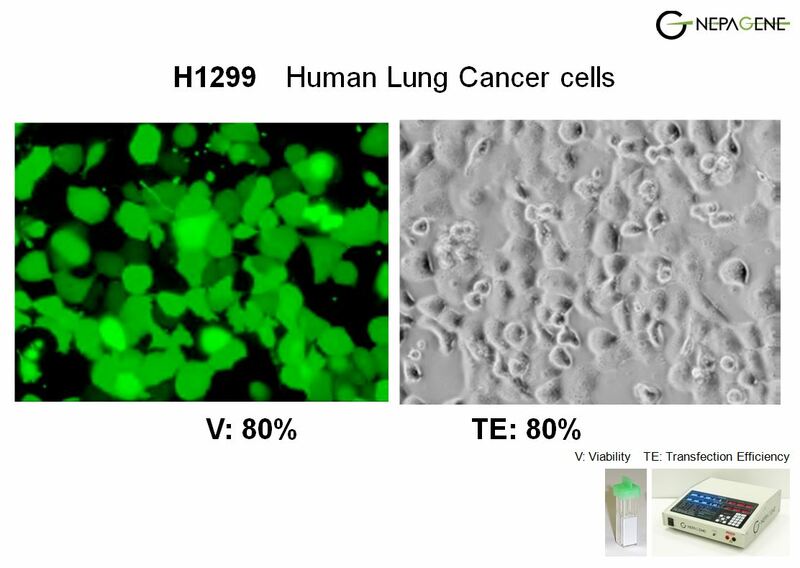 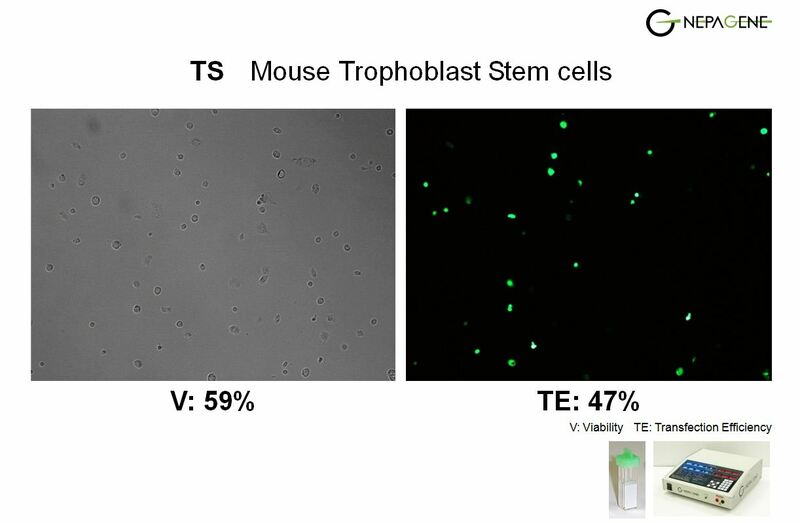 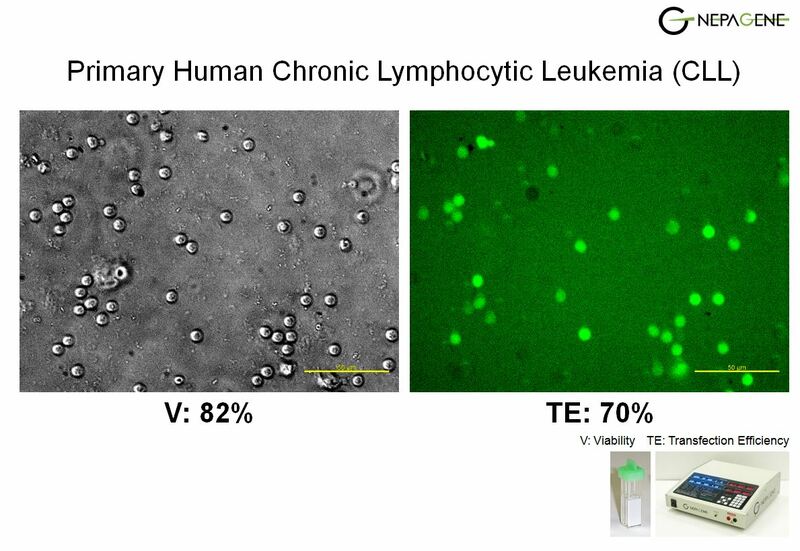 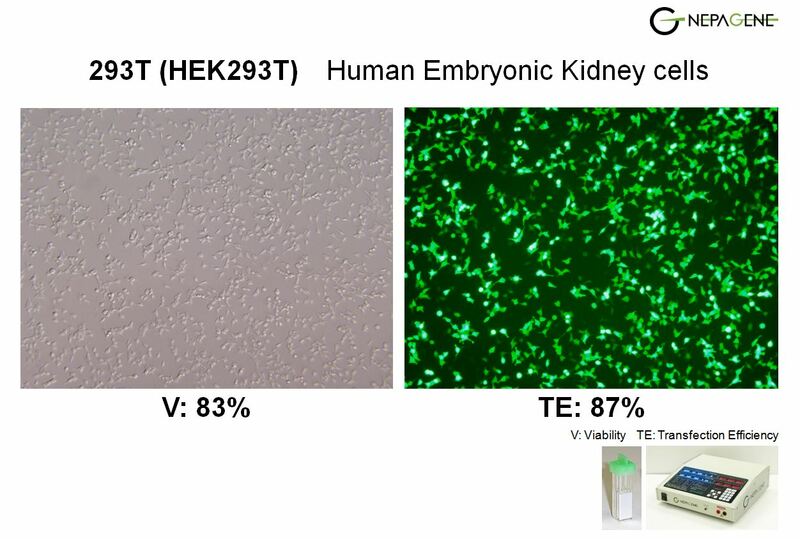 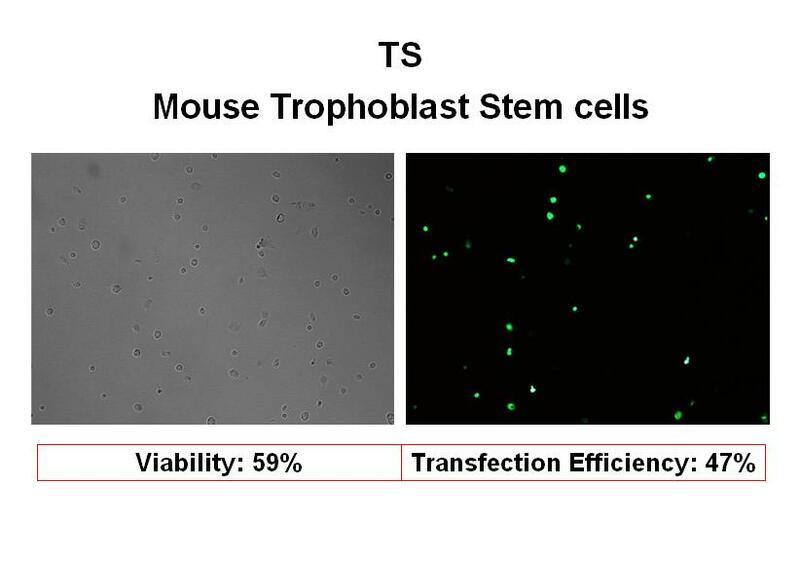 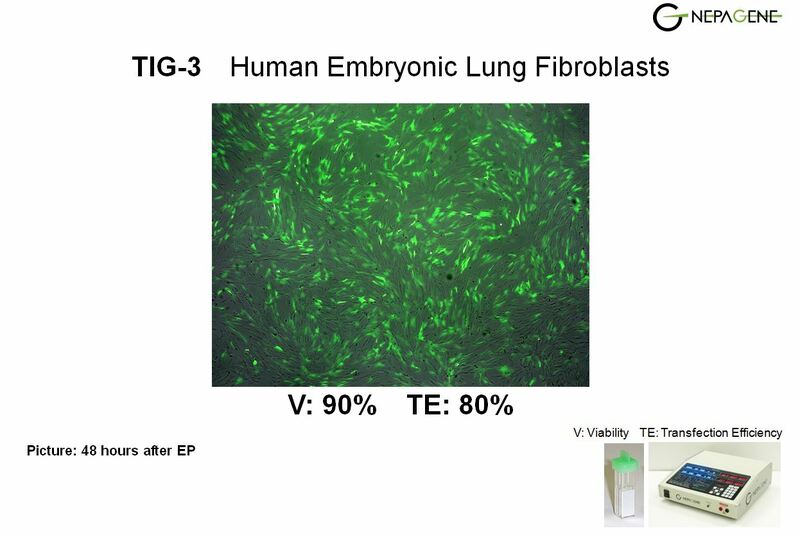 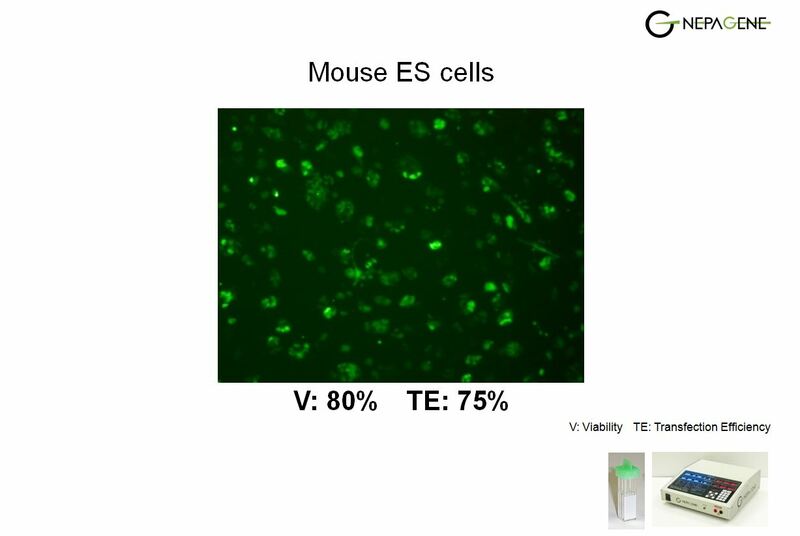 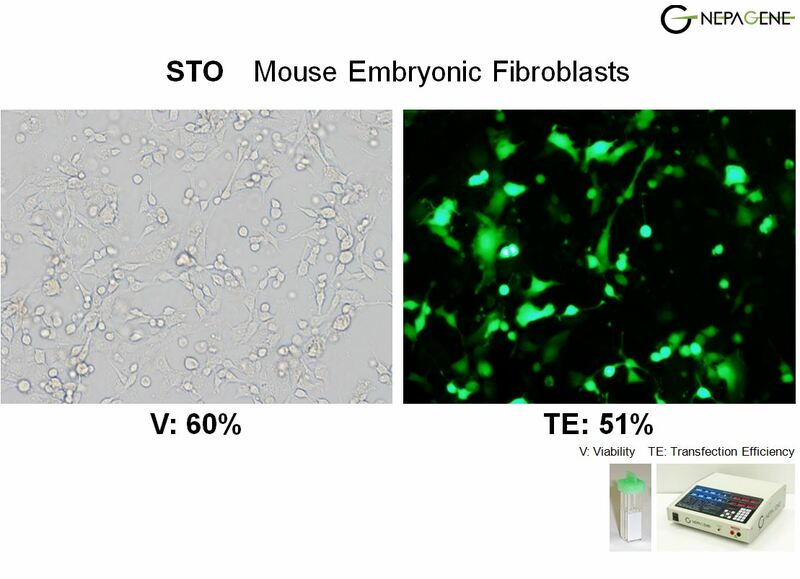 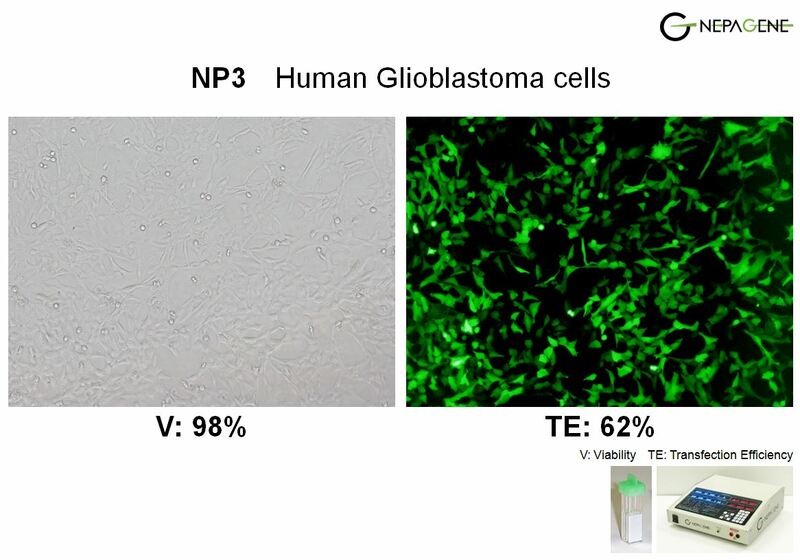 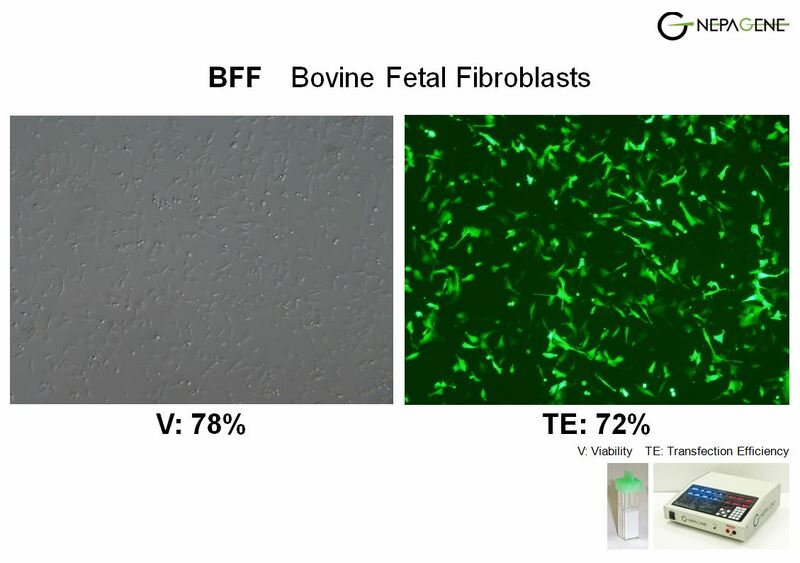 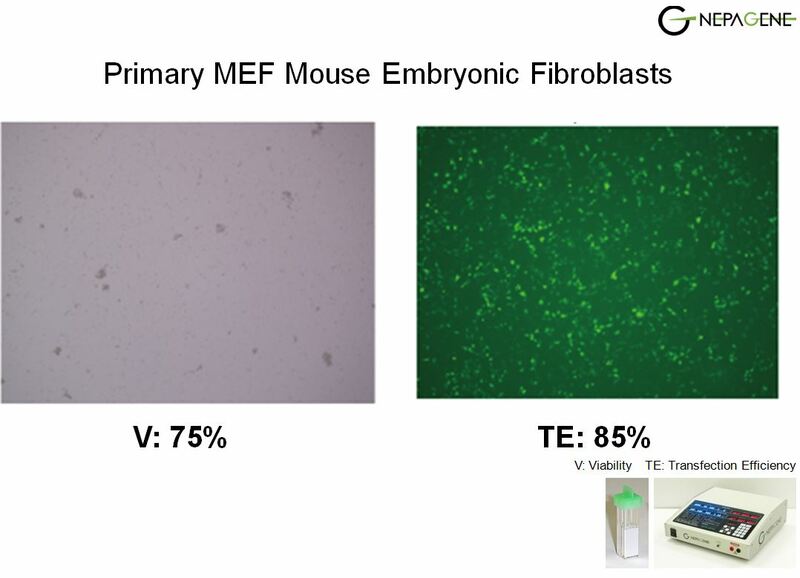 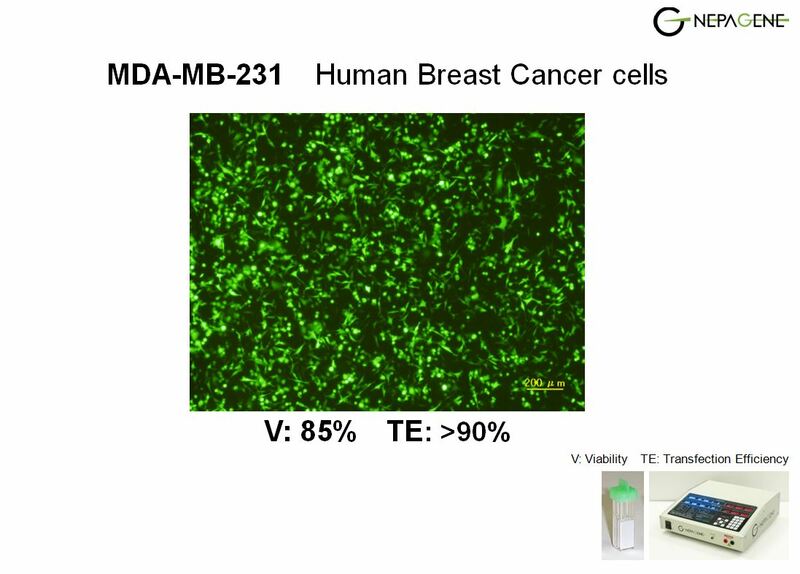 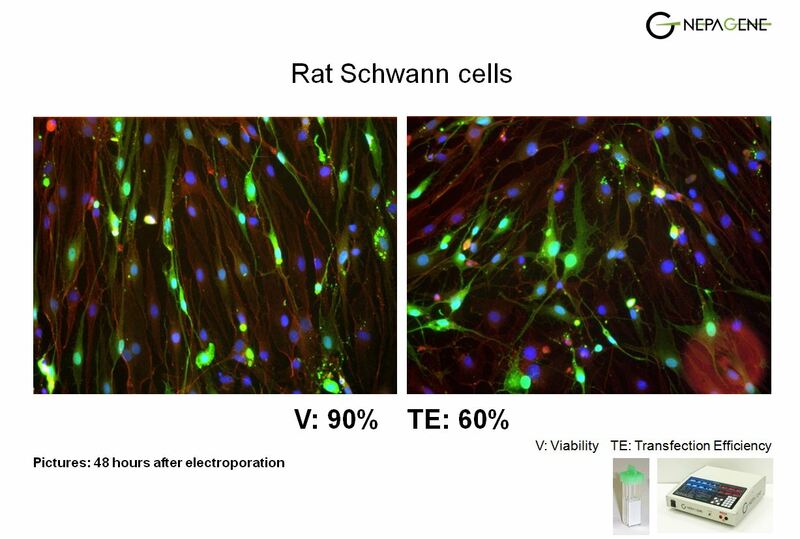 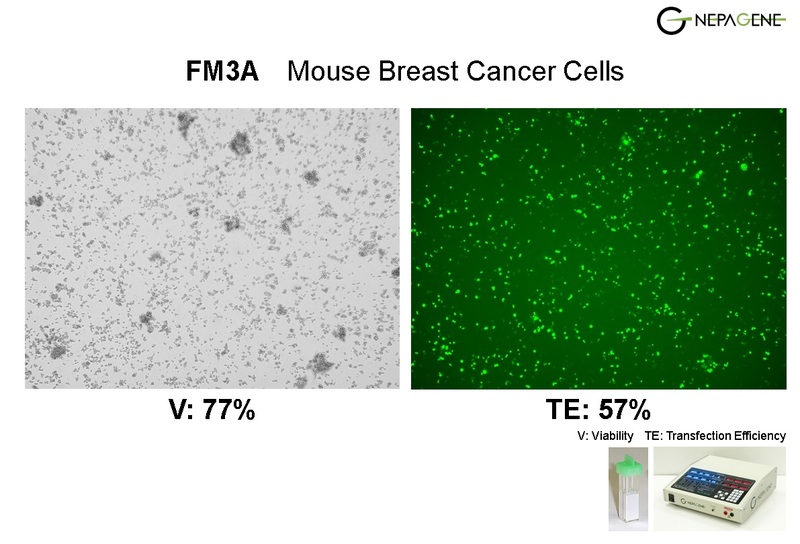 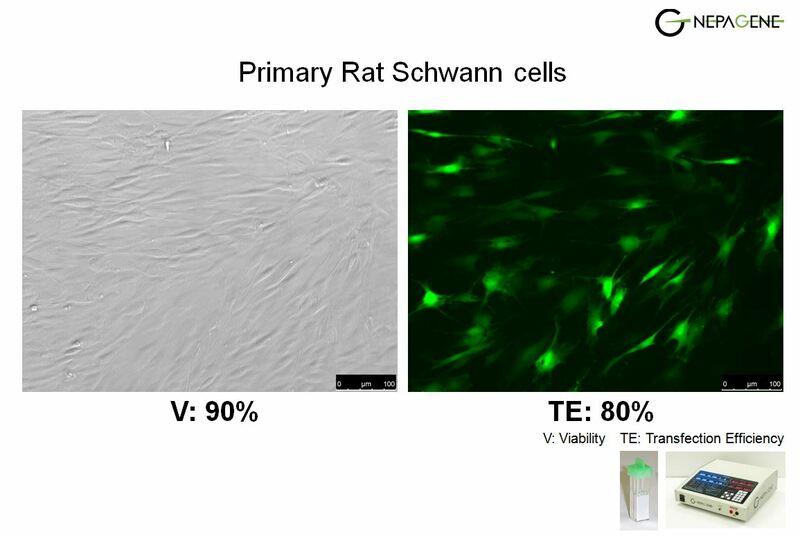 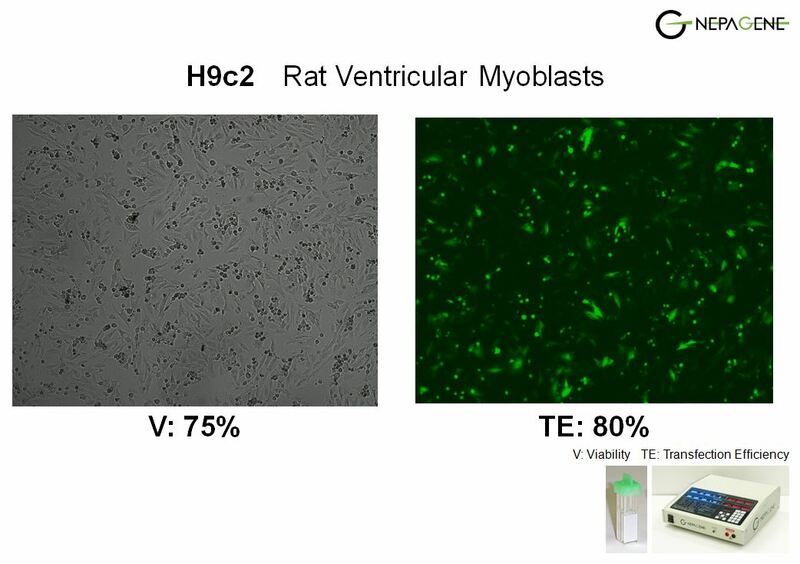 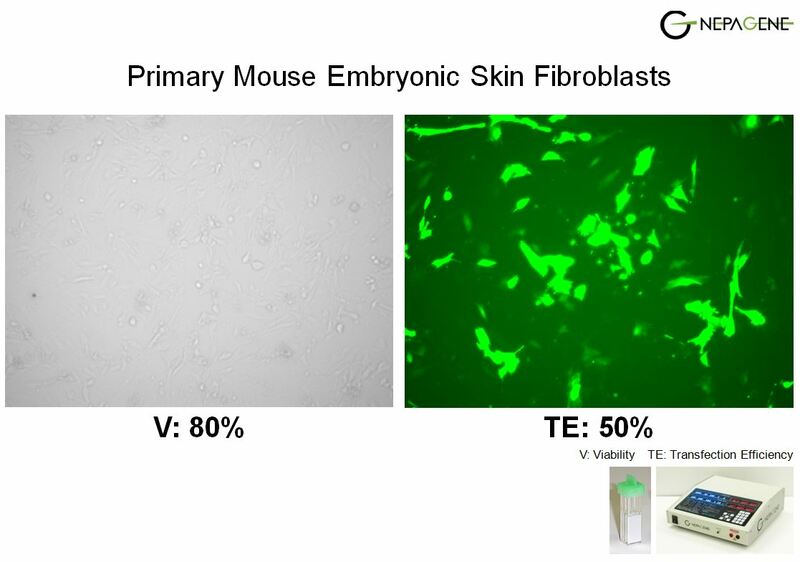 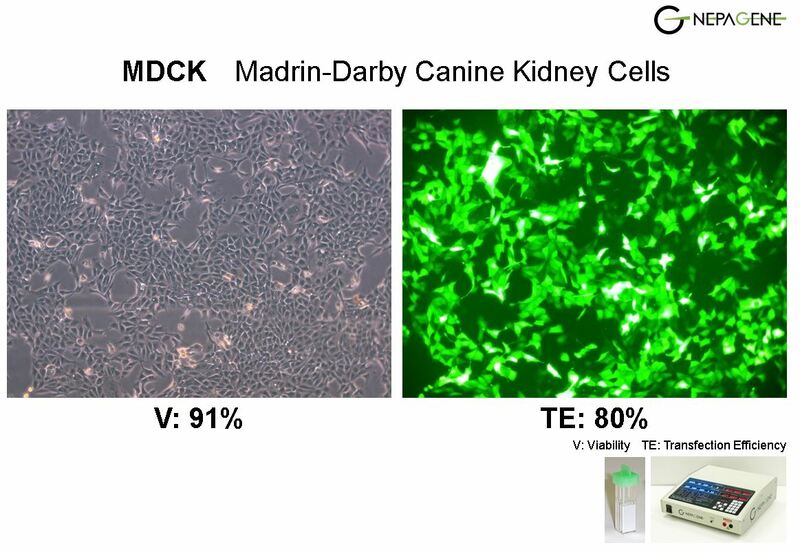 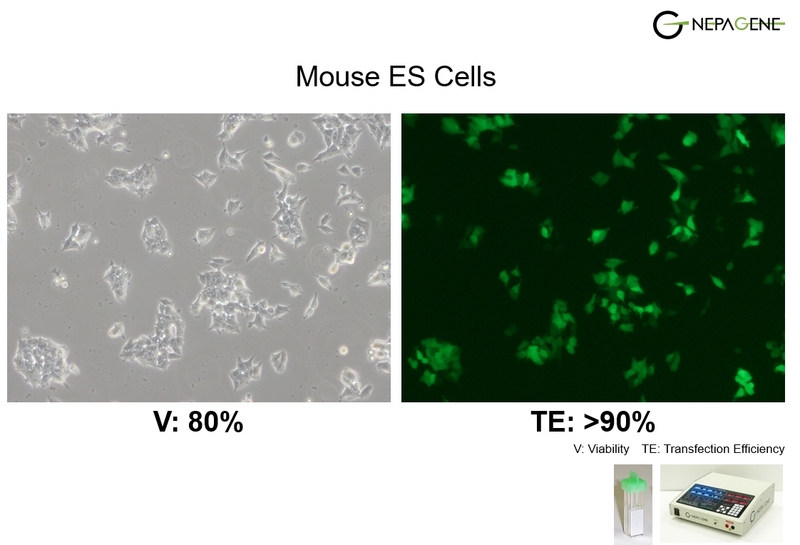 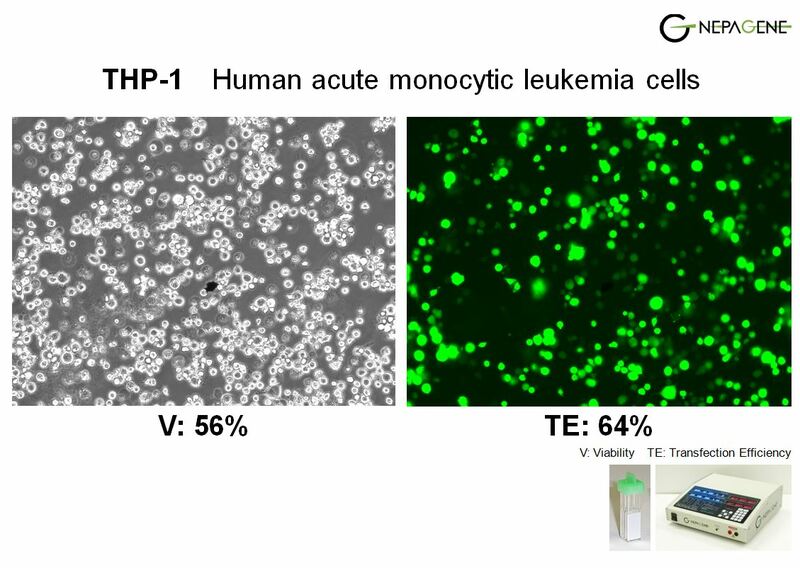 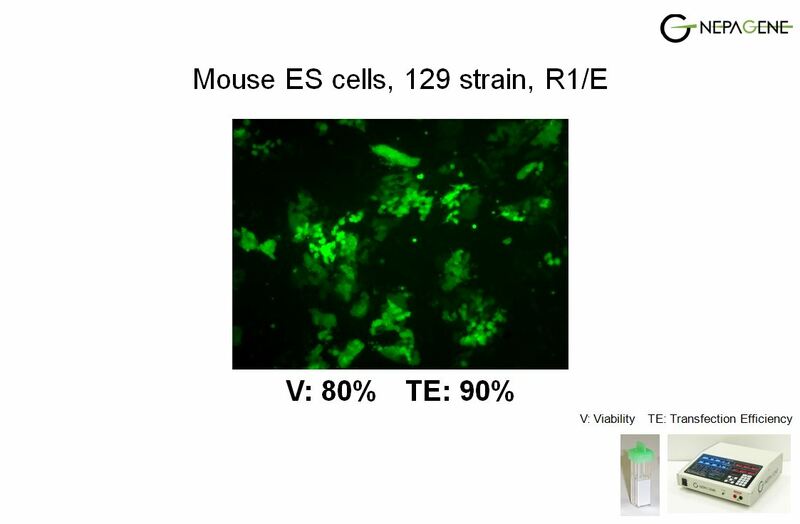 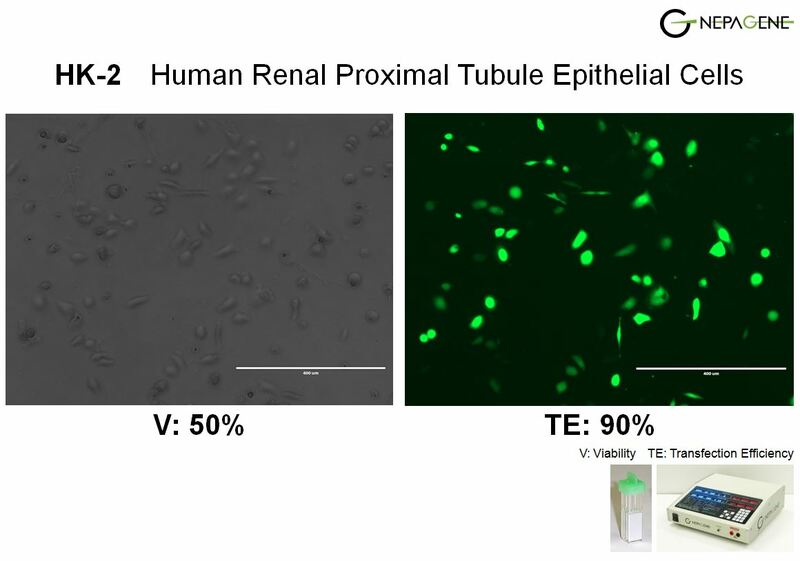 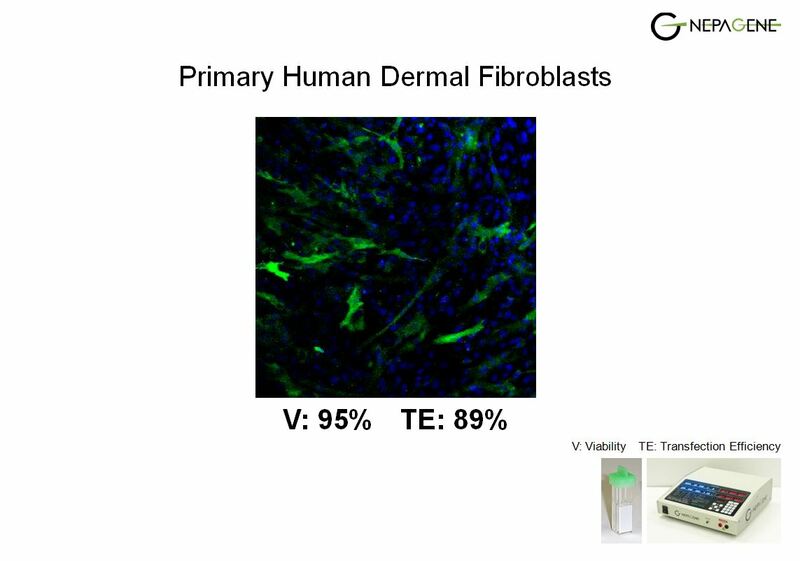 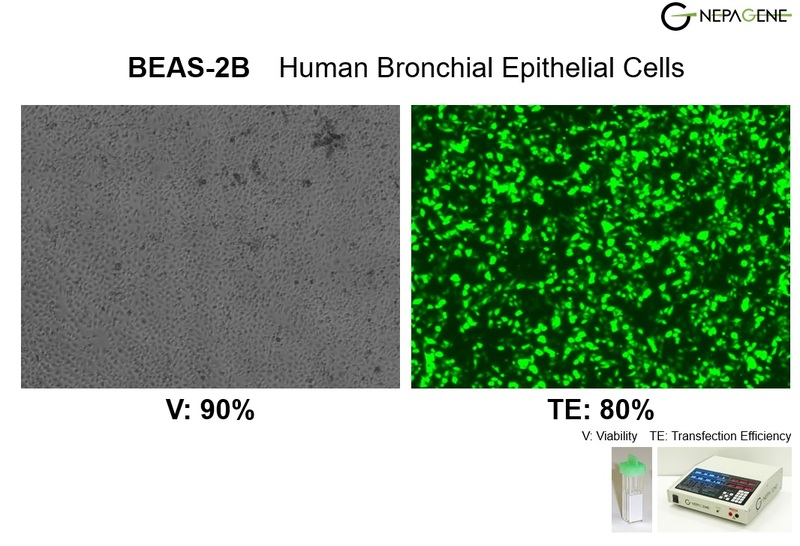 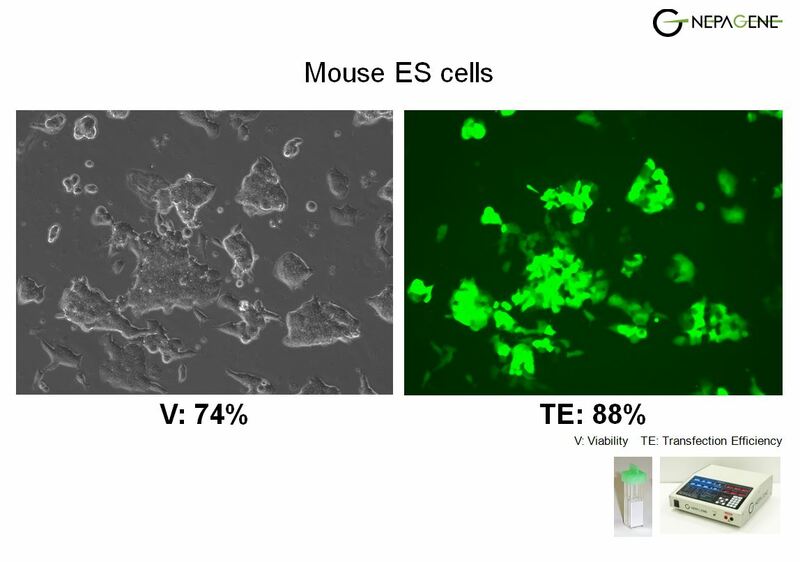 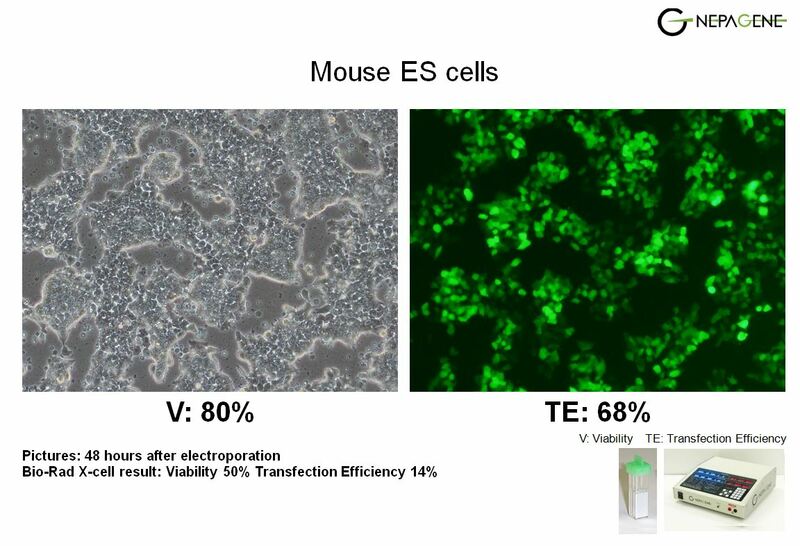 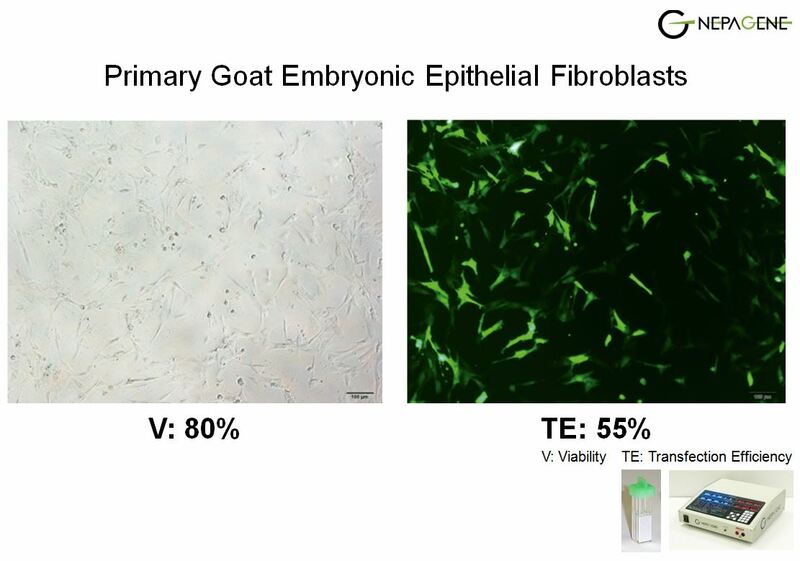 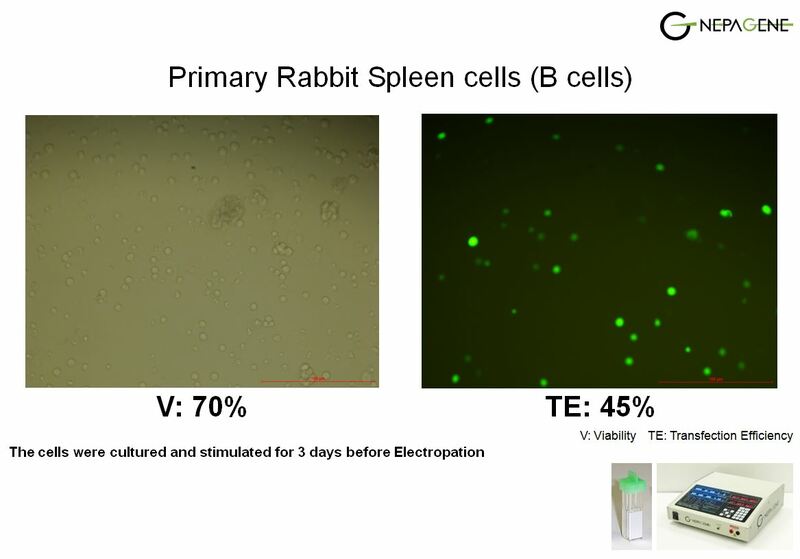 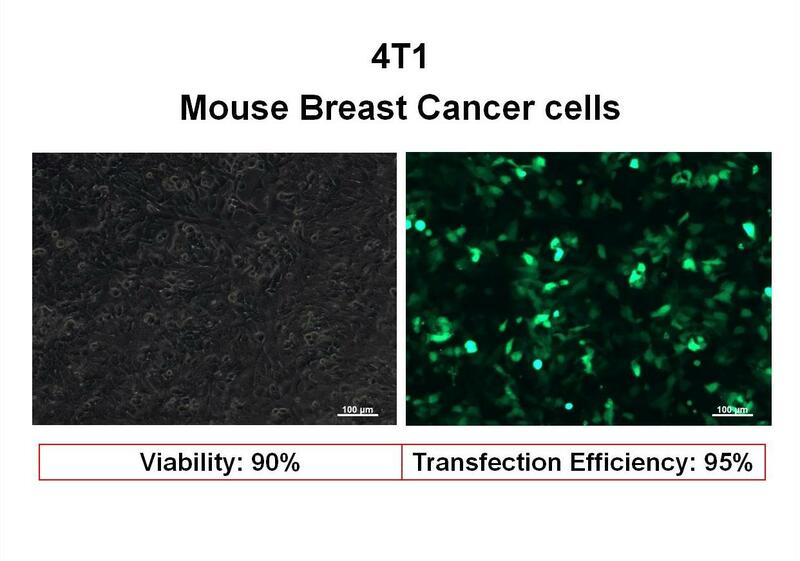 V: Viability, TE: Transfection Efficiency. 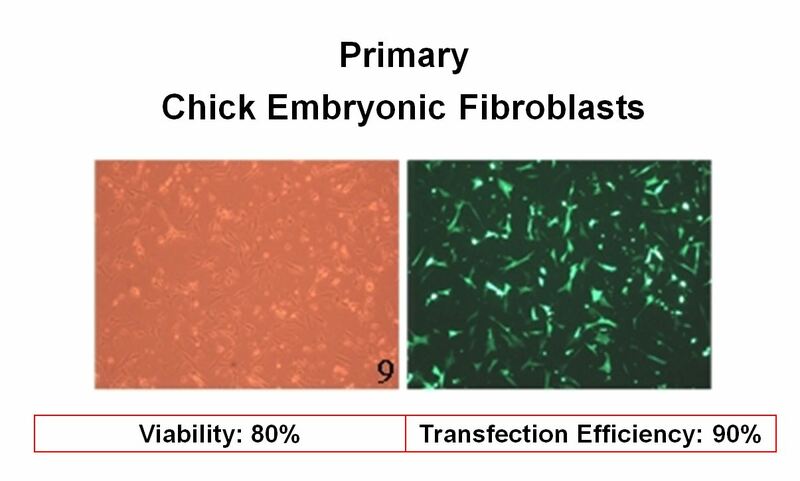 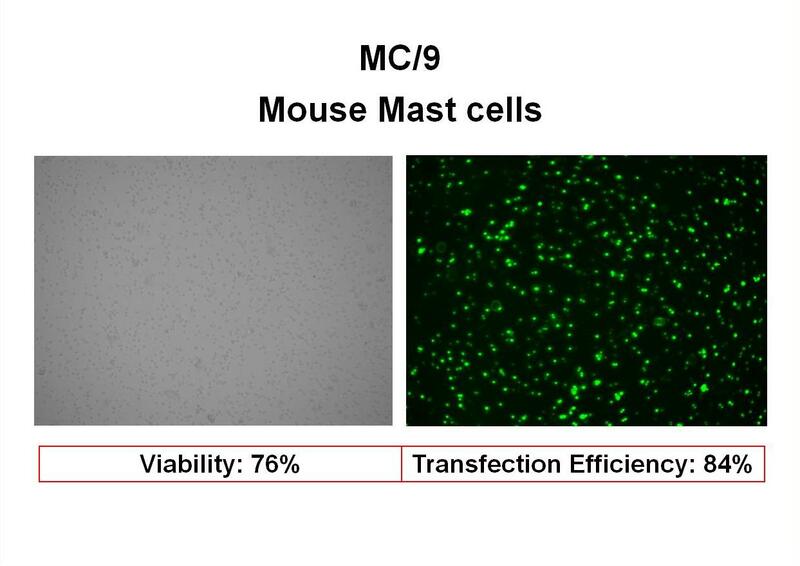 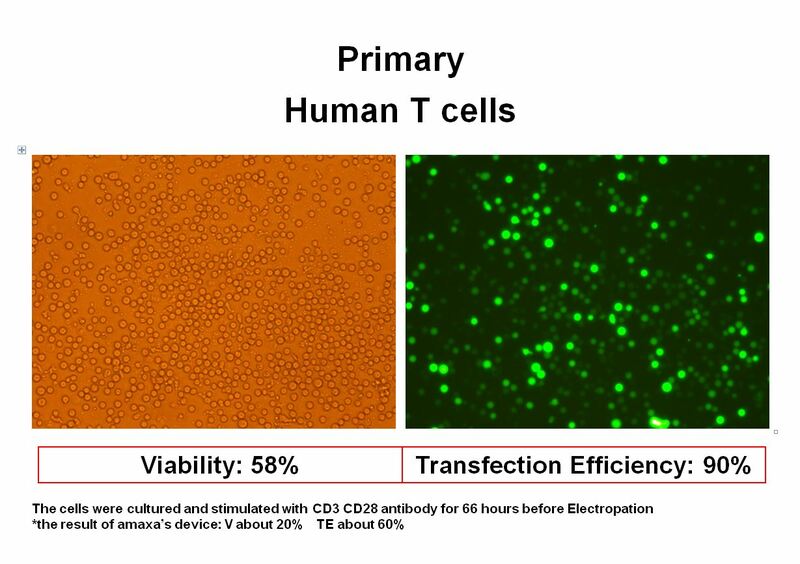 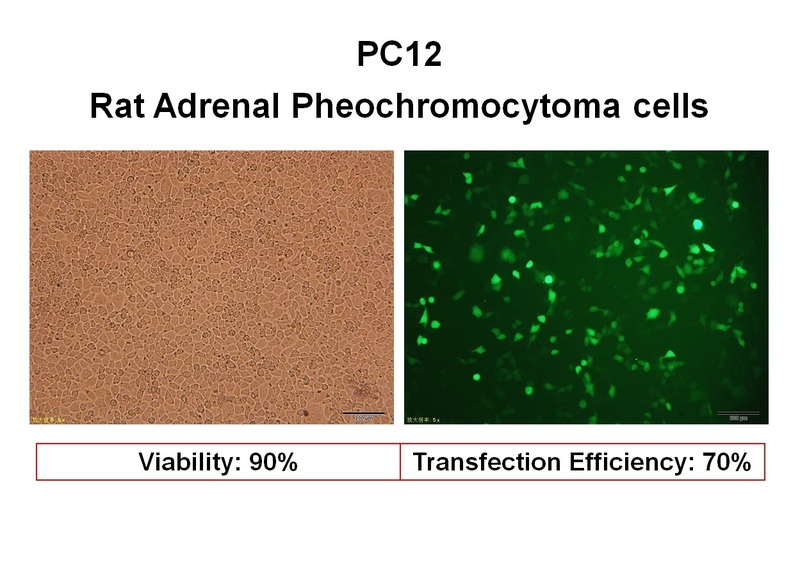 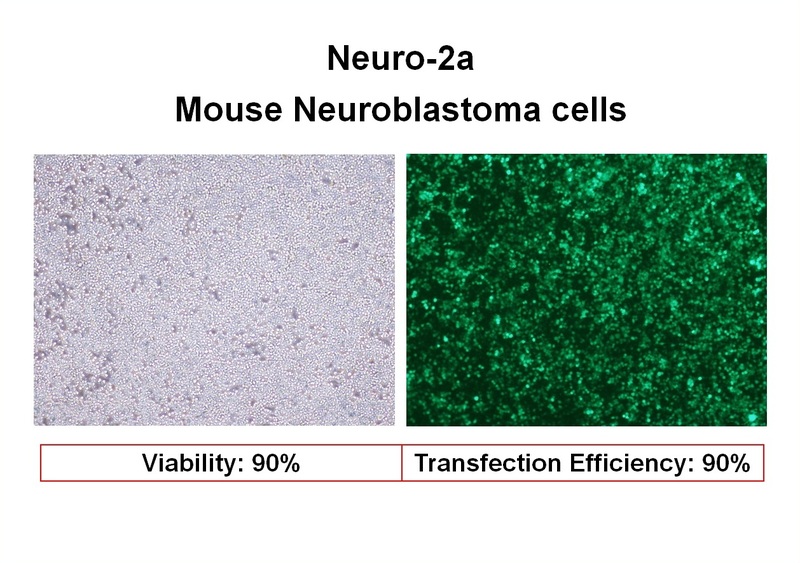 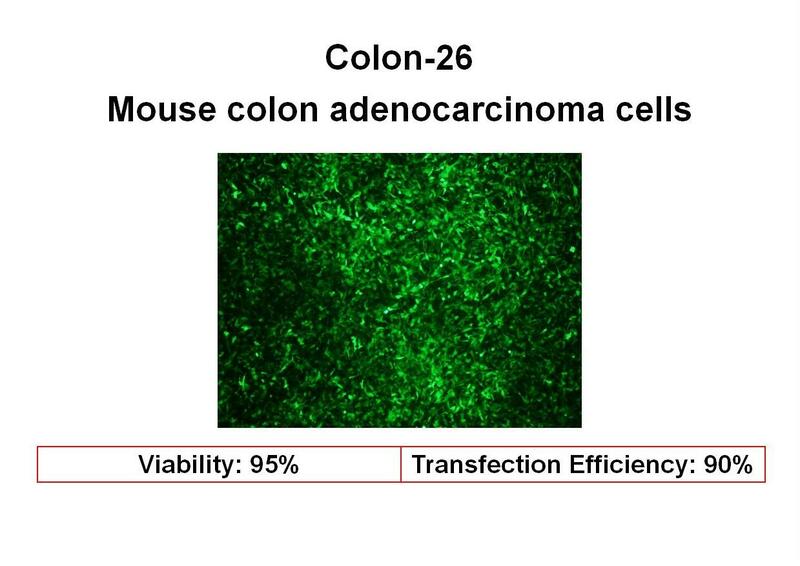 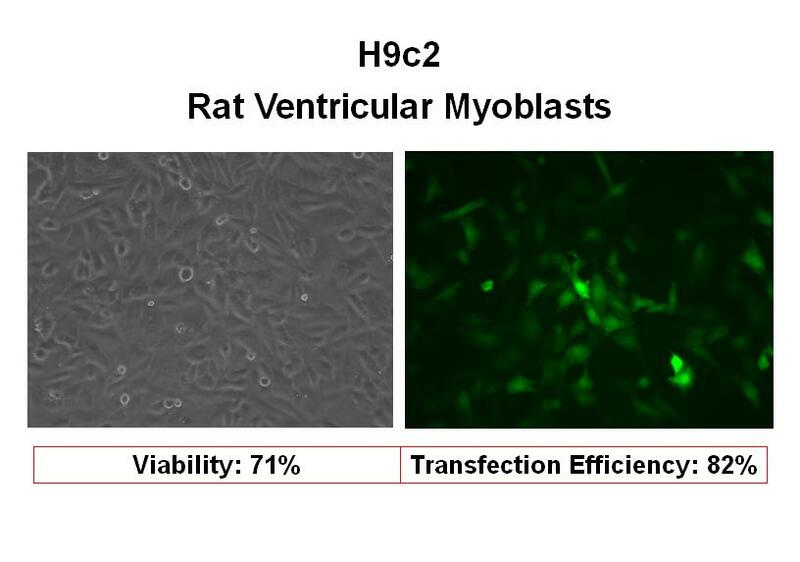 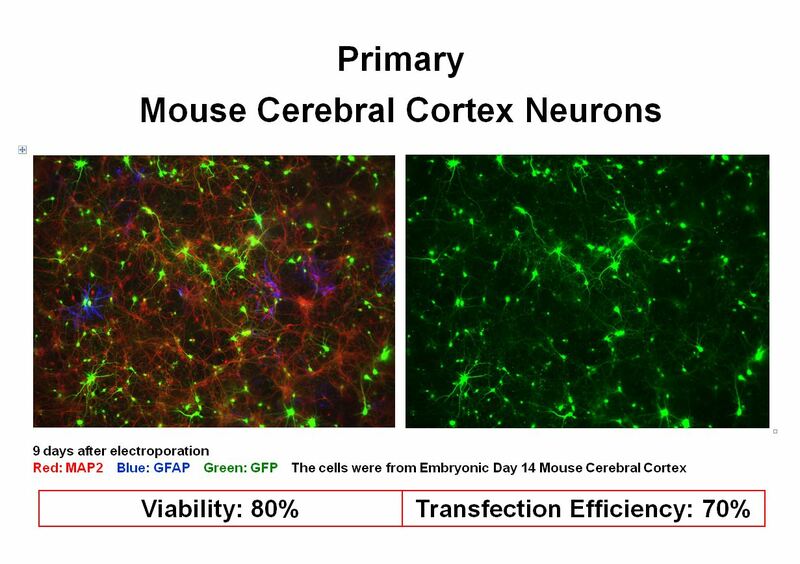 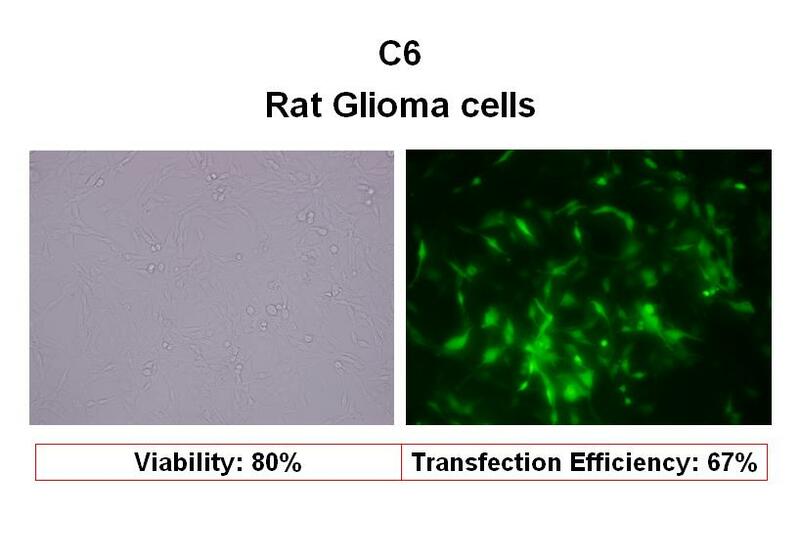 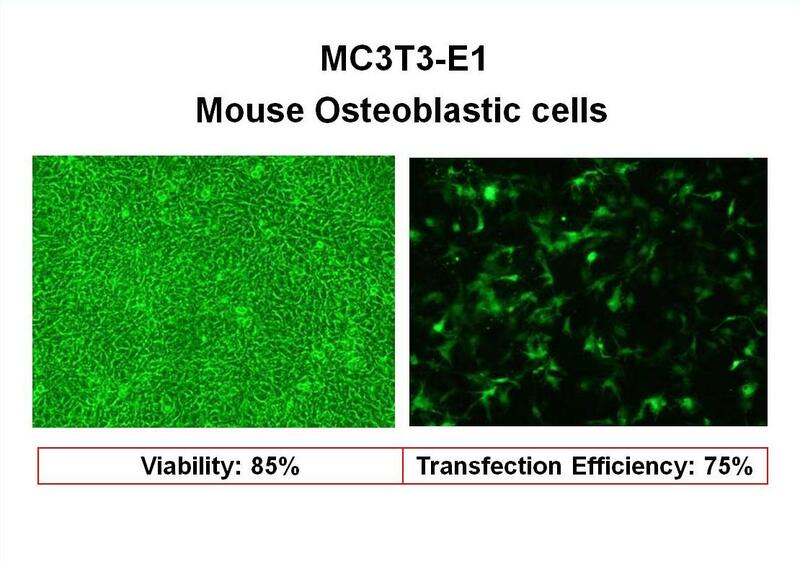 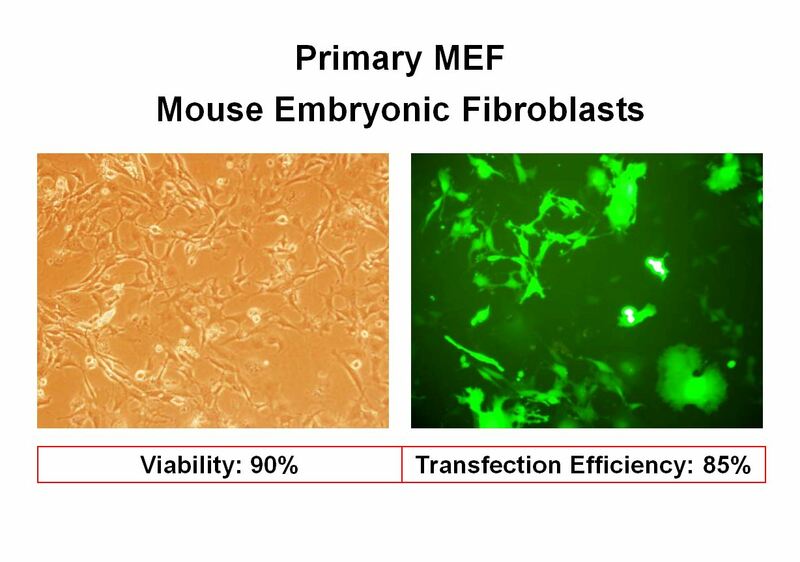 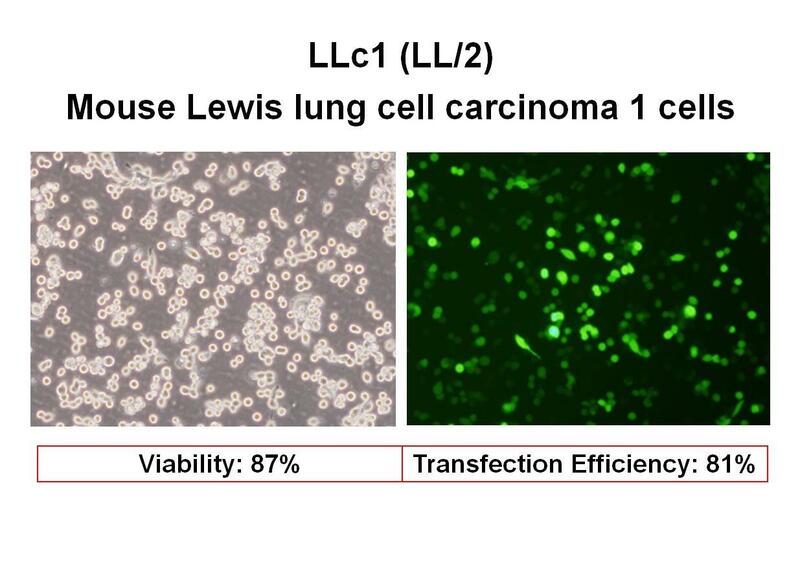 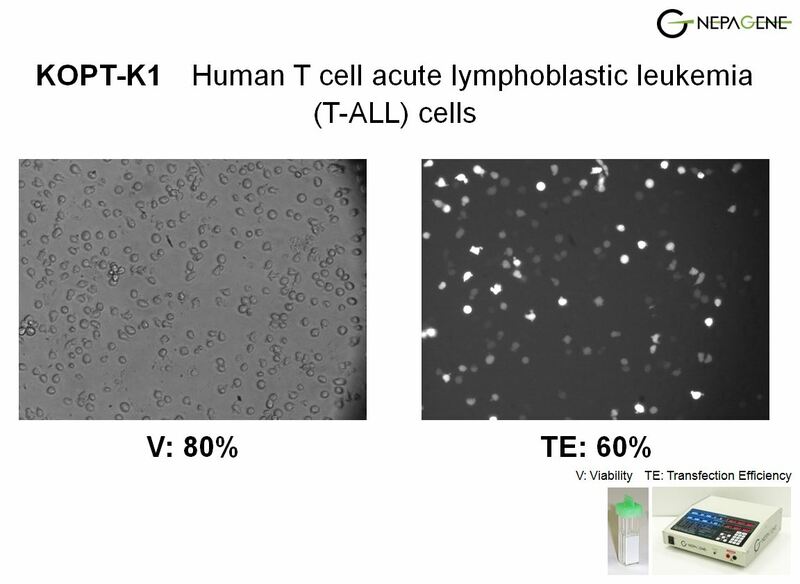 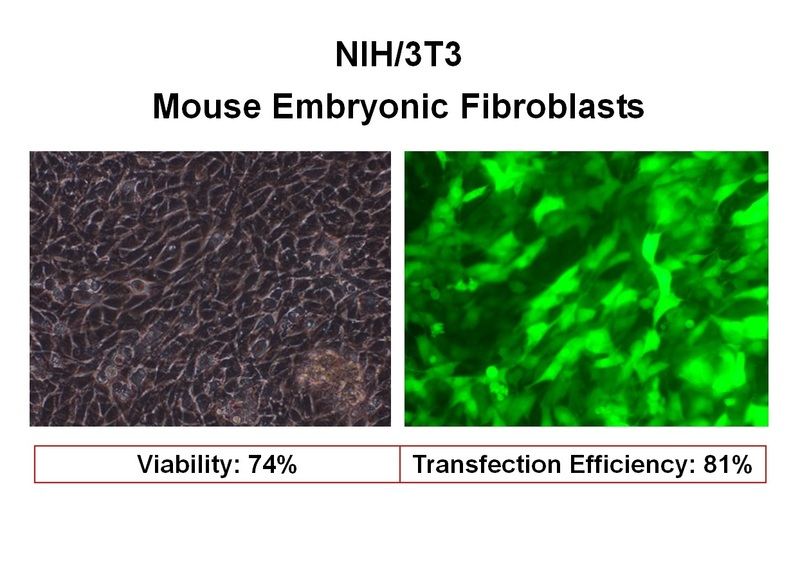 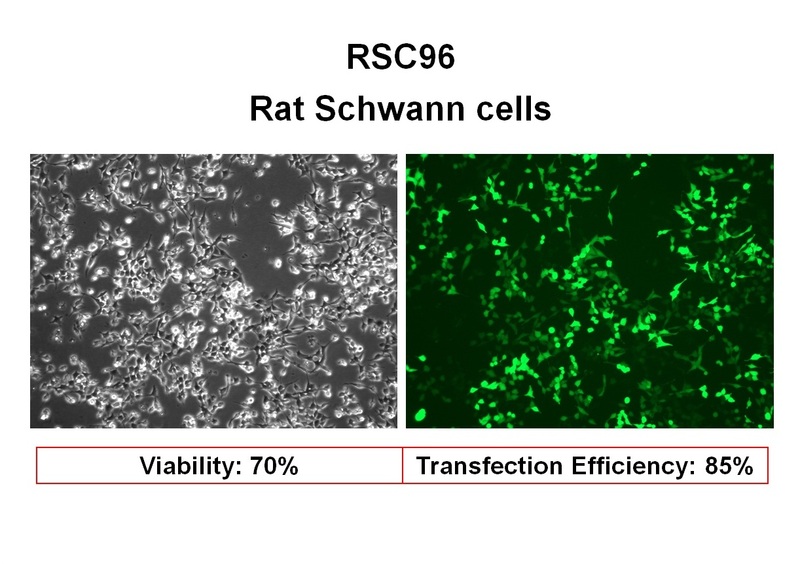 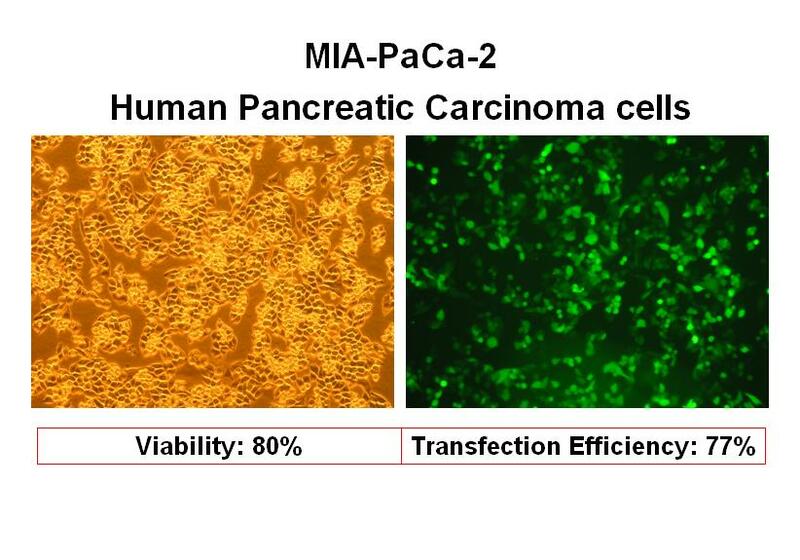 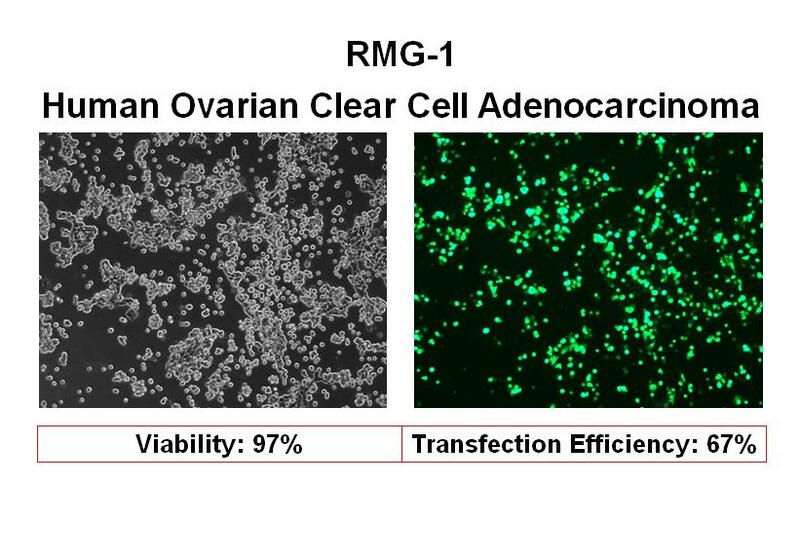 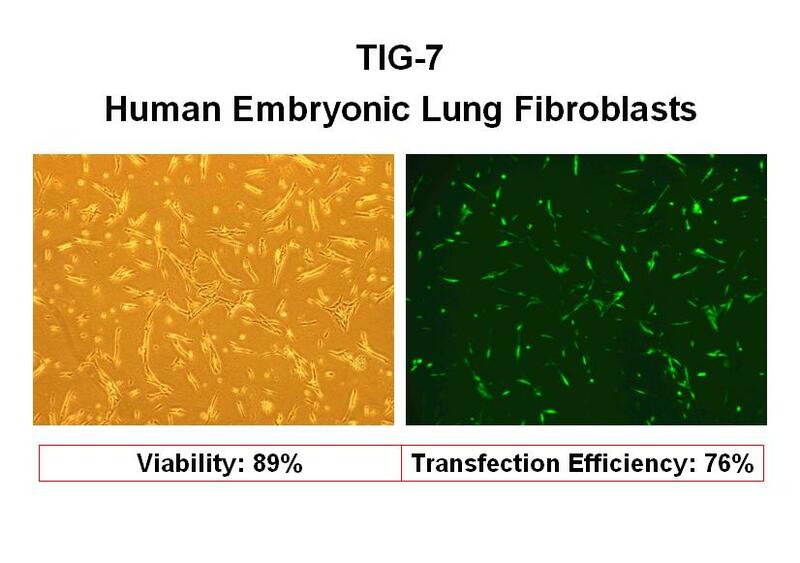 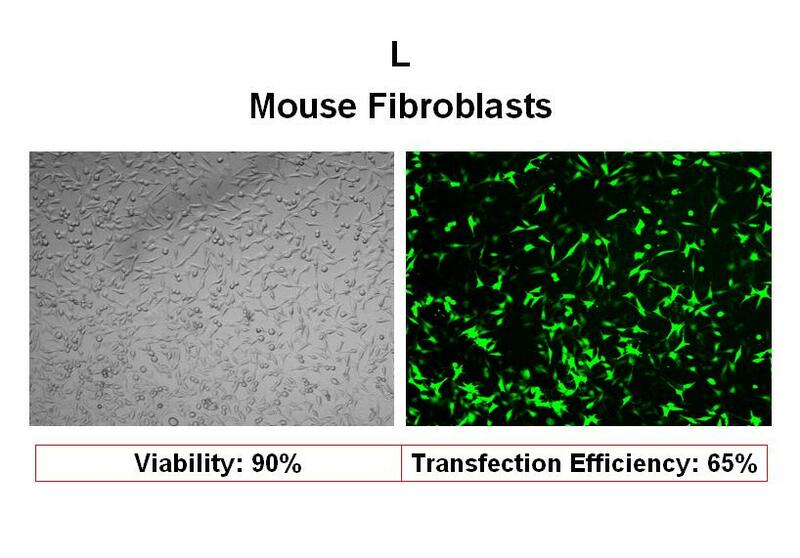 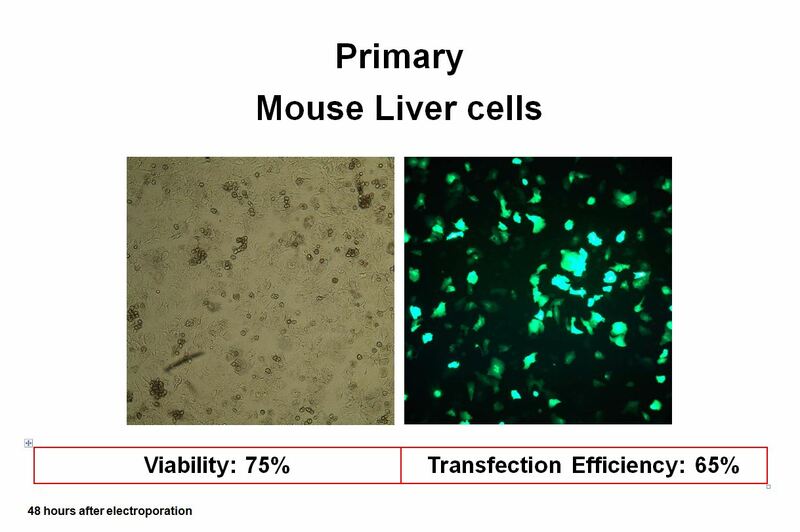 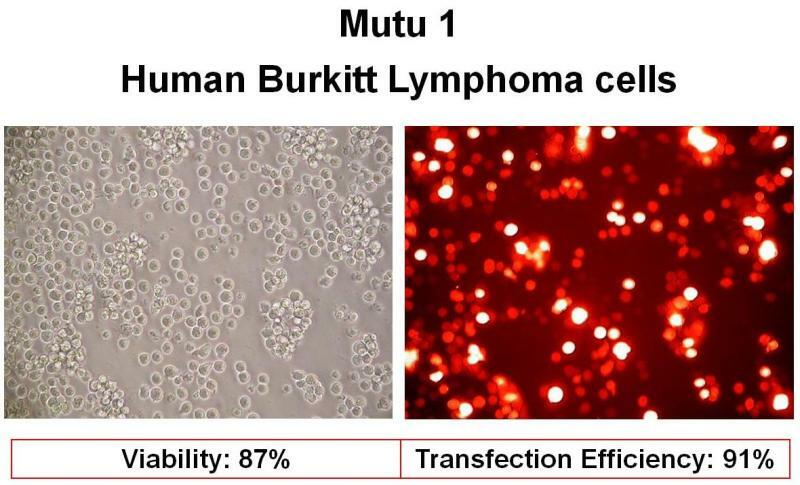 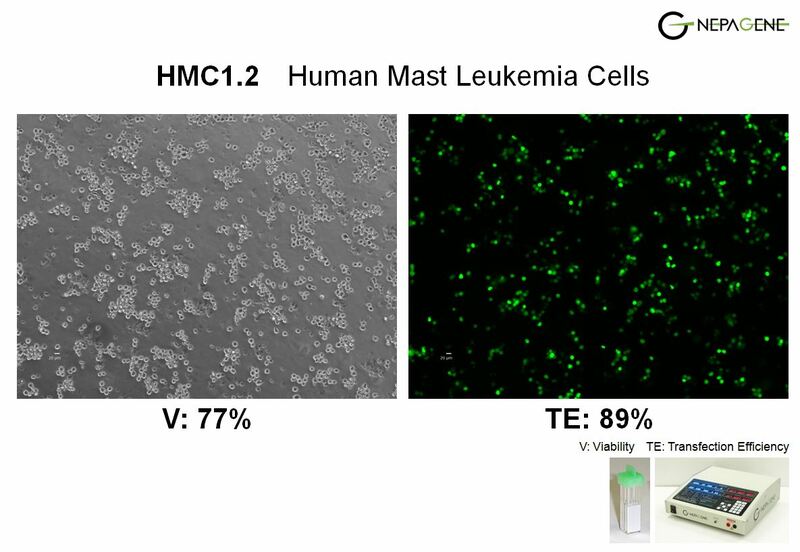 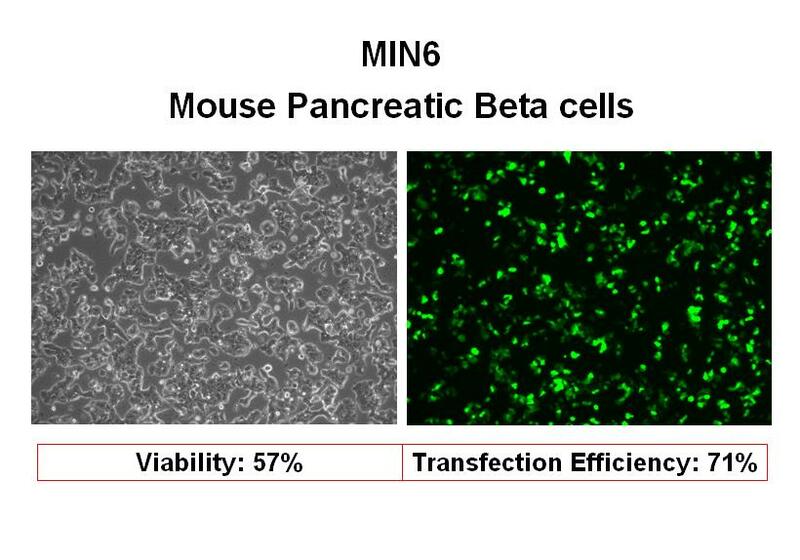 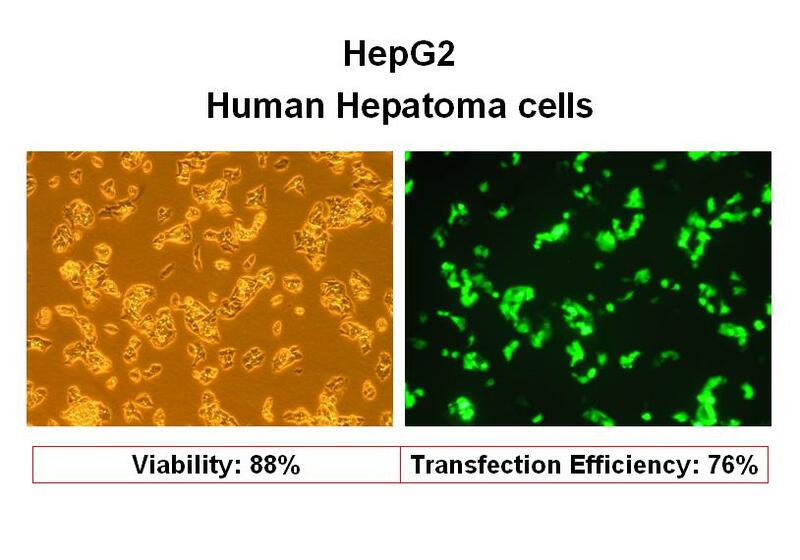 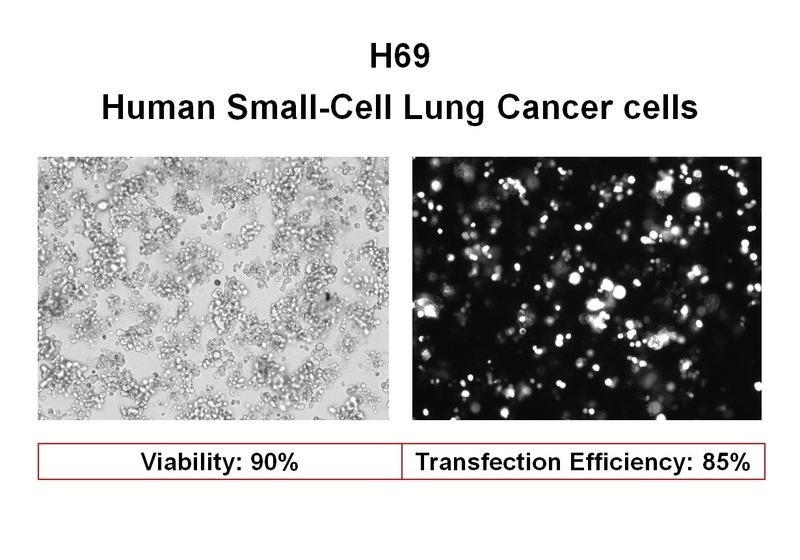 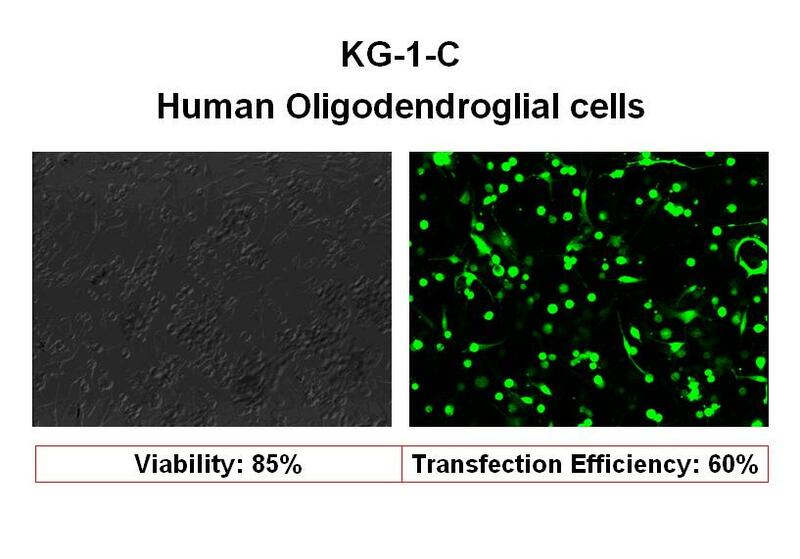 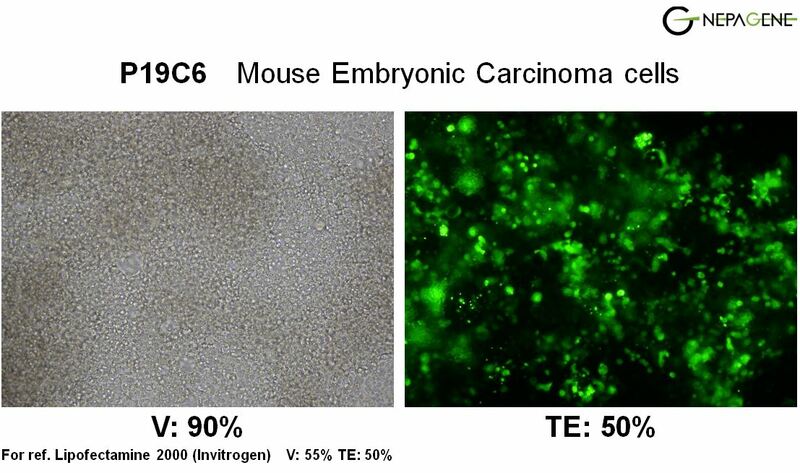 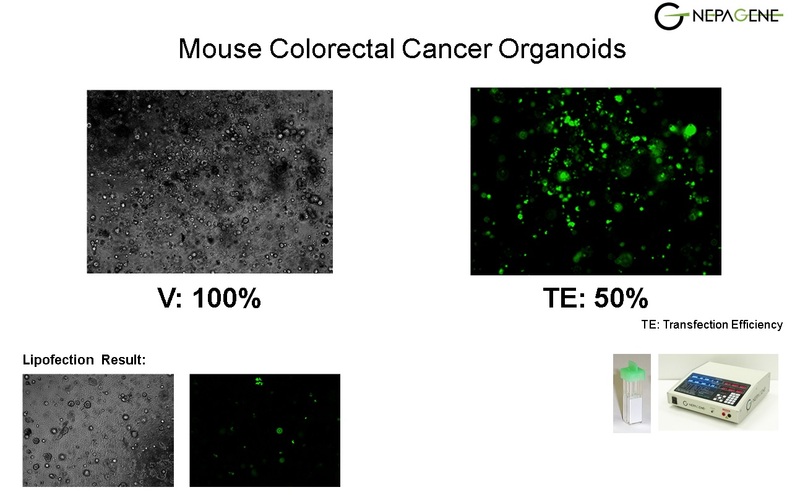 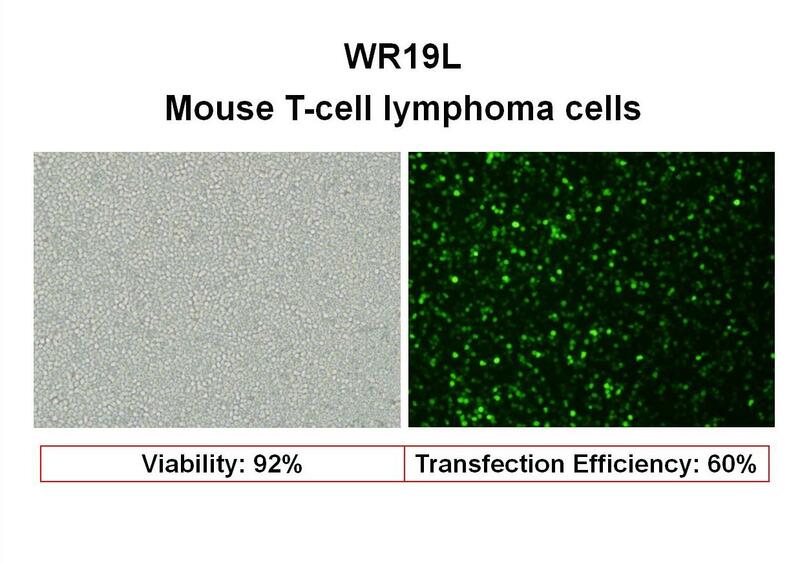 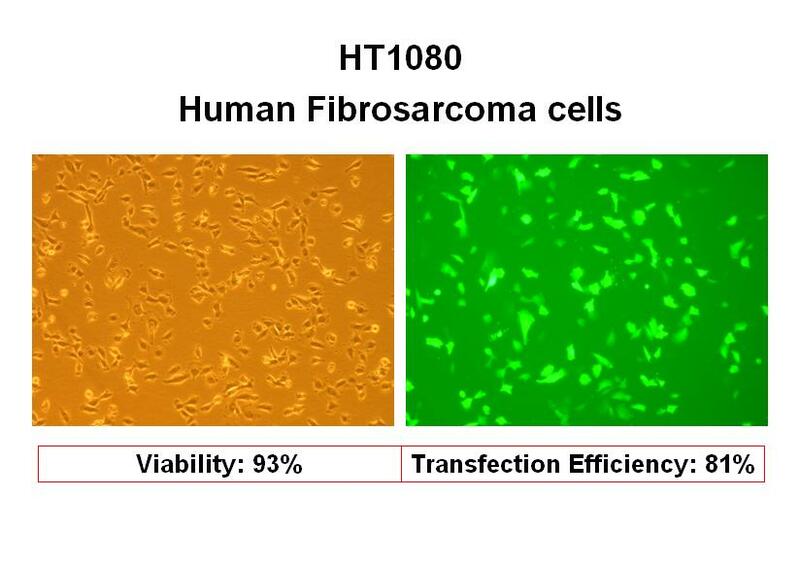 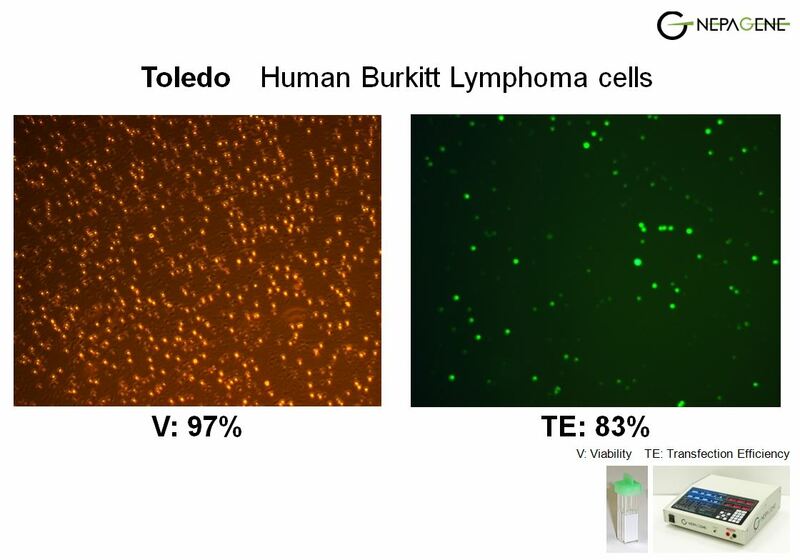 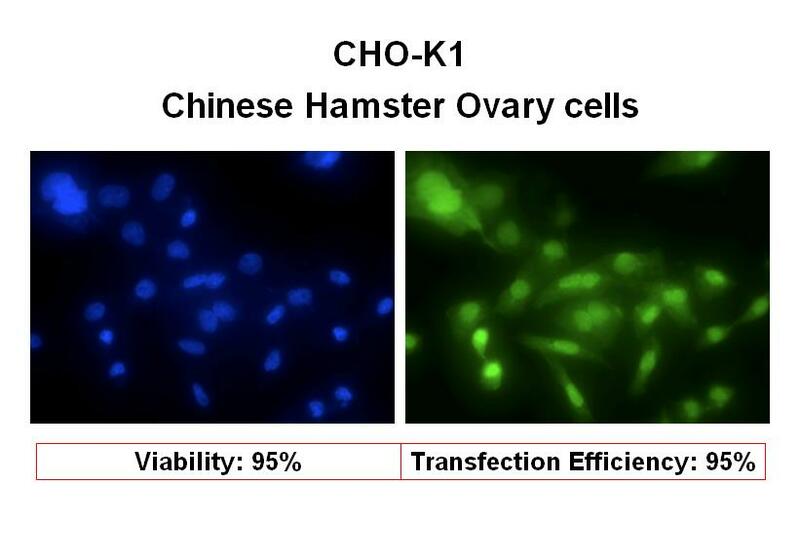 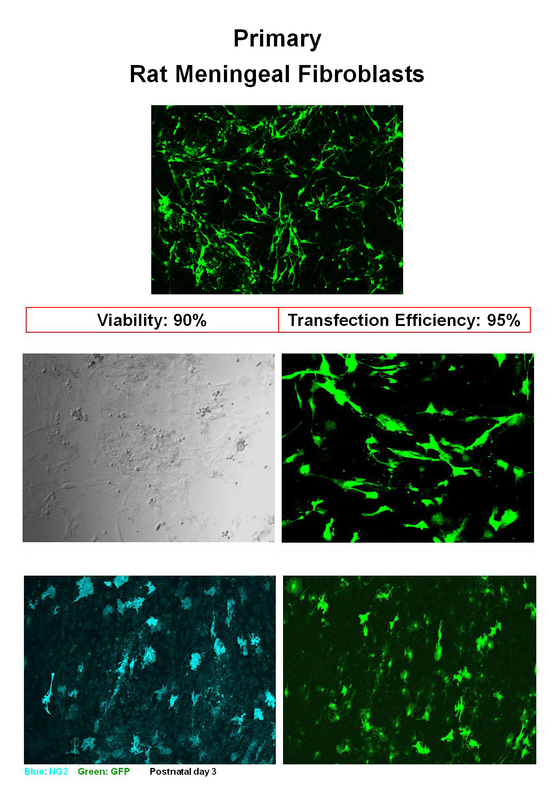 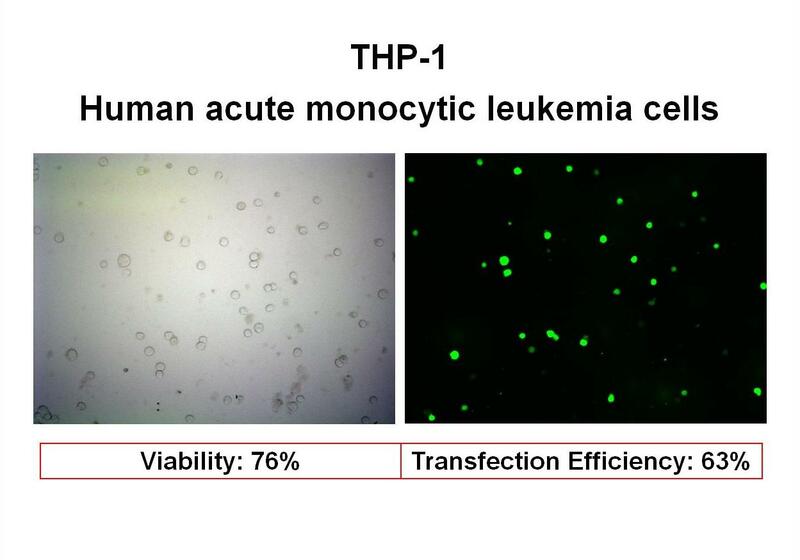 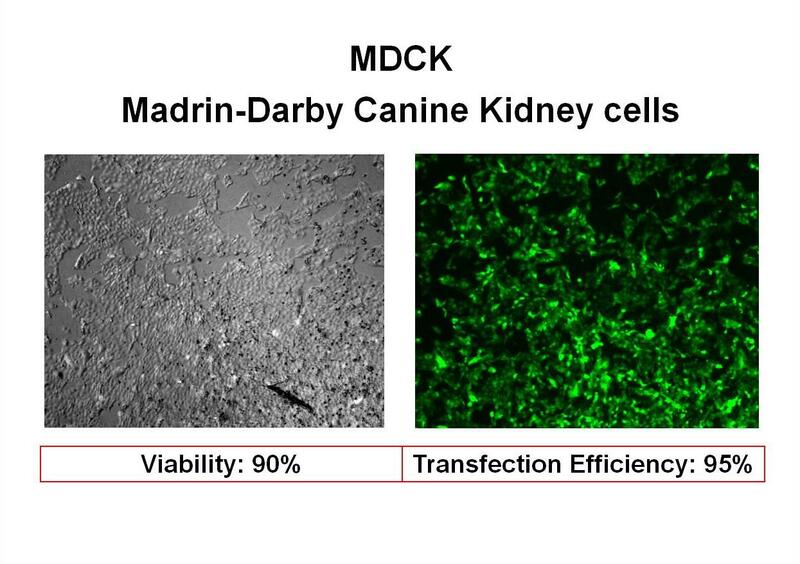 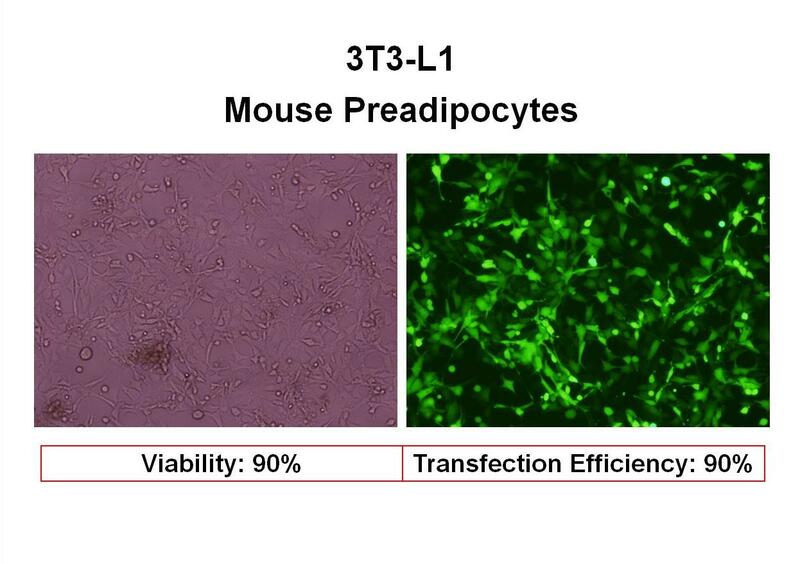 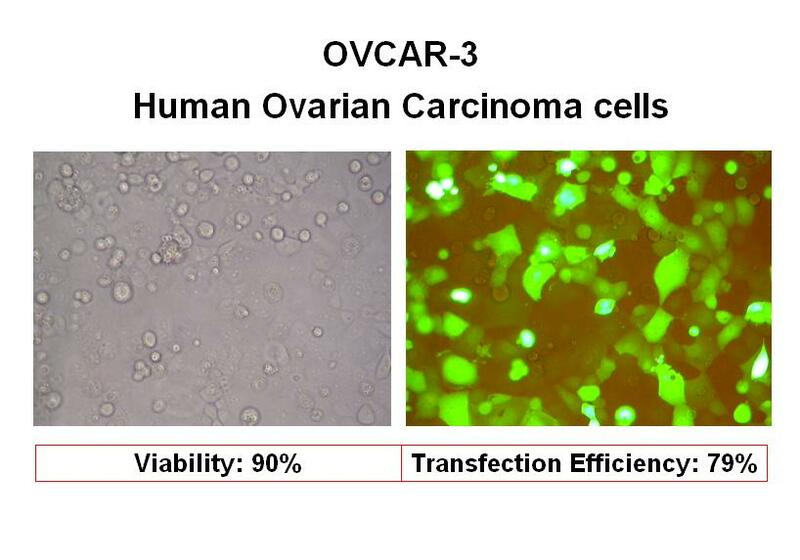 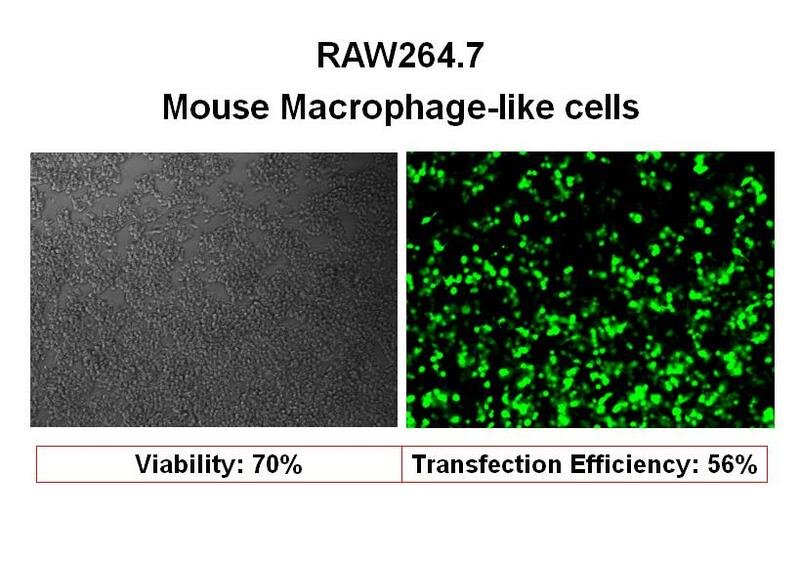 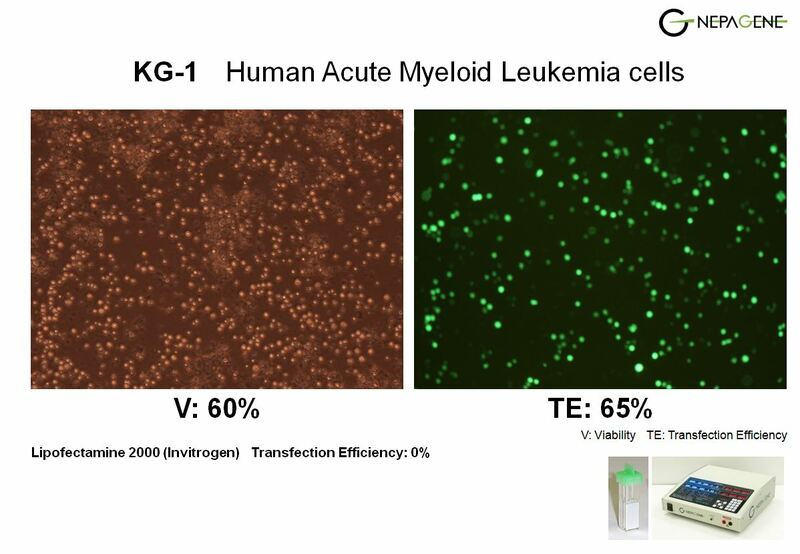 We have a lot of data of primary-cell transfection with high efficiency and high viability. 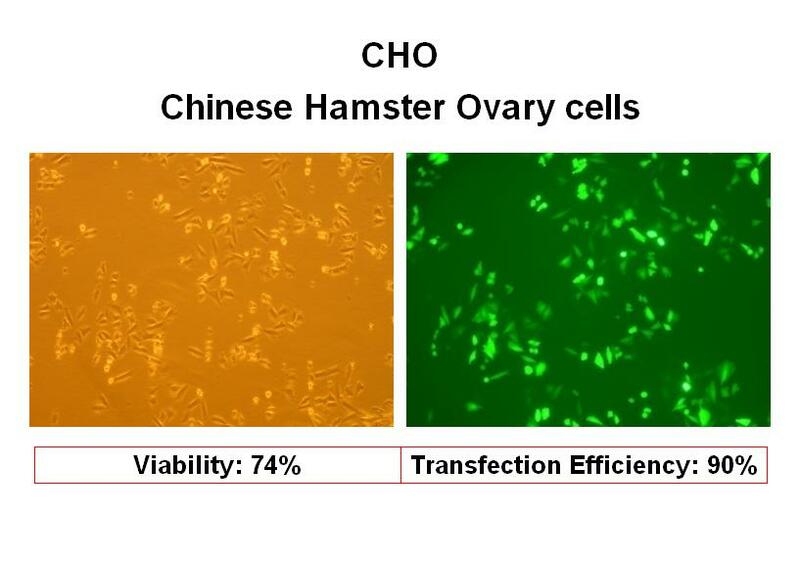 Please feel to free to contact us for the latest data. 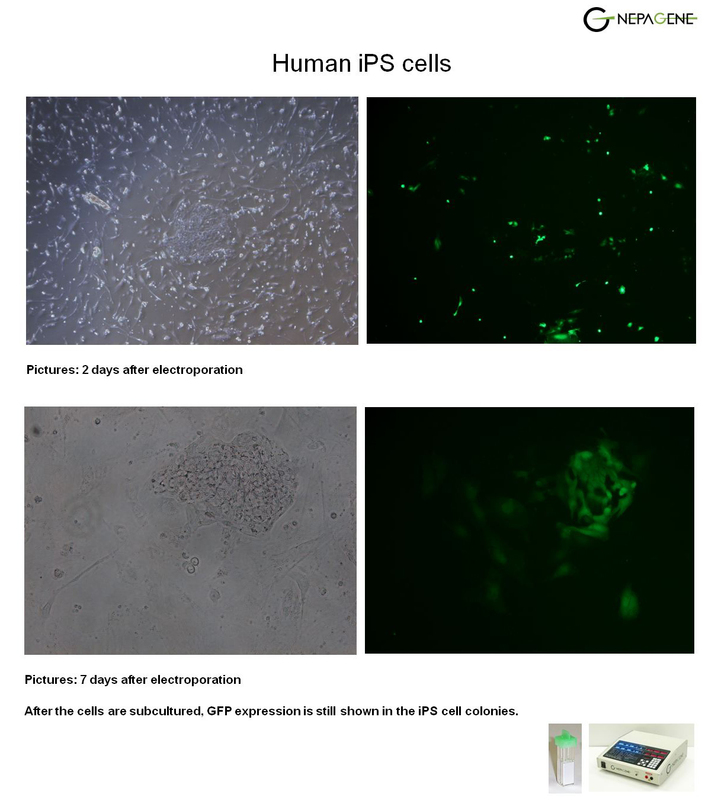 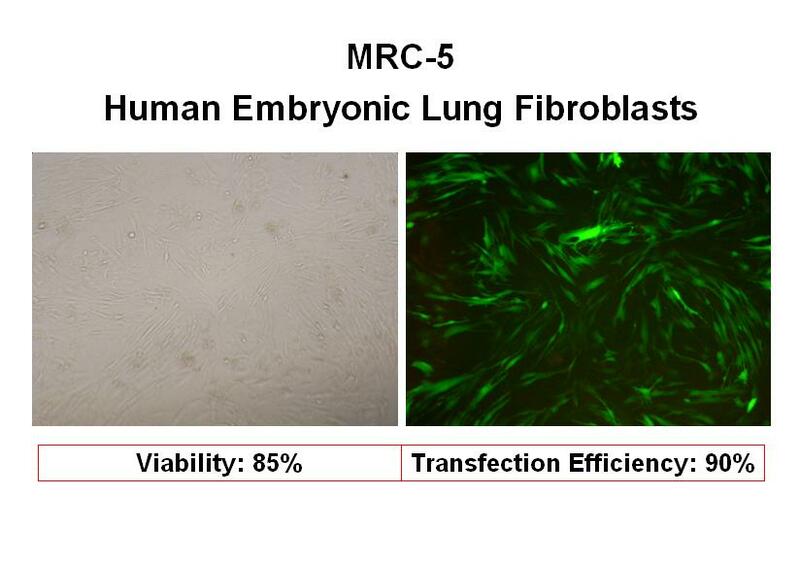 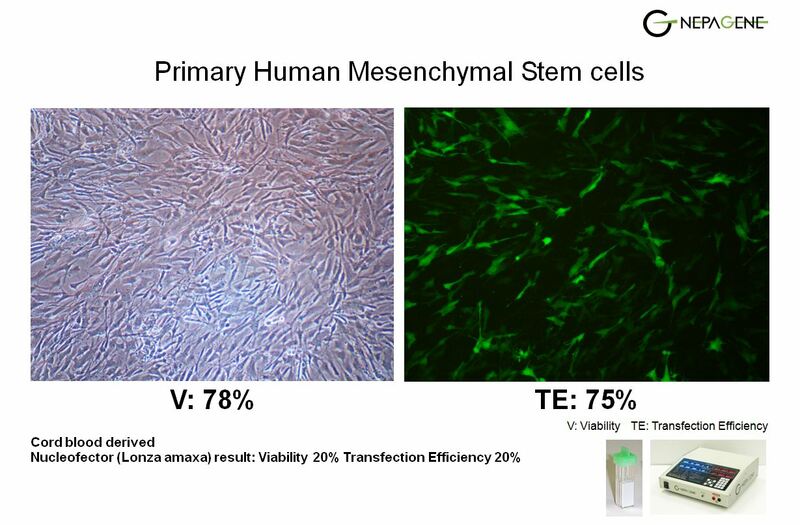 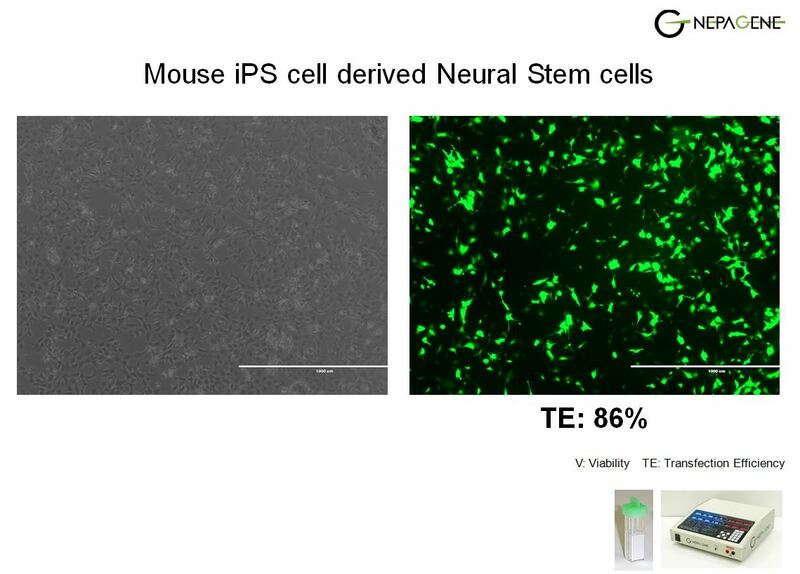 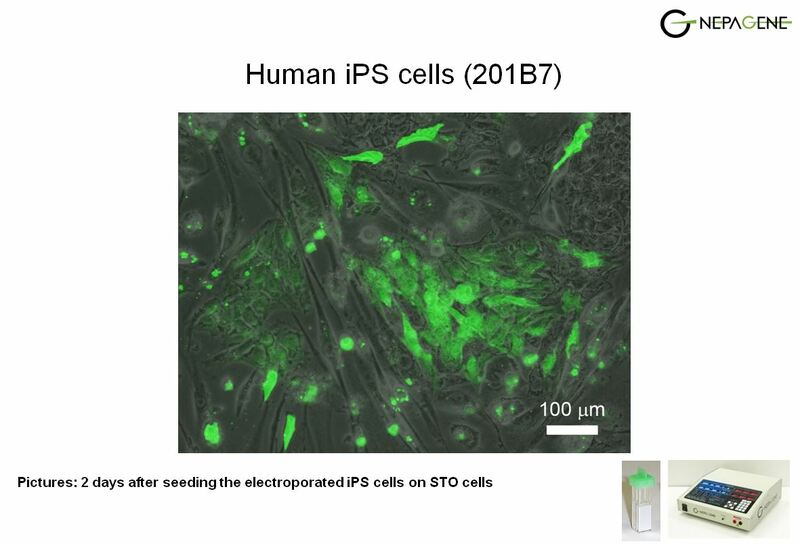 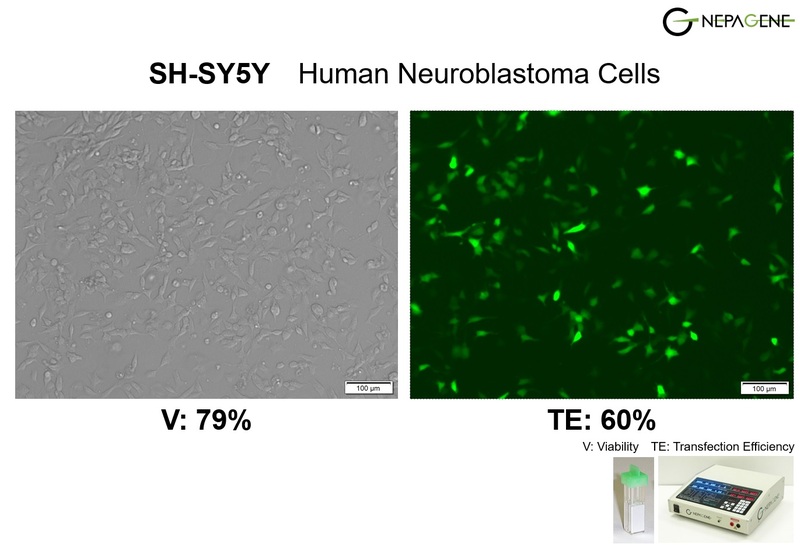 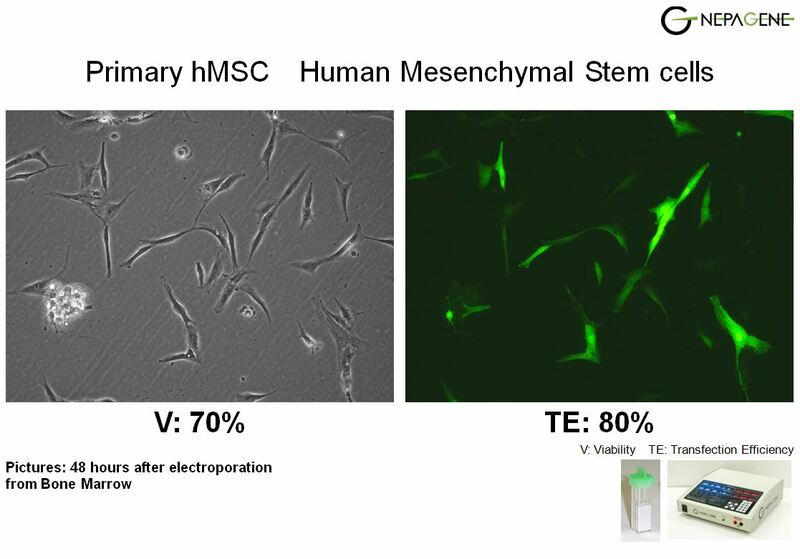 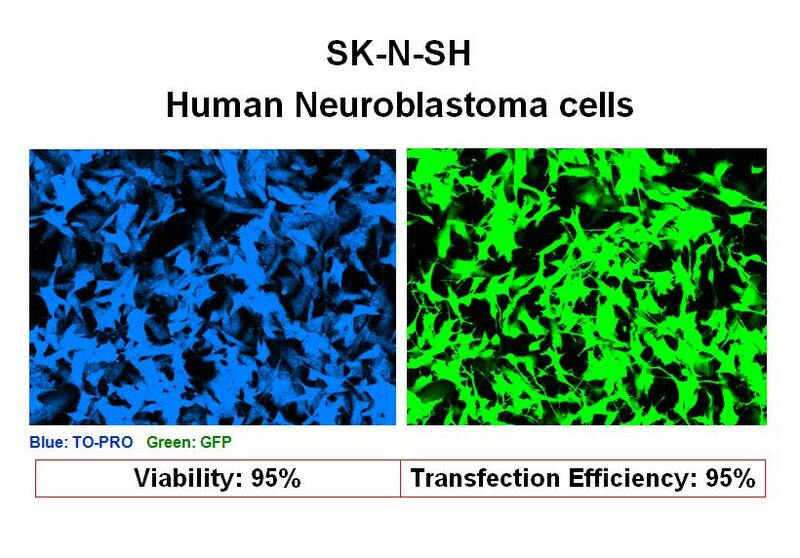 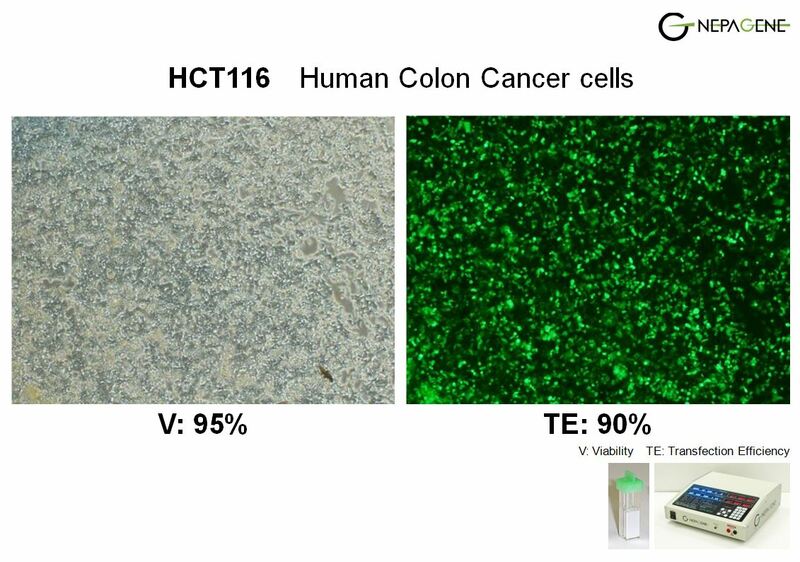 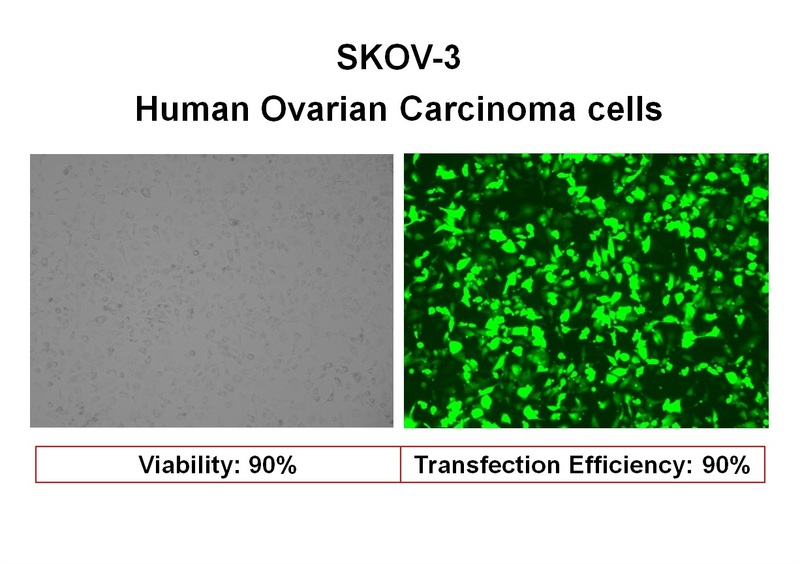 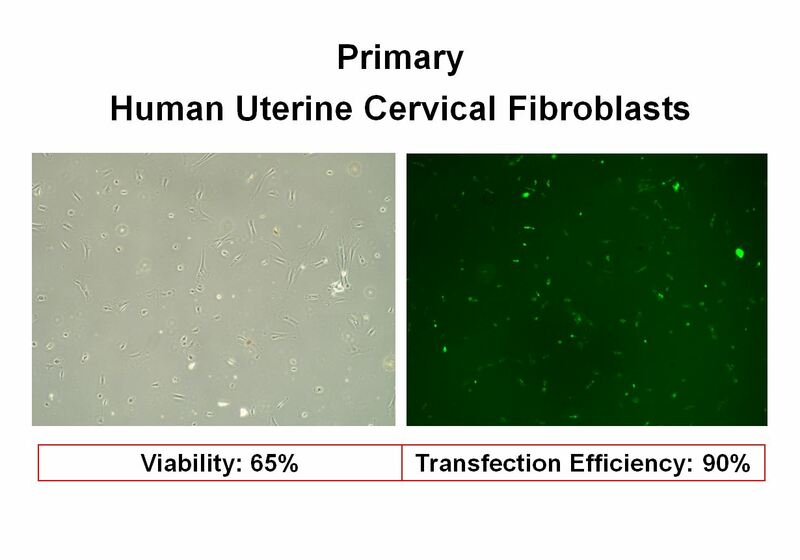 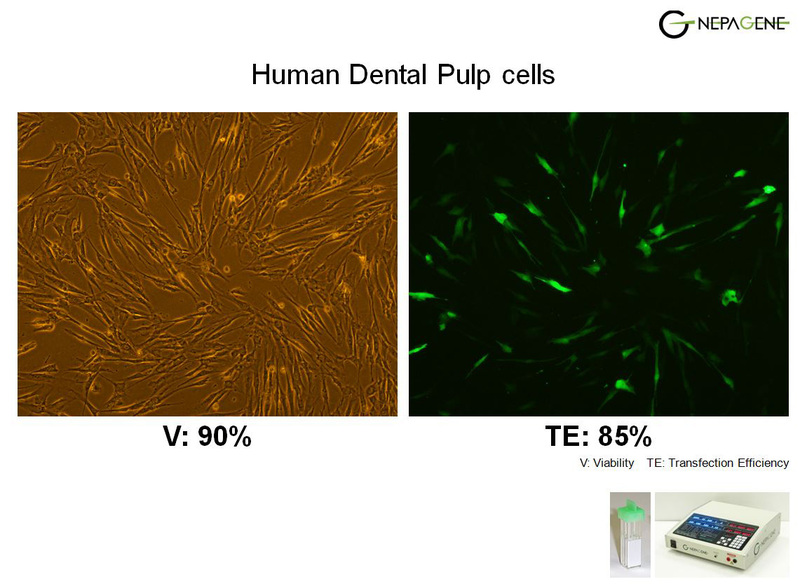 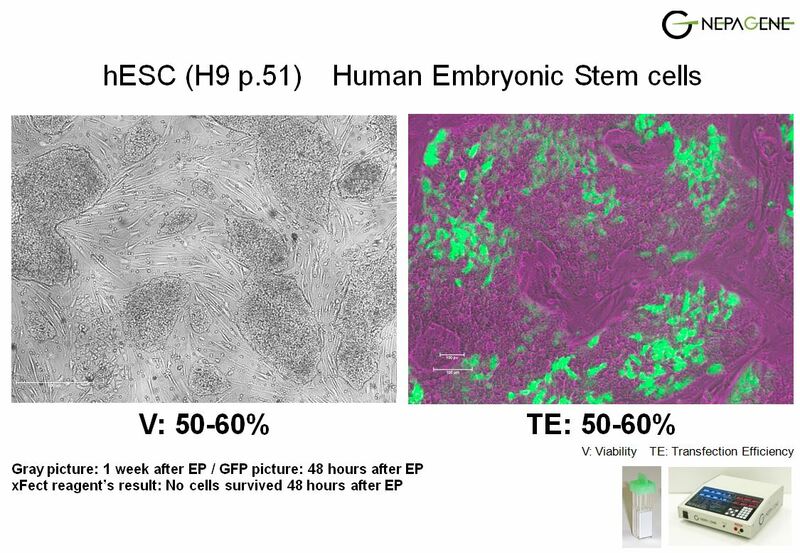 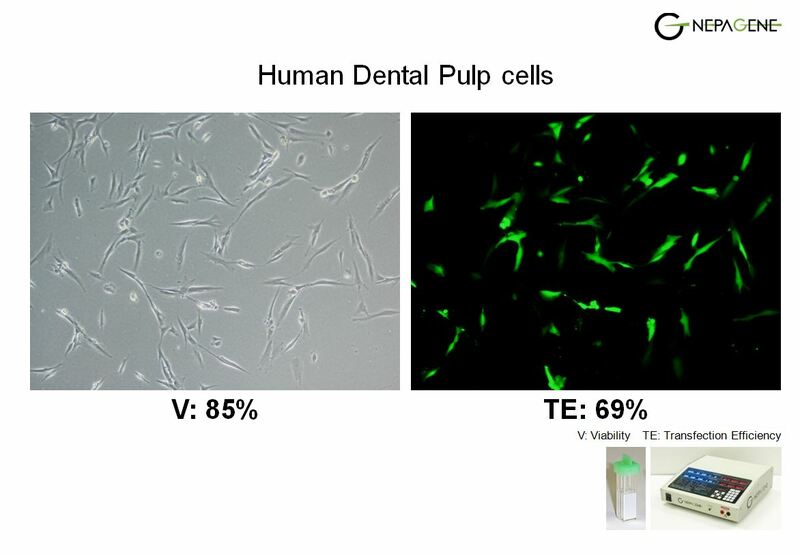 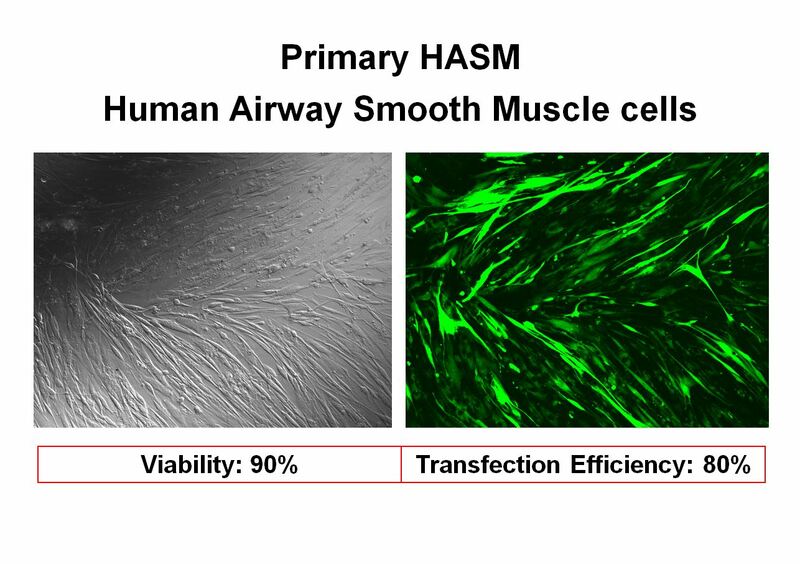 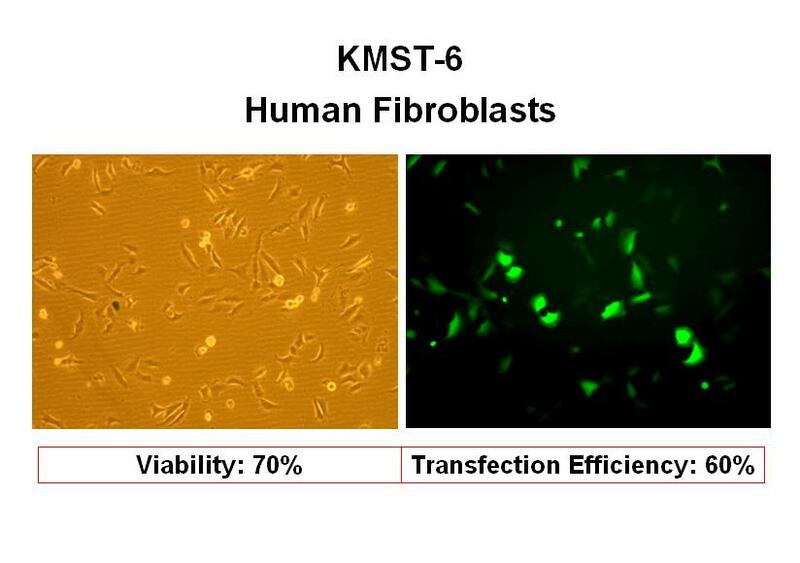 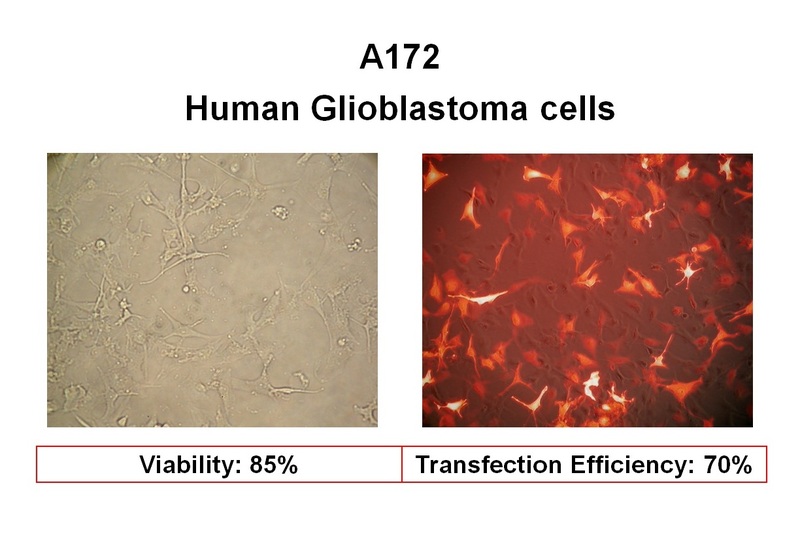 We have a lot of data of stem-cell transfection with high efficiency and high viability. 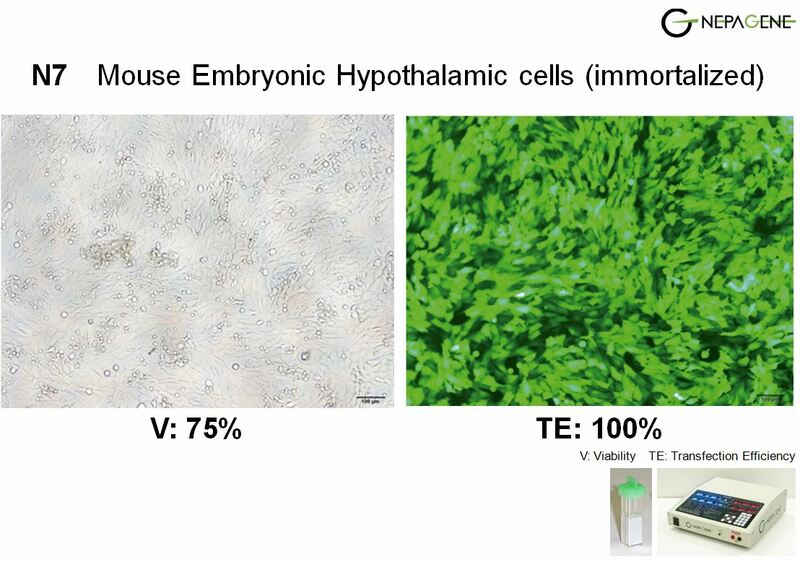 Please feel to free to contact us for the latest data. 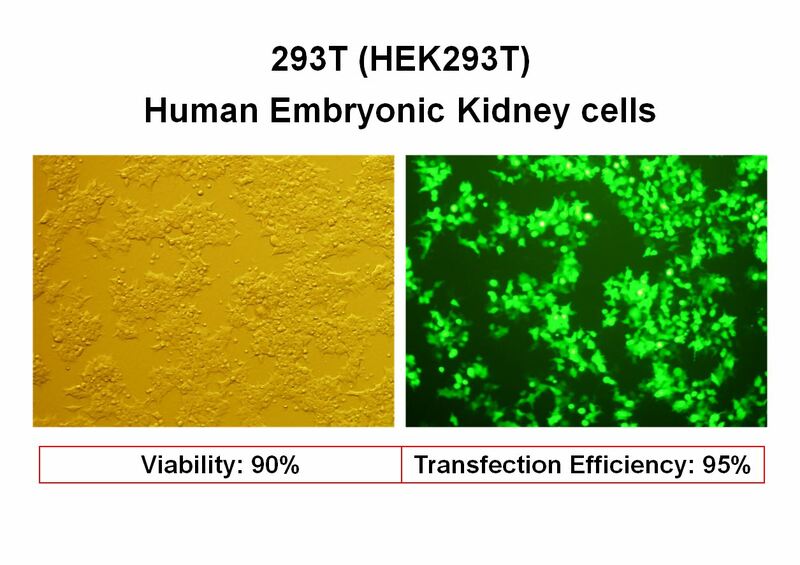 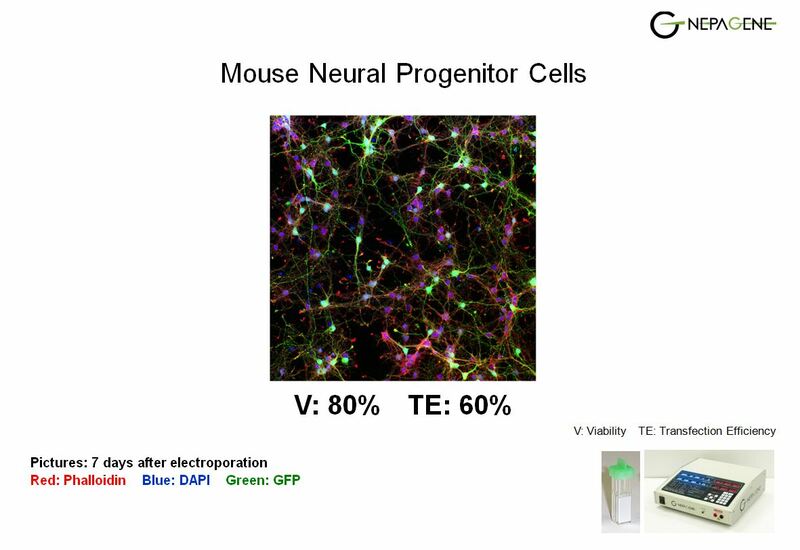 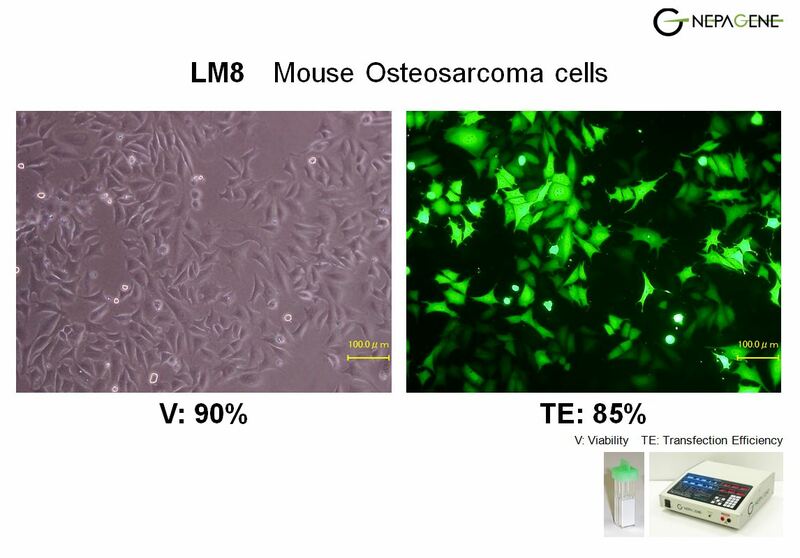 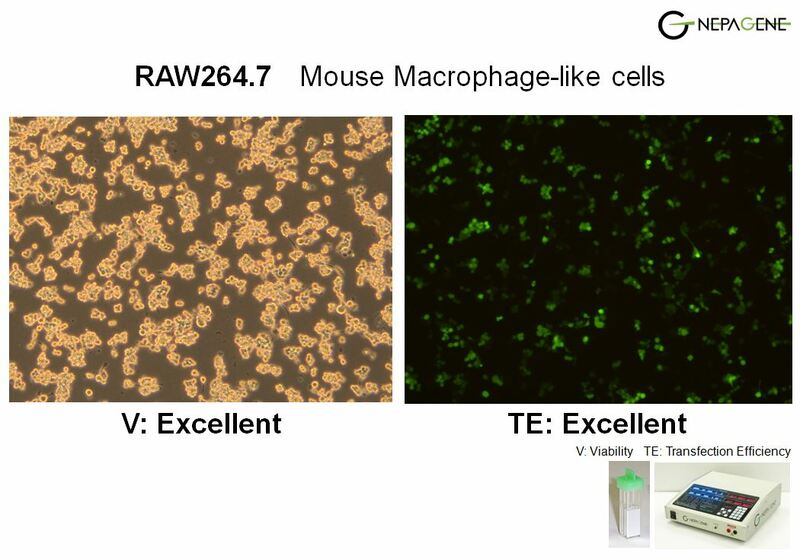 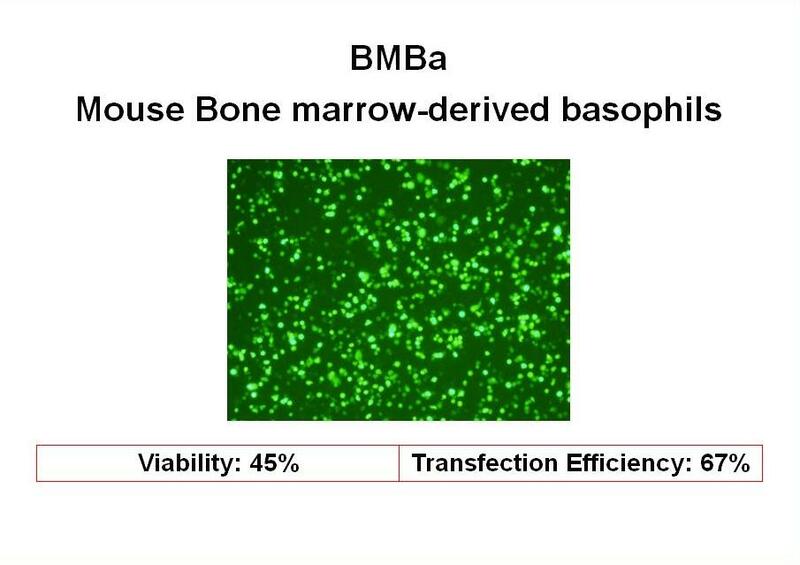 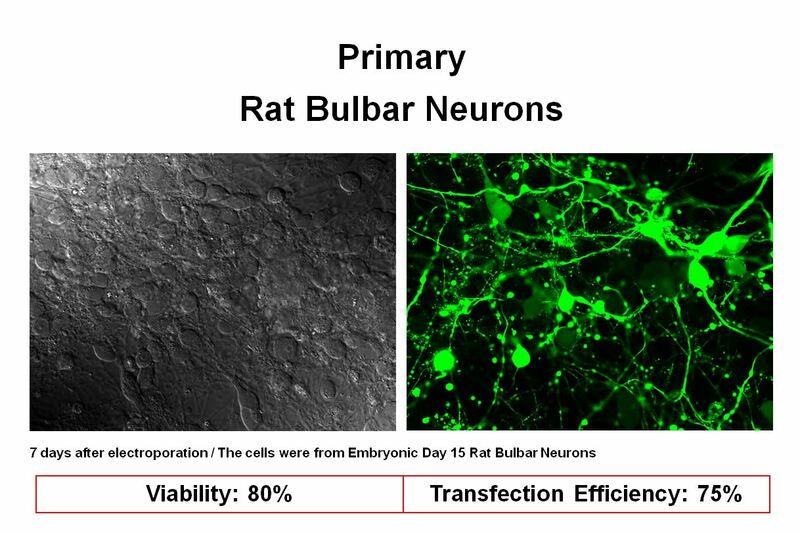 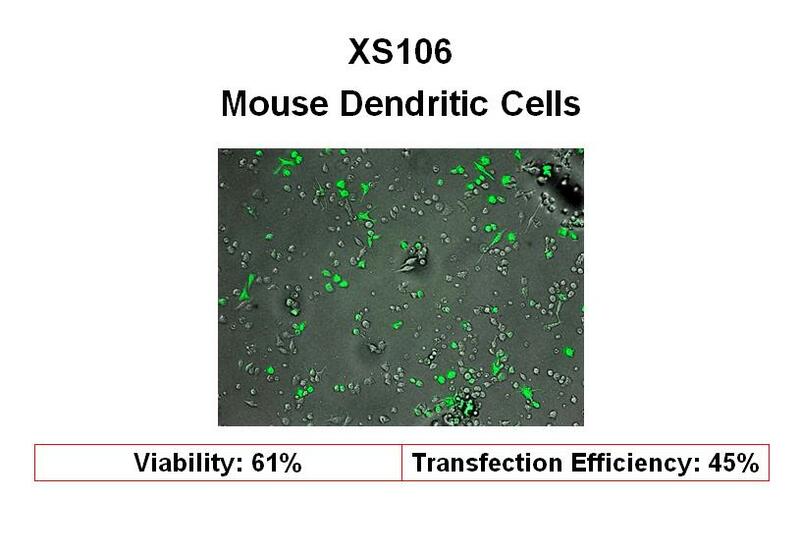 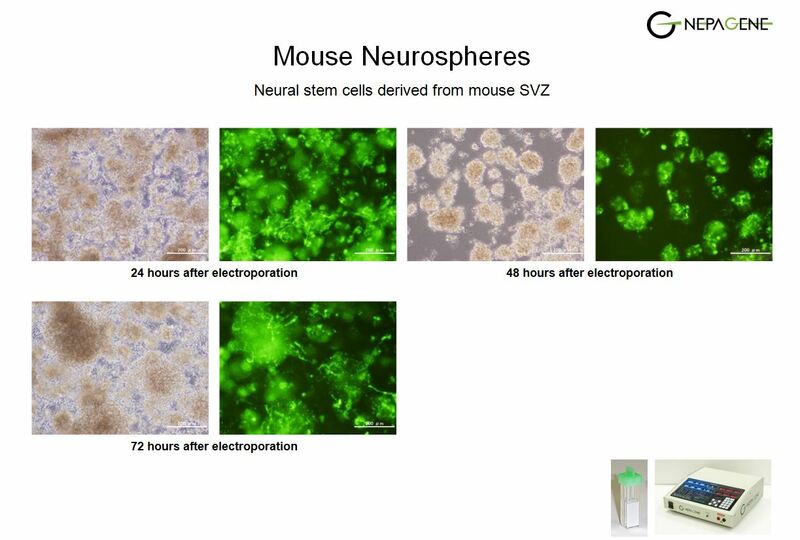 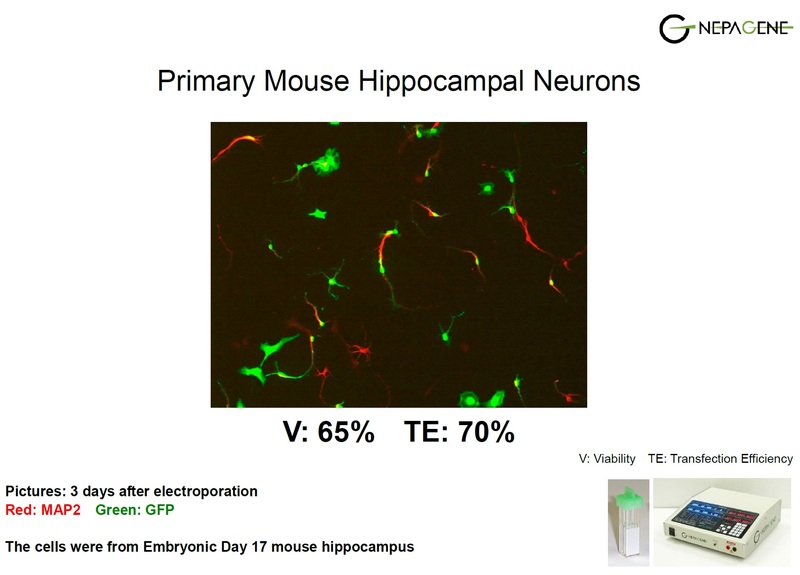 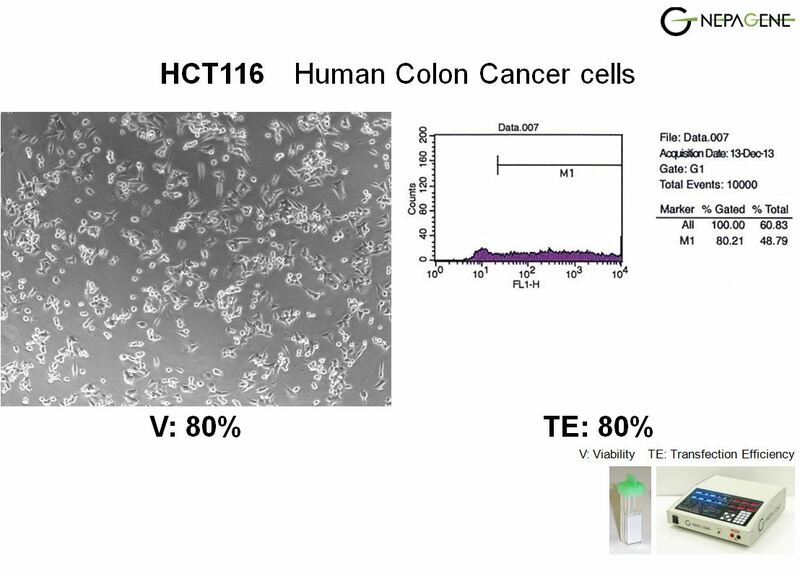 We have a lot of data of cell transfection with high efficiency and high viability. 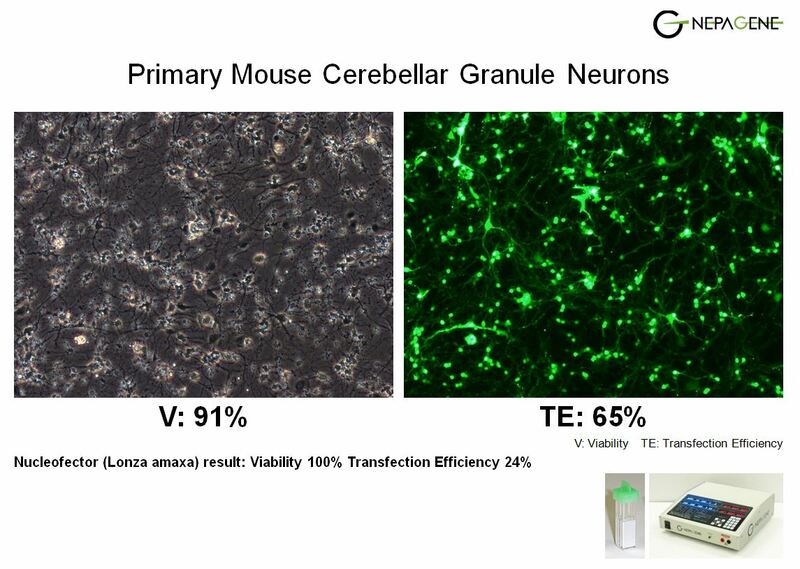 Please feel to free to contact us for the latest data.